The BMP-3 is a third-generation IFV designed, produced and currently in service of the Russian Army. It is the successor to the BMP-2, which was found out to be highly unsatisfactory for a number of reasons. 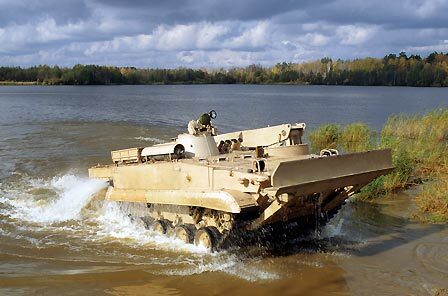 Throughout the years, the BMP-3 has proven to be a solid IFV while in the service of several nations across the globe. The history of the BMP-3 is short and straightforward. The Army was aware of the multitudes of shortcomings of the BMP-2, as revealed in the hot climate of Afghanistan. As such, the request was made for a new IFV design with improved characteristics. 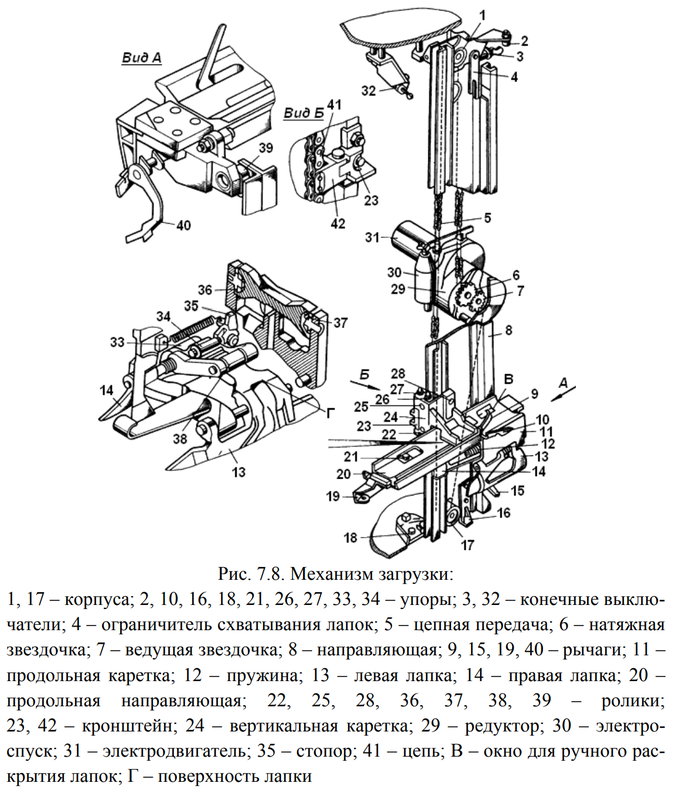 Two drafts were submitted, one of them by the Kurgan machine building plant, now known as Kurganmashzavod. 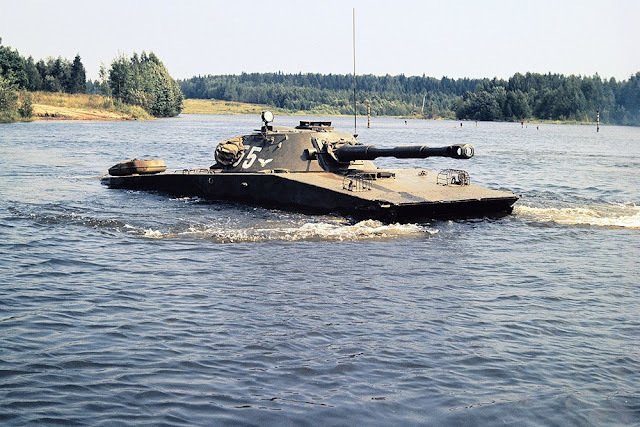 The Object 688 prototype created in Kurgan used the chassis and hull adapted from the Object 685 amphibious light tank, which resulted in less than optimal provisions for passenger dismounting, but otherwise had excellent potential as an amphibious troop carrier. It was necessary to raise the hull, change the shape of the front hull armour, change the turret ring construction and create a passenger space, among other things. 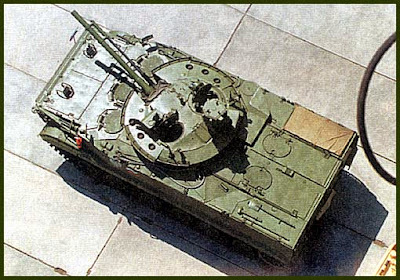 Interestingly, the weapons of the Object 688 were placed in a low profile turret with a remotely controlled external weapons mount similar to the Object 680 prototype of the BMP-2. The photo below perfectly captures the progression from the Object 680 prototype, to the Object 675 which became the BMP-2, and to the Object 688 prototype. Armed with a powerful 2A42 cannon (600 rounds), a co-axial 30mm AGS-17 grenade launcher (500 rounds), three PKTM machine guns (6,000 rounds) and a pair of ready-to-fire Konkurs anti-tank missiles in an armoured pod similar to the M2 Bradley, the Object 688 could already be considered as the most well-armed IFV in the world had it entered service. 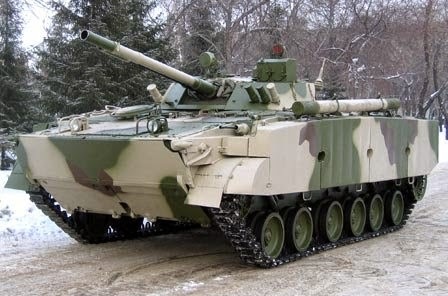 However, the new low profile turret was deemed to be an insufficient upgrade over the BMP-2 to warrant the adoption of a completely new IFV with no commonality with the earlier BMP designs, so the 2K23 armament complex was developed by Chief Designer Arkady Shipunov of the KBP design bureau. The 2A72 cannon was designed specifically for this purpose, as was the 2A70 low pressure cannon. The pairing gave the new IFV a unique set of capabilities with several advantages over previous models, but it was not without its own drawbacks. 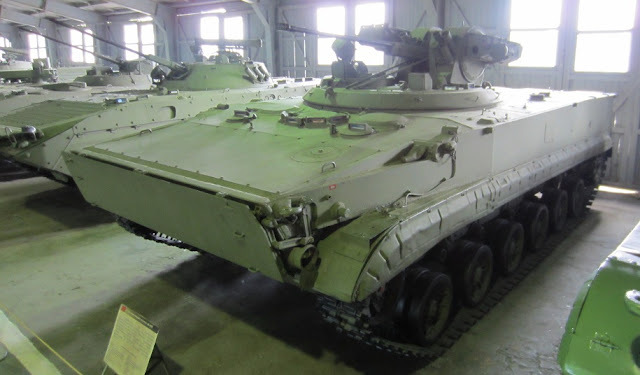 Nevertheless, the 2K23 complex proved to be enough of a justification to adopt the new combat vehicle as a replacement for the BMP-1 and BMP-2, and the Obyekt 688 prototype became a museum exhibit. In January 1985, the state tests of the BMP-3 was initiated with a total number of four vehicles involved in the tests. The tests were conducted in Kubinka, Smoline, Kelayta and Alageze, which the vehicles passed, but on which became known a number of defects. A final cycle of tests which were conducted from March 1988 to May 1989 where a BMP-3 unit of 10 vehicles from the Belorussian Military District participated in an "experimental field operation" as part of an organic mechanised rifle company. These tests were aimed at determining how quick soldiers could master the new vehicle, estimating the effectiveness of the recently improved BMP-3 (multiple malfunctions recorded during tests of early BMP-3 models) and determining the quality of the series-produced examples involved in the test. The experimental field operation demonstrated the superiority of the BMP-3 over the BMP-1 and BMP-2 in terms of tactical and firepower characteristics. 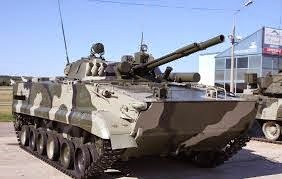 In 1990, the BMP-3 was formally adopted by the Russian military. The commander is seated on the right side of the turret, neighbouring the gunner. He is responsible for observing the battlefield and designating targets for the gunner to subsequently engage. To do this, he is equipped with a TKN-3MB day/night surveillance device and an array of general vision periscopes. 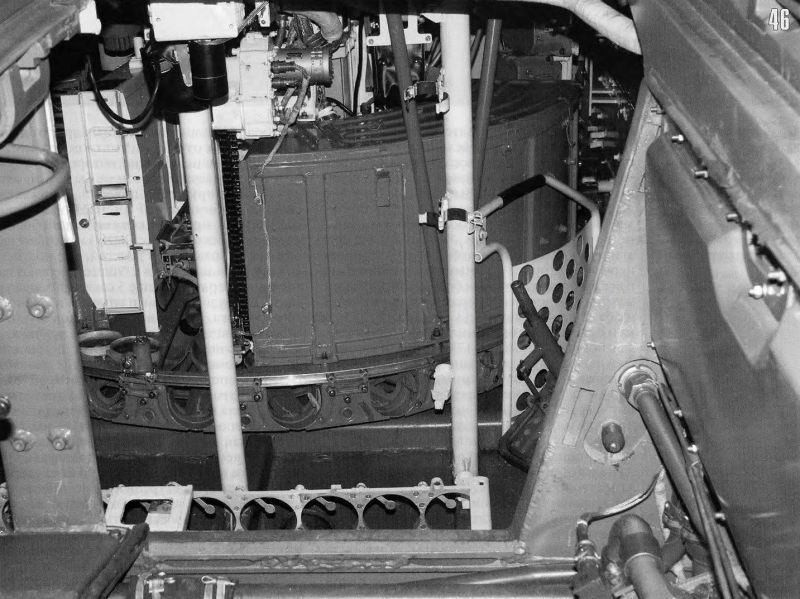 There are two fixed TNPO-170A periscopes mounted into the fixed half of the cupola at his disposal, and two additional periscopes embedded in the hatch, pointed to the sides. 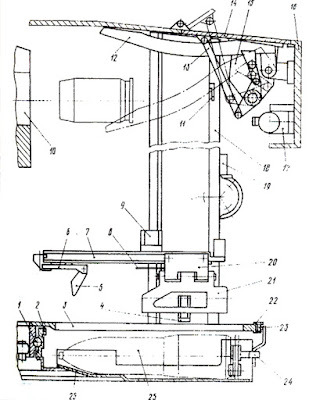 There is also a TNPT-3 rear-viewing prism with a total range of vision of 54° in the vertical plane and a total range of vision of 118° in the horizontal plane. The TNPT-3 is primarily used by the commander to help direct the driver when reversing the vehicle. 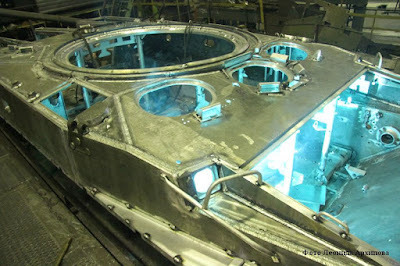 All viewing devices are mounted on the rotating cupola. The periscopes are heated by the RTS heating system to prevent fogging in cold weather. 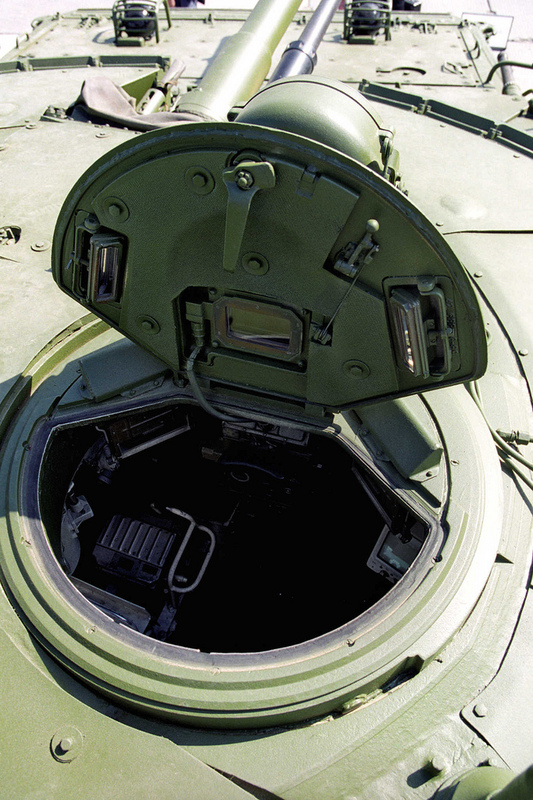 Compared to the BMP-2, the addition of two side-facing periscopes in the hatch of the cupola gave the commander of the BMP-3 a much better range field of view. Based on Soviet testing, over 95% of the observations made by tank commanders in various simulated combat scenarios were done in a 200-degree frontal sector. 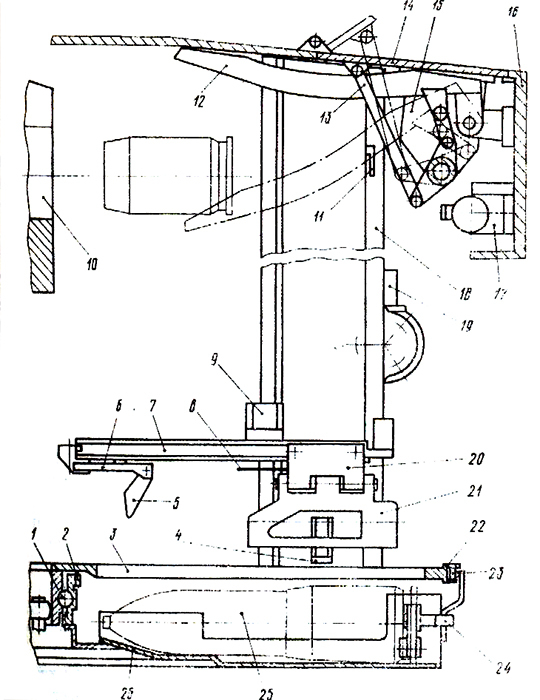 A rear-view periscope is only used in 0.8% of all cases. The cupola of the BMP-2 would only have fulfilled approximately 70% of the observational needs of its commander, so the increased visibility from the BMP-3 cupola represents an improvement of over 25%. 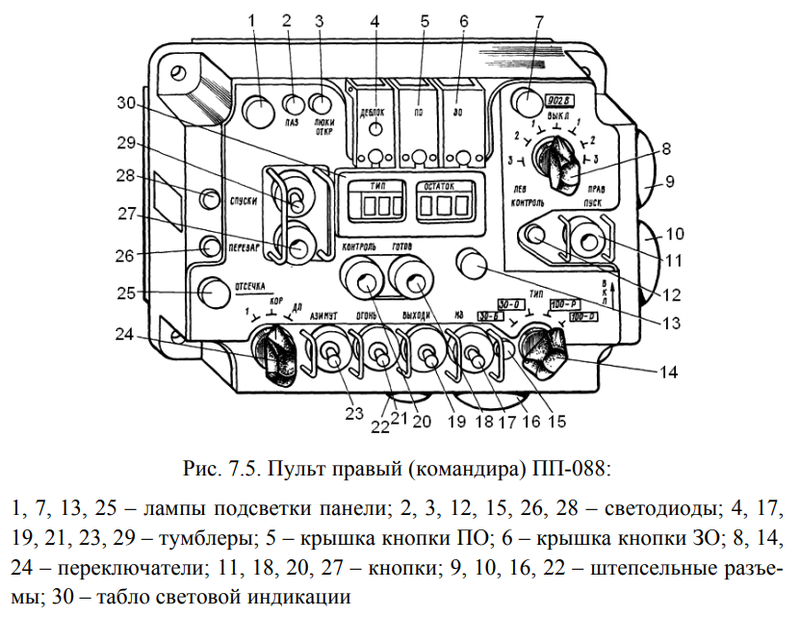 On most variants of the BMP-3, the commander is provided with the TKN-3MB. It can operate in two modes - active infrared imaging, or passive light intensification. When operating at night in the active mode, the OU-3GA2 IR spotlight must be used. The TKN-3MB sight has fixed 5x magnification in the day channel and an angular field of view of 10° in that setting. In the night channel, the sight has 4.2x magnification and an angular field of view of 8°. In the daytime, the nominal maximum identification distance for a tank is around 3,000 m, although this depends on meteorological conditions more than anything else. 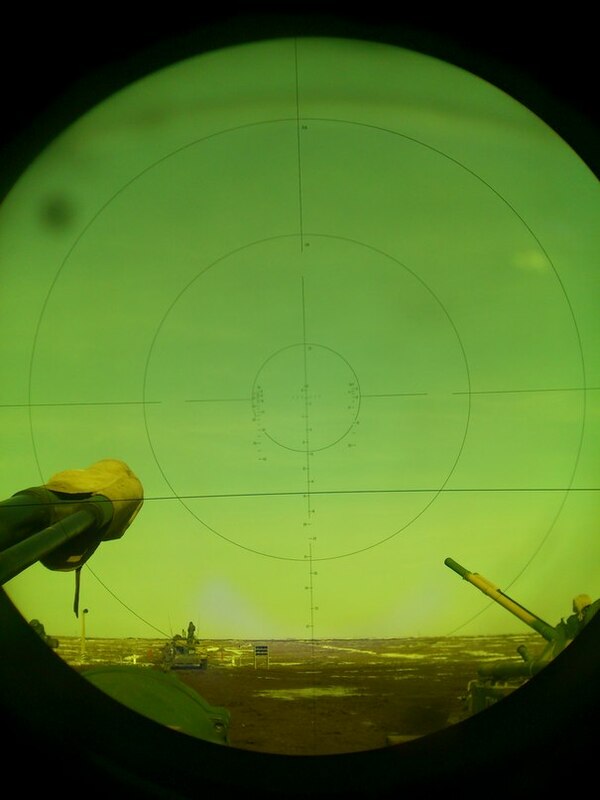 In the passive light intensification mode, the sight enables the commander to identify a tank-type target at a nominal maximum distance of 400 m, given that the ambient light is no darker than 0.005 lux, which is equivalent to a typical starless and moonless night. For an IFV that entered service at the very end of the Cold War, the night vision capabilities of the TKN-3MB was simply not competitive against the thermal imaging systems that had become standard for the Western counterparts of the BMP-3. Instead of being used to search for targets in a combat situation at night, the device would be most useful as a navigational tool in the passive night vision mode. The TKN-3MB has a stadiametric rangefinding scale intended for approximate manual range estimations of tank-sized targets with a height of 2.7 meters at distances of up to 3.2 km, although this might be rather optimistic for most situations. The ability to accurately determine the real distance depends on whether both the BMP-3 and the target are moving, and on the commander's visual acuity, but due to the limitations of this simple rangefinding method, huge ranging errors in the order of hundreds of meters are quite normal. 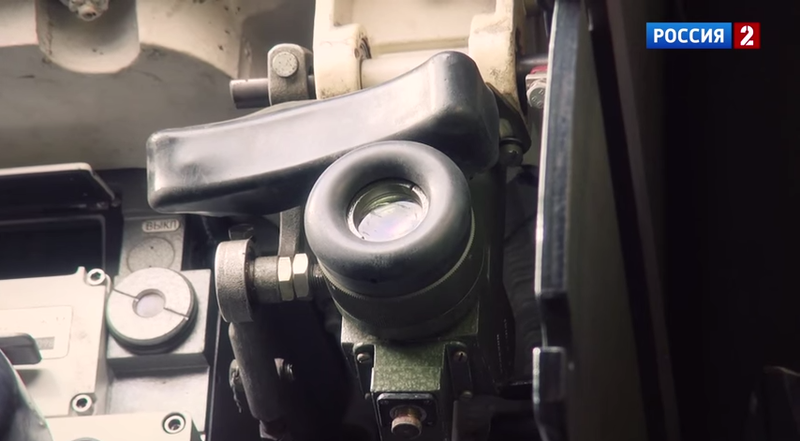 Like in all other Soviet tanks and IFVs prior to the BMP-3, the commander of the vehicle can designate targets by pressing the thumb button on the right handle on the TKN-3MB periscope. The cupola is equipped with a counter-rotating motor to keep the cupola facing the target as the turret spins to meet the target. The maximum error is 10 mils, which makes the target designation feature infeasible for actually laying the gun on target. Rather, this feature is only to put the gunner in visual contact with the target - the rest is entirely up to the gunner once he has the target in his sights. 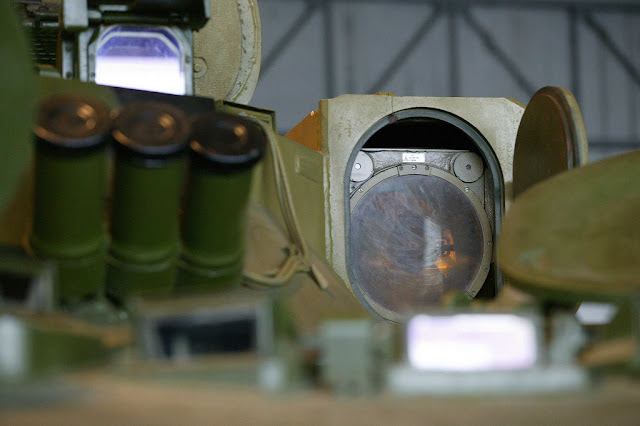 Later production models of the BMP-3 (these would also be equipped with the SOZh gunner's sight) will be instead equipped with the TKN-AI pseudo-binocular day/night passive-active observation device, which replaces the TKN-3MB. The TKN-AI enables day and night observation using natural light and also using a IR laser pulse-spotlight. 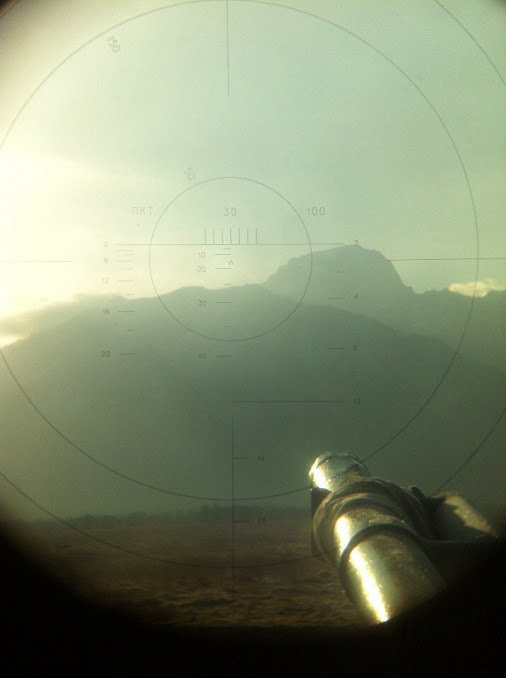 When the TKN-AI is used in the pulse mode, it can detect a tank-type target at a distance of 1000 m. Pulsing the laser prevents backscatter when viewing through thick fog or haze. Reduction of backscatter increases the light penetration through the atmosphere, which has the effect of improving the viewing distance under poor weather conditions. Additionally, the laser spotlight can be used as a rangefinder with the TKN-AI at a distance of between 200 m and 3000 m. The accuracy of the rangefinding function is 20 m. Using the Gen 2+ image intensifier module, the target identification range achievable using the TKN-AI for a tank-sized target is 600 m. The sight has a fixed magnification of 4.75x in day channel and 5x in the night channel. At night, the commander can detect enemy optronics (IR radiation emitters) at distances up to 3 km. The commander is provided with an R-173 radio for inter-vehicle communications. The R-173 radio is an FM radio that can operate in 10 preset frequency modes, with the ability to mechanically switch frequencies in 3 seconds. 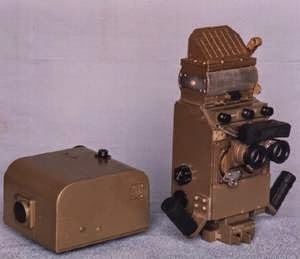 It is currently outdated and has been replaced with the R-168 frequency-hopping radio set with the ability to send encrypted data and switch frequencies 100 times per second. The commander is also provided with a P-174 intercom device. 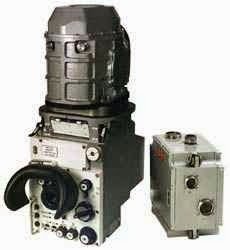 Both the radio and intercom systems are directly routed to the commander's headset and throat mike, which are both integrated elements of the iconic Russian tanker's helmet. The throat mike system is highly beneficial for audio clarity. The navigation suite of the BMP-3 appears to be an inertial one. It is quite likely that the installation of a GPS/GLONASS navigation suite is either underway or will be in the near future. 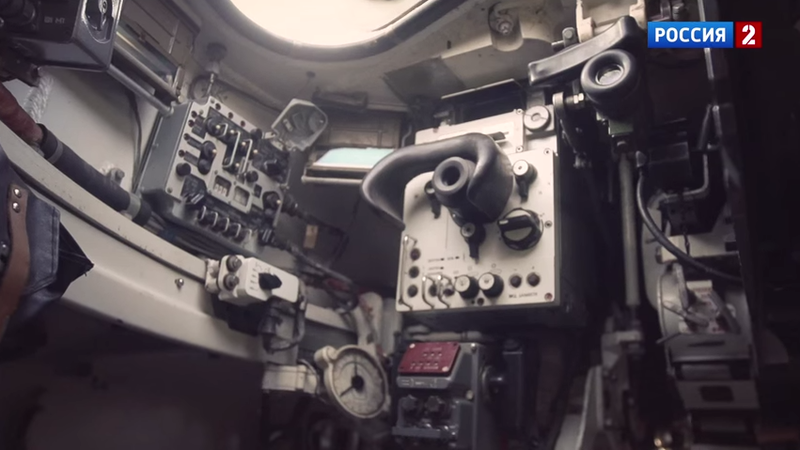 Unlike the BMP-2, the commander of the BMP-3 has completely duplicated gunnery controls at his disposal. 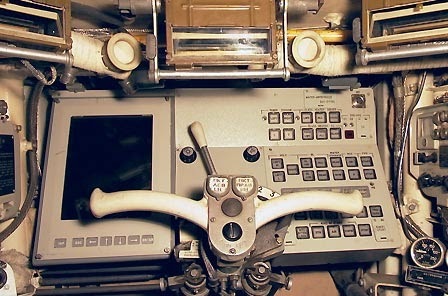 The upper right corner of the picture below (screenshot taken from the "Poligon" show aired on the Rossiya 2 channel) shows the commander's PP-088 weapons management console. The silver box to the left of it is a KR-80 relay box, and the gray box to the left of that is a power supply box. The drawing below shows the PP-088 console in greater detail. The weapons management console displays the ammunition reserve of the specified weapon type, readiness state of the weapons, and allows the commander to select the desired ammunition types for both the 30mm and 100mm cannons as well as control the operating mode of the autoloader and activate the autoloader to load one shell. The console also enables the commander to select the rate of fire of the 2A72 30mm cannon. The weapons management console must be switched on before the weapons can be used. In the case of the 100mm cannon, the commander is able to switch to missile firing mode, but he himself cannot fire guided missiles since his 1PZ-10 sight lacks the necessary provisions. 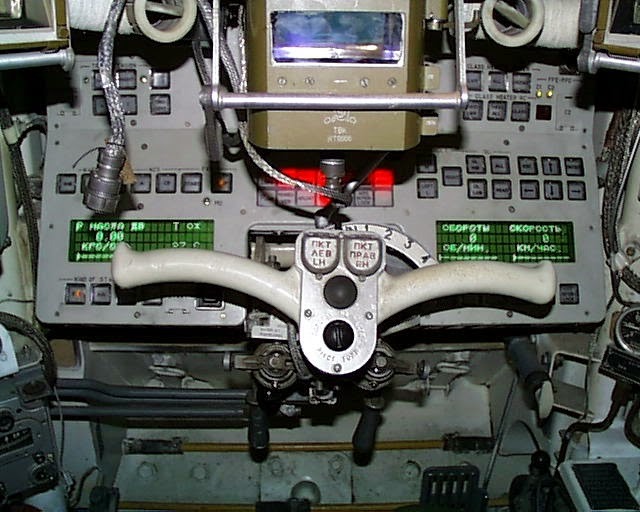 Stabilizer controls are located on the commander's handgrips. The commander is equipped with the 1PZ-10 monocular dual-purpose sight with dependent stabilization in the vertical plane. The sight is broadly similar to the 1PZ-3 sight used in the BMP-2, except of course, the modifications to enable 100mm rounds to be used. The 1PZ-10 sight has 1.2x to 4x magnification. In the 1.2x magnification setting, the field of view is 49 degrees, narrowing down to 14 degrees in the 4x magnification setting. Like the gunner's PPB-2 sight, the 1PZ-10 is very flexible. It can elevate by +81 degrees and depress by -10 degrees, enabling it to target both aircraft and ground targets. It cannot, however, automatically track its targets, nor can the commander fire guided missiles using the 1PZ-10 sight as it has no guidance channel. 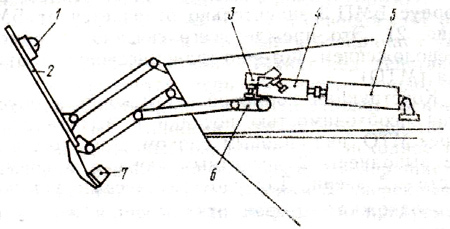 The sight is stabilized in the vertical plane by piggybacking on the weapons stabilization via a pair of mechanical rods. Since the stabilization mechanism interfaces with lenses and prisms inside the sight housing, the housing itself remains static as the stabilizer does its work, so the commander does not need to adjust his head backwards and forwards as his face is pressed up against the eyepiece. 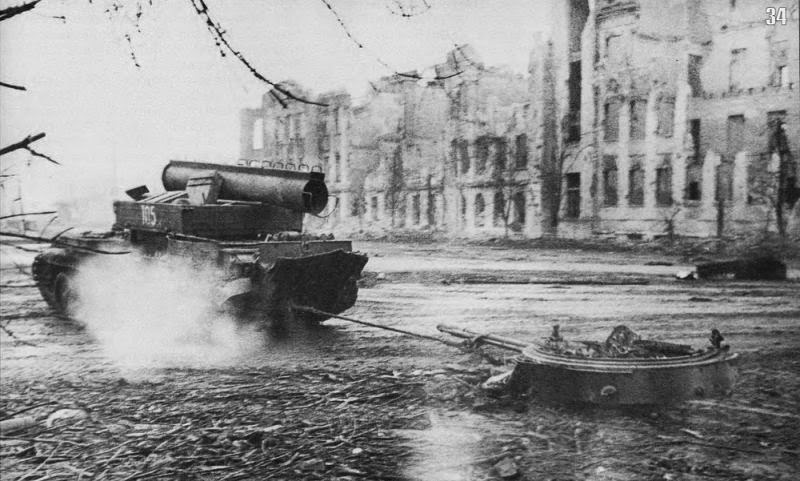 Unlike the crude PPB-2, 1PZ-10 features the familiar Soviet-style range scale system. 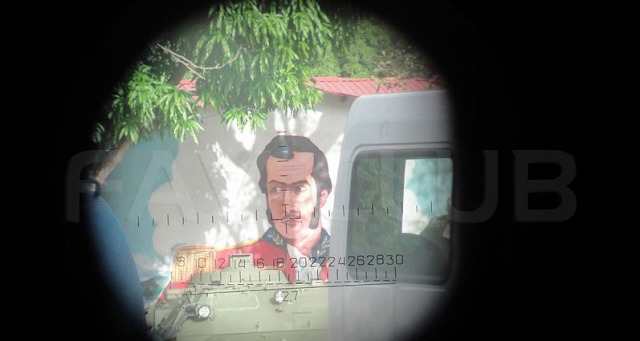 A fixed horizontal bar runs across the lower third segment of the sight picture, and the reticle with range scales for all ammunition types for all three weapons on the BMP-3 is placed in the center. To use this sight, the commander simply turns a dial to move the reticle until the desired range scale for the desired ammunition type intersects with the horizontal bar. For example: If the commander wishes to open fire with the 2A72 cannon at a congregation of enemy infantry at 1.6 kilometers, he simply twists the range adjustment dial until the range scale marked "16" for "30 OF" intersects with the horizontal bar. The reticle will be displaced for that particular ammunition type for that particular range. All the commander must do now is lay the reticle on the target and open fire. The photo below shows the sight under 1.2x magnification. You can see the aforementioned range scales and horizontal bar. The gunner is provided with two TNPO-170A periscopes, one aimed forward and the other aimed to the left for some little useful added situational awareness, a PPB-2 anti-aircraft sight, and a P-174 intercom device. 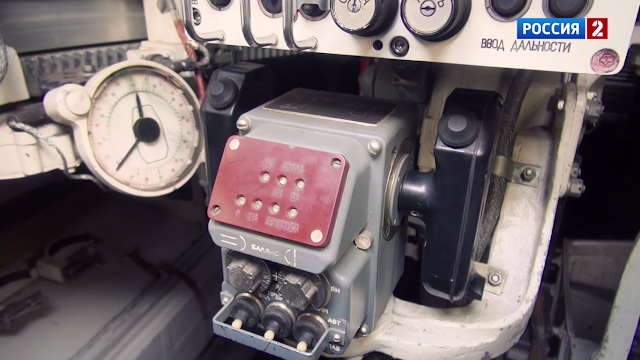 The gunner is also provided with a simple turret azimuth indicator. He has his own oval hatch. As you can see in the picture below (screenshot taken from the "Poligon" show aired on the Rossiya 2 channel), the gunner is provided with a PL-088 weapons management console, the same as the type installed in the commander's station. 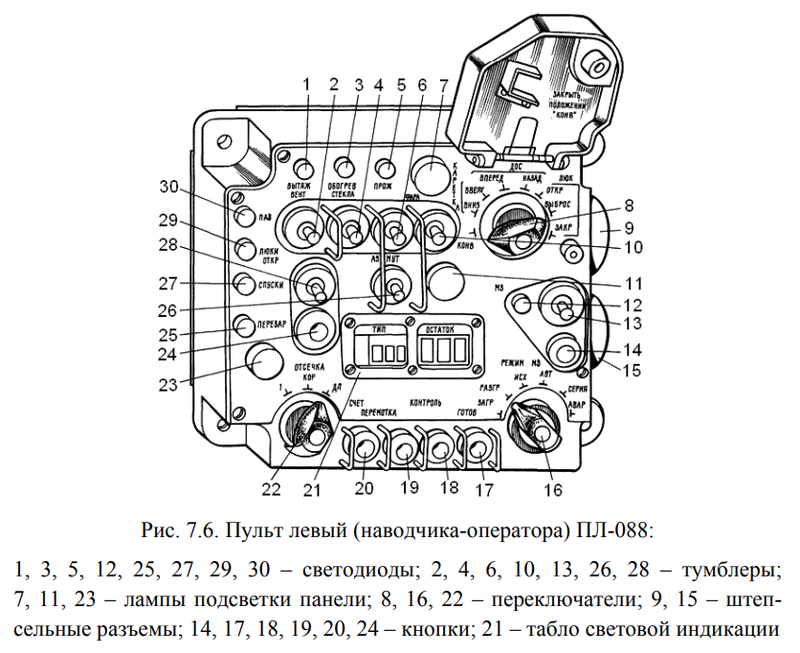 The drawing below shows the purposes of the many buttons and switches on the PL-088 console. Using this single console, the gunner can control the rate of fire of the 2A72, see the amount of ammunition left for both cannons, ready the weapons to fire, control the operating mode of the autoloader, activate the autoloader to load one shell, and more. The gunner is responsible for the fire control system and the stabilizer. He is provided with a set of handgrips (shown below), with which he can control the turret and the stabilizer system. In the baseline BMP-3, the gunner is provided with the 1K13-2 weapons sight/guidance unit which acts both as his primary gunsight and as the means for him to guide ATGMs. It can be used for observation both in daylight and night, with independent stabilization of the visual field in two planes. The 1K13-2 weapons sight with passive-active night channel has a 5000m sighting range, and can identify tank-sized targets at that distance in daylight hours. It has day/night channels with a digital heads-up display that reads out the range to the target after lasing. It has an 8x maximum magnification in the day channel, and 5.5x in the night channel. The field of view is 5 degrees at 8x magnification with the day channel, and 6 degrees and 10 minutes in the 5.5x magnification with the night channel. Nighttime viewing is limited to an 800m sighting range in the passive mode (light intensification), which requires a minimum of 0.005 lux (a typical moonless, starlit night) to achieve. The sighting distance increases as ambient light increases in brightness, so a viewing distance of up to 1500m is possible in dusk or dawn. The viewing distance is expanded in the active mode to 1100m with the use of the OU-5-1 IR spotlight. The sight's active setting captures shortwave infrared light, the same sort of light used by nightvision video cameras, which means that it works independently of visible lighting conditions. Thermal imagers cannot pick up this type of light, so they will be unable to see the beam emitted by the spotlight, but the spotlight, which operates on 800W, does put out a lot of heat, which thermal imagers can see. An inherent shortcoming to the usage of IR spotlights is that other vehicles can see the light as well, along with its source. The inverse also applies, which means that the BMP-3 can easily see and engage enemy tanks maneuvering in the dark without switching on its own spotlight. Like turning on a flashlight in the dark, you may not be able to see very far, but anyone can spot you from miles away. Infrared imaging sights will not be able to pick up the infrared light emitted by the spotlight. Thermal imaging sights operate in the 8-15 micrometer wavelength while the IR light emitted and used is in the 0.75-1.4 micrometer wavelength. However, the high heat emitted by the infrared spotlight installed on the right side of the turret is substantial, and very visible to an infrared imaging camera or sight. 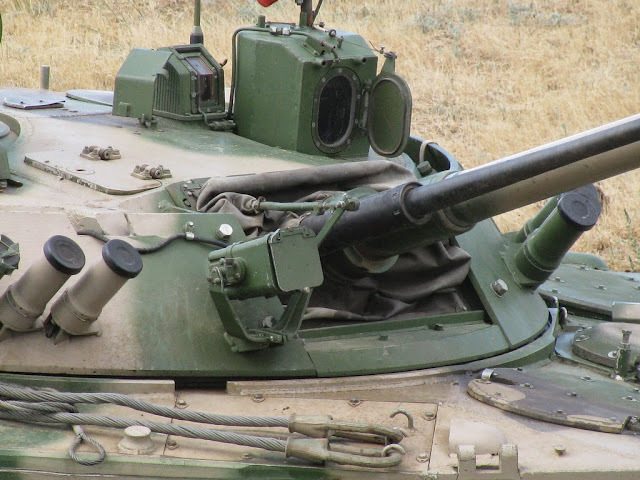 The baseline BMP-3's fire control system includes the 1V539 ballistic computer, a crosswind sensor, ambient air temperature sensor and a 1D16-3 laser rangefinder. Cant, speed and vehicle course angle sensors are included to register and compensate for any changes in the movement of the vehicle. The nominal range of the 1D16-3 rangefinder is between 500 m to 4,000 m with a margin of error of 10m. If necessary, the gunner can manually enter range data calculated through the stadiametric ranging scales on the 1K13-2 sight into the ballistic computer in the event of rangefinder malfunction. The PL-088 fire control switch for the 2A72 autocannon is at the disposal of the gunner. The 1D16-3 laser rangefinder was initially unreliable. Reportedly, it began to refuse to operate past 2,000 cycles, but this was soon rectified, and the TBF (time before failure) increased to 15000 cycles. The 1K13-2 sight, like the 1D16-3, originally had low reliability as well. 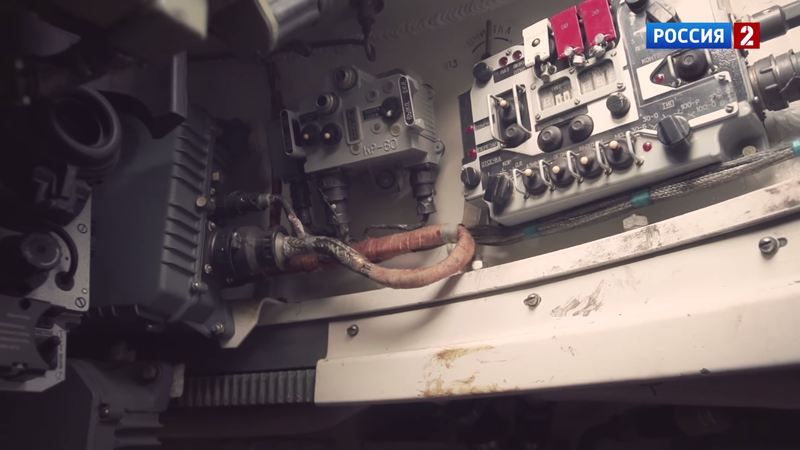 In initial tests, it began experienced failures past just 500 cycles of operation. This was later resolved, and time before failure (TBF) was raised to 5600 cycles. The operating time limit of the sight was originally a measly 60.9 hours, but it was raised to 210 hours. The 1D16-3 laser rangefinder and the OU-5-1 IR searchlight can be seen in good detail here. The 1D16-3 laser rangefinder, which is mounted over the 100mm barrel. Here are two of the gunner's sights. The 1K13-2 main weapons sight is the larger of the two, and the PPB-2 is the smaller one. The spotlight immediately in front of the viewer is the OU3-GA2. The one in the foreground is the OU-5-1. In later models of the BMP-3, the gunner is be equipped with the SOZh day/night gunner's sight with a PPN-D integrated laser rangefinder. The new sight has automatic target tracking, improved day and night channels, a heads-up display, and stabilization in two planes. The daytime channel has 1x, 4x and 14x magnification settings. The field of view is 20° for the 1x setting, 12° for the 4x setting, and 3.5° for the 14x setting. The greatly increased magnification gives the sight a very significant advantage over previously used sighting complexes in terms of target identification clarity at longer distances. 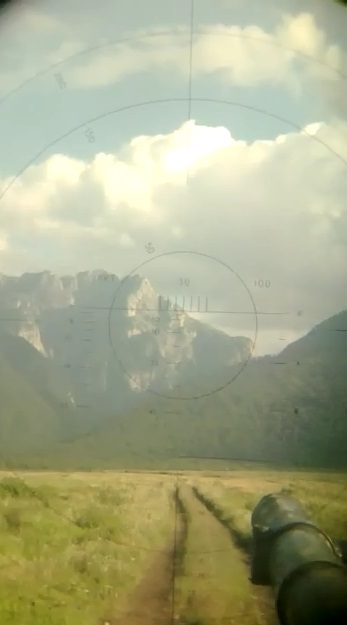 The sight picture under 14x magnification is seen below, taken from a screenshot from the "Poligon" show aired on the Rossiya 2 channel. It has a nominal maximum distance of 7000m for identification of tank-sized targets in daytime, but this is rather impossible in actual use. With that in mind, it should be noted that despite the extended identification range as compared to FLIR sights, non-FLIR sights like the SOZh are far more seriously affected by weather conditions. Foggy conditions, snow storms, heavy rain, all serve to reduce the effectiveness of these sights. The accuracy of the stabilization of the field of view is 0.1 mils when the vehicle is static. Nighttime identification range for a tank-sized target is 800 m in the passive mode, and 1100 m in the active mode, whereby the PL-1 IR laser pulse beamer mounted coaxially to the guns (see above) is used. The PL-1 is a programmable IR laser pulse beamer that can emit modulated laser signals, giving it an additional utility as a laser rangefinder. 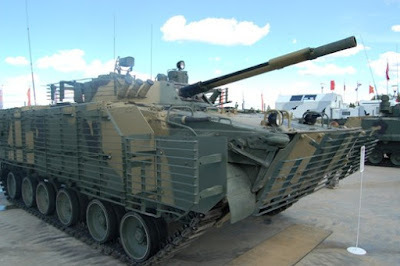 However, it is not used in that capacity on the BMP-3 since the SOZh sighting system has an integrated rangefinder with greater accuracy than the PL-1 is capable of. The PPN-D integrated laser rangefinder has a ranging error margin of around 10 m. PL-1 is only used as a source of infrared light for active infrared imaging night vision. 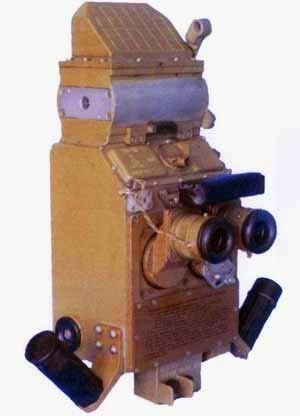 The PL-1 laser beamer was developed by the BelOMO optical and mechanical company. The device runs on 50 volts, and connects directly to the 27A electrical system of the vehicle. The OU-6 laser beamer is functionally equivalent to the PL-1, so the two of them can be used interchangeably. PL-1 projects a much more consistent and more intense beam of infrared light than a regular xenon IR spotlight, making it much easier to see faraway objects even in the presence of interference. 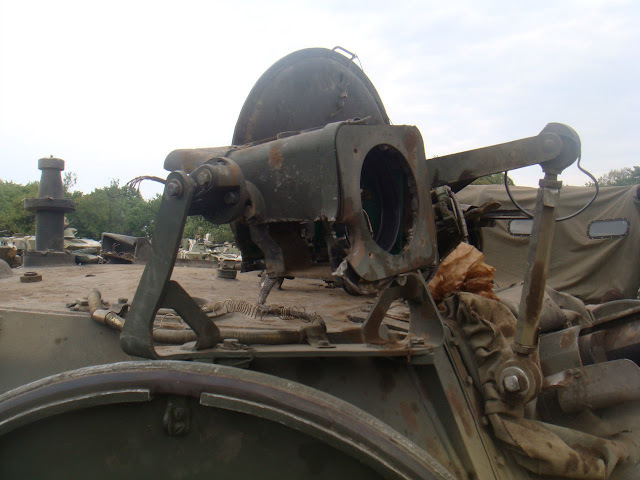 The projector itself is contained inside a protective housing, which you can see in the photo below (a destroyed BMD-2). The passive mode requires lighting conditions of at least 0.005 lux in order to achieve the aforementioned identification range, like the earlier 1K13-2. 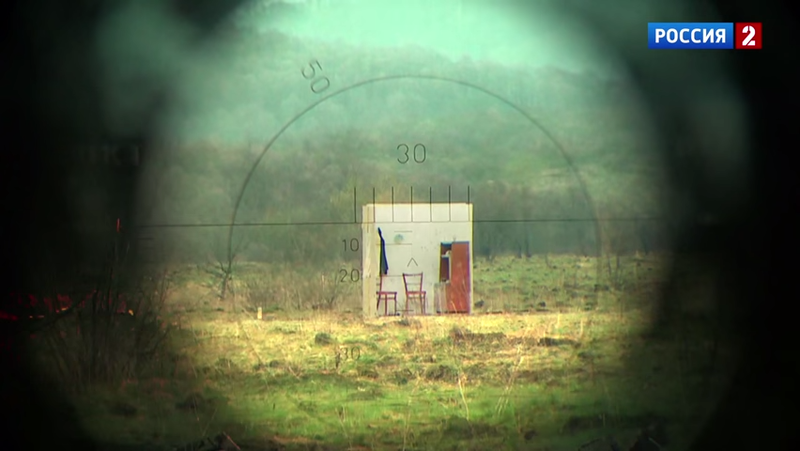 The maximum divergence of launched ATGMs from alignment to the guidance channel and sighting system is 0.5 m. In other words, the maximum distance the missile will stray from the line of sight of the guidance channel is 0.5 m.
The picture below - another screenshot taken from the "Poligon" episode - shows the gunner's workstation with SOZh. You can also see the PPB-2 sight to the right, and the two periscopes to the left. 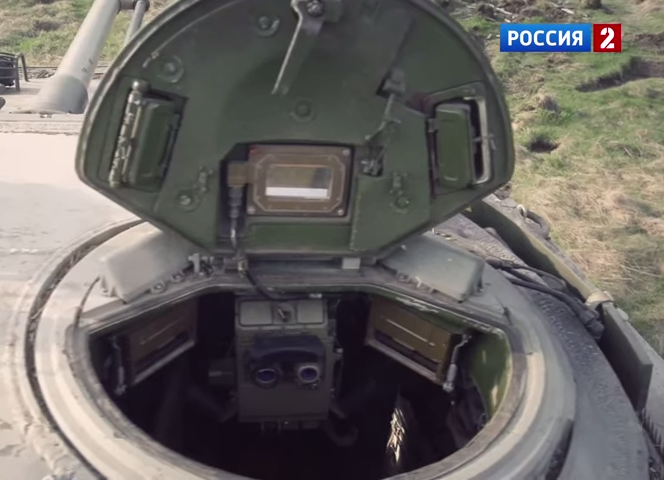 Currently, the SOZh sight is the standard gunner's sight on almost all Russian BMP-3s except for the earliest ones. 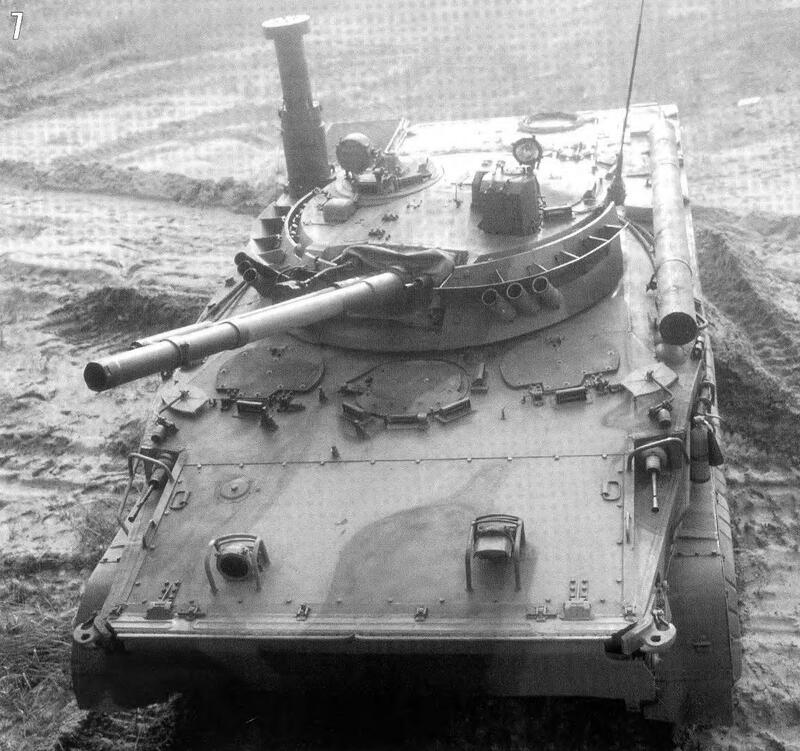 Since the beginning, the BMP-3 was equipped with a 1V539 digital ballistic computer. 1V539 can process five programmable ballistic factors and calculate ballistic solutions for ranges up to 5000 meters. The ballistic computer takes 10 seconds to boot up when the power supply is connected, and it can run continuously for 6 hours. Ballistic calculations are done instantaneously. The Vesna-K is a newer main sight, first seen in the 1990's. It features thermal imaging, an integrated laser rangefinder, and an AST-B automatic target tracking unit. The nominal maximum detection range of a target is 6500 m, and the identification range of a tank-type target is 4500 m. The Vesna-K sight has a temperature sensitivity of 0.1 degrees Celsius, and can switch between either wide or narrow field of view settings. The field of view in the wide setting is 9 x 6 degrees, and 3 x 2 degrees in the narrow setting. Under maximum electronic magnification, the field of view is 1.5x1 degrees. The AST-B tracking device has a tracking accuracy of 0.17 mils. It can track anything from people to low flying aircraft, though the anti-aircraft sight will have to be used to engage high flying aircraft or aircraft flying overhead. 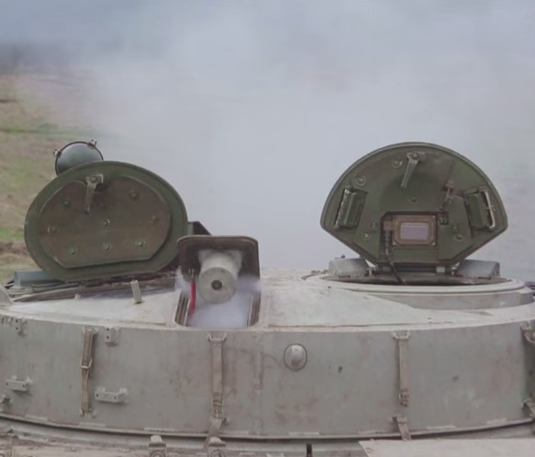 Azerbaijani BMP-3s do not use IR searchlights, because the Vesna-K doesn't need any. It must be noted that Vesna-K is not a fire control system, just a sight. It is installed next to the Sozh, and acts as the de-facto night sight. A BMP-3 equipped with Vesna-K will still have the 1K537 ballistic computer. To identify what sighting system a BMP-3 is equipped with, look whether the indicated (<---) device is a single-window or double-windowed one. Single-windowed ones are invariably either 1K13-2 sights or SOZh sights, and BMP-3s with 1K13-2 sights invariably come with the 1D16-3 laser rangefinder. Double-windowed ones have a Vesna-K. The Russian Army has been refitting their BMP-3s with SOZh sights since at least 2008, but the Vesna-K has not proliferated due to financial reasons. The PPB-2 weapons sight is a monocular dual-purpose sight mounted to the right of the gunner's primary sight, between it and the breech guard of the 2A70 cannon, which you can see in the photo below. To facilitate aiming at high altitude targets, it can look upwards by 81 degrees, and down by 10 degrees. It has a field of view of 25-28° at a fixed 2.47-2.6x magnification. It is marked with range scales for all onboard weapons as well as lead markers for leading aerial targets travelling at speeds not more than 250 m/s. This sight is purely for backup usage only, as it is a bare bones design with only the most essential working components inside it. 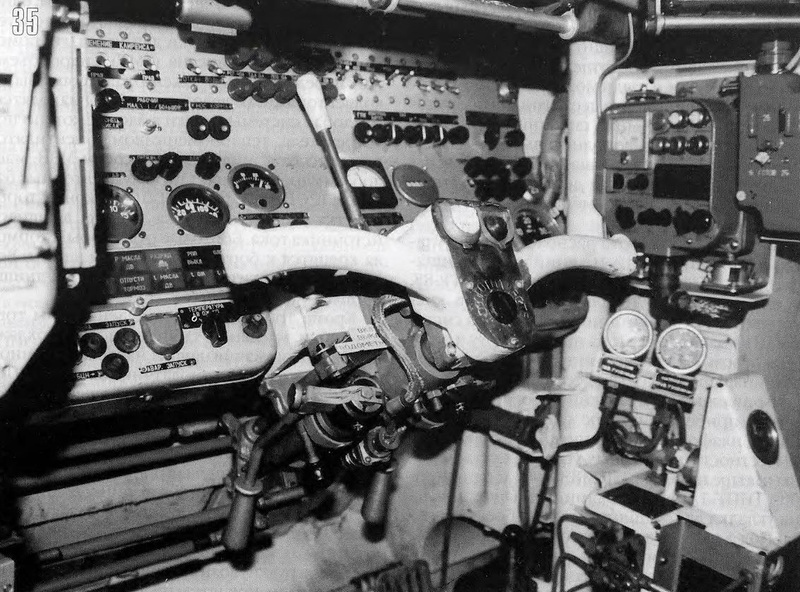 As you can see in the photo above, the sight is surrounded by exposed nuts and screws and the sight itself has no dials, buttons or switches, indicating that there are no adjustments can be made by the gunner in the field without a tool. It is interesting to note that PPB-2 only weighs 3.42 kg, compared to the more serious 1PZ-10 which weighs 18 kg. The BMP-3 is equipped with the 2E52-2 electro-mechanical stabilizer. The factory designation of the 2E52-2 is ITsKR.461314.001. This stabilizer enables very high accuracy firing through the use of two EDM-20M electric motors. The two motors are identical in performance and precision; one drives the gun elevation mechanism and one drives the turret traverse mechanism. 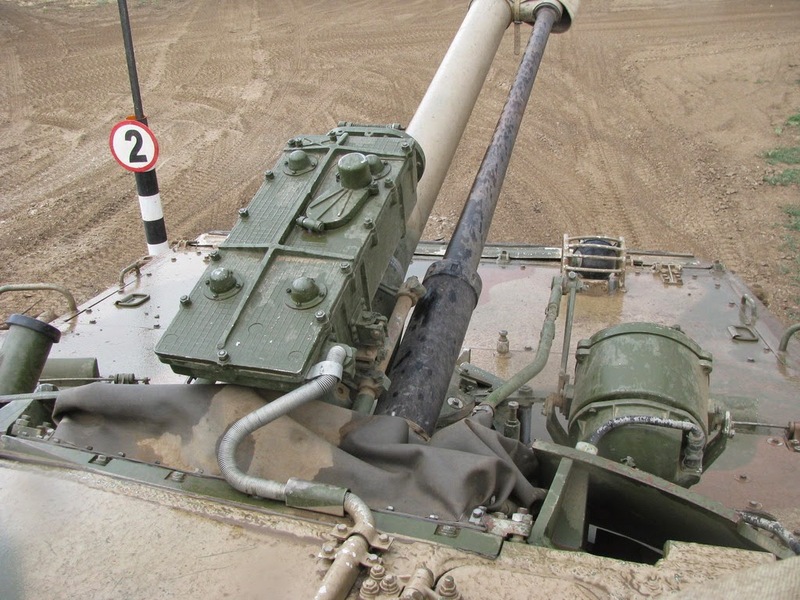 A significant advantage of the all-electric nature of the stabilization system is that there is no dangerous flammable hydraulic fluid being pumped at high pressure around the turret, so that if the armour is perforated, the chances of the vehicle catching fire is greatly reduced. Not having any plumbing inside the turret also makes it easier to maintain the vehicle. Furthermore, hydraulic pumps are bulky, noisy and consume a lot of power, so omitting one from the BMP-3 gives it better fuel economy and adds comfort for the crew. 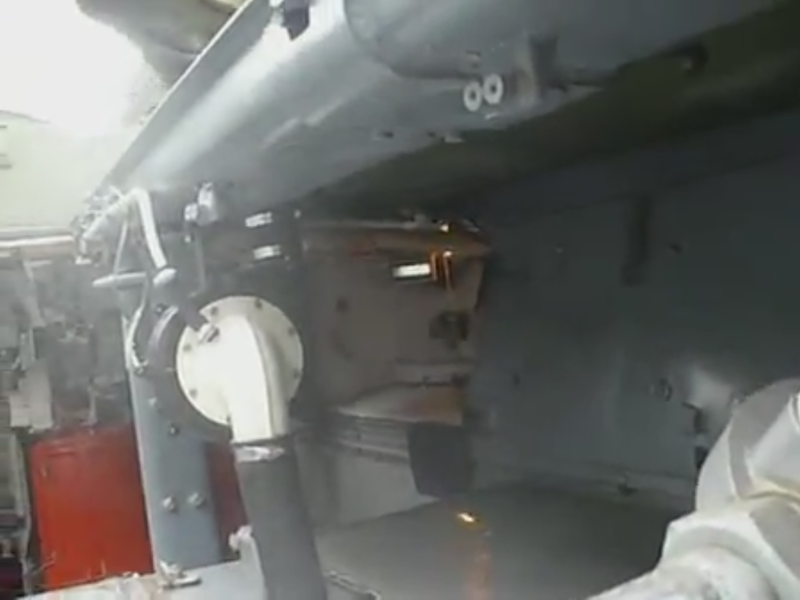 Another important advantage is that the electrical endurance of the BMP-3 while laying in ambush with engines off is better, though still rather limited as the vehicle lacks an APU. The stabilizer complex includes the 1B14 gyroscopic roll sensor. This gyroscopic sensor takes two minutes to power up to its operating speed, which is done when starting the vehicle. The warranty period is 1500 hours of operation. Besides that, there is also the PT115ks-1G angular position sensor and the TGP-5 accelerometer. The manual vaguely mentions that the speed of turret traverse in the "overcharge" condition is 35 °/s, but it does not mention the maximum traverse speed for the automatic mode without "overcharge". I interpret this to mean that the turret traverse speed has a hard limit of 35 °/s that can be reached by simply turning the control handles left or right to the furthest possible position. The median deviation from the point of aim in the automatic mode when the vehicle is in motion at a speed of 25km/h is not more than 0.5 mils, which is equivalent to a deviation of 1.69 MOA. This means that the BMP-3 can engage targets while moving at low speeds with essentially the same effectiveness as when it is immobile, and it can confidently engage small sized targets such as APCs and IFVs at sub-kilometer ranges while moving at medium to high speeds. The quality of the stabilizer can be considered on par with contemporary analogues in this regard (and by contemporary, I am referring to the Bradley M2A1 and the Warrior, and not the very latest developments like the Puma). The semi-automatic mode is meant only for engaging air targets flying by or over the vehicle at high speeds at closer ranges. 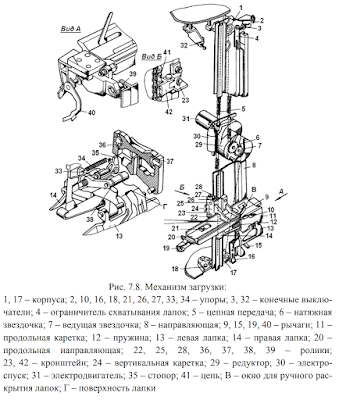 The acceleration and top speeds of the motors for both the traverse and elevation motors are boosted, at the cost of a great reduction in aiming precision. As it operates, the stabilizer will experience drift at a rate of 25 mils/min, meaning that the stabilizer will drift off target by 1.4 MOA as each second passes when left in continuous operation maintaining its aim at a single point as the vehicle moves sideways. This is not good performance, especially since this figure is already adjusted to include periodic drift compensation by the stabilizer complex. Nevertheless, it is mostly irrelevant since this stabilizer mode is only intended for a rather niche role. The "guiding" mode is a new addition. It is only used for guiding tube-launched anti-tank guided missiles. The maximum speed of turret rotation in the guided mode is electronically limited to only 2.5 /s in order to prevent the gunner from accidentally breaking laser contact with the missile while tracking a target. The minimum gun laying speed is the same. As usual, the gunner's handgrips follow the traditional "Cheburashka" configuration. In fact, the handgrips are the same ones used in the BMP-2. The commander gets his own pair to take control of the weapons when in commander override mode. 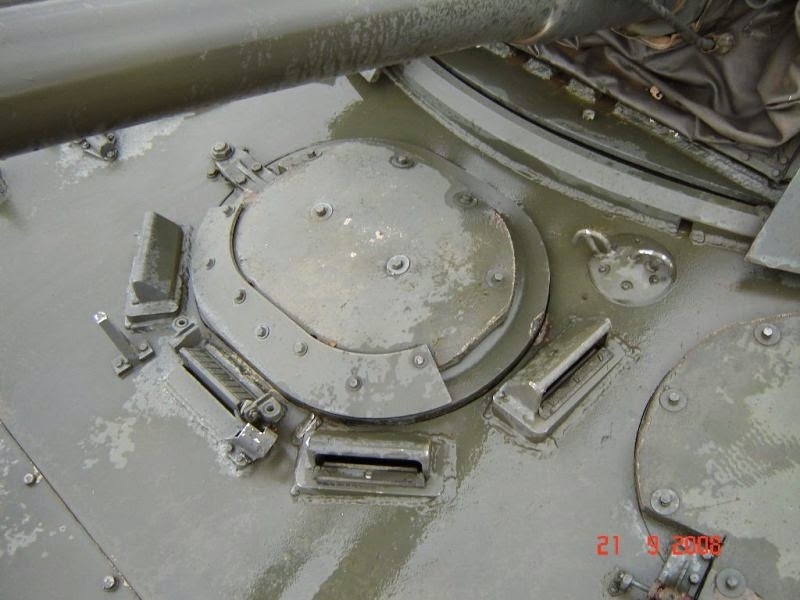 Turret slewing is done by turning the handgrips turntable style, as opposed to a steering wheel style as is common on NATO analogues. The stabilizer complex needs two minutes to activate. When not in battle, the stabilizer must be set to the standby mode in order to prevent overheating. Upon entering combat, the stabilizer can be switched on, whereby it only requires a second or two to achieve full functionality. The 2K23 armament complex is housed in a fully traversable turret, consisting of a 100mm 2A70 low-pressure rifled gun, a 30mm 2A72 autocannon, and a 7.62x54mm PKTM co-axial machine gun. All three weapon systems are located on the same mount, which provides +60 degrees maximum elevation and -6 degrees maximum depression when the turret is facing the front, and +64 degrees elevation and -2 degrees depression when facing the rear. The cradle is in turn installed in the 5-ton turret (when combat loaded), which is fitted into a 1982mm diameter turret ring. The turret has a low height of only 540mm and a width of 2,266mm, making it a relatively small target when a BMP-3 is in a hull-down position. A 2A72 long-recoil, dual-feed autocannon is mounted beside the 2A70. The 2A72 has a rate of fire of 330 rounds per minute - far lower than the 550 to 800 rounds per minute of the 2A42 but still double that of its immediate competitors', and comparable to the rate of fire of the 2A42 when used in the 'low' setting. This was the result of a deliberate compromise to improve the compactness of the cannon, reduce its weight and simplify the action for maximum reliability and minimum upkeep. 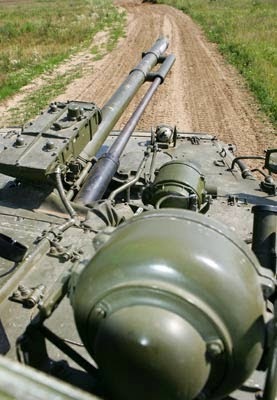 Additionally, the relatively high rate of fire enables this cannon to be used in an anti-aircraft role to a limited extent when paired with the anti-aircraft sight on the BMP-3. Either the gunner or commander can use their the PL-088 or PP-088 weapons control panel to set the cannon to fire in full automatic, in the single shot mode, or in a 10-round burst. Two to three 10-round bursts are typically needed to destroy an IFV-type target at the maximum effective range of the 2A72. The cannon has an extremely compact and lightweight receiver, making it ideal for the BMP-3 as the 100mm 2A70 occupies a significant amount of space on its own. The forward ejection system and long-recoil operation ensures that minimal propellant fumes enter the fighting compartment. 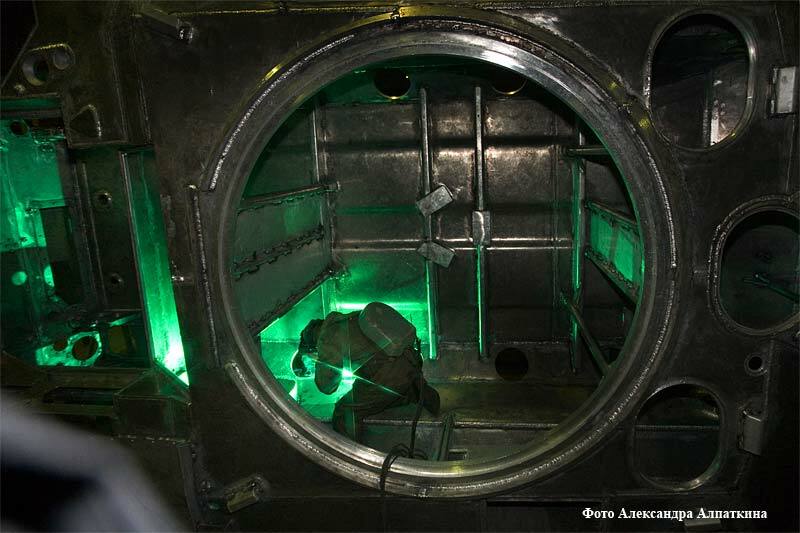 Although not all of the fumes can be eliminated, the long-recoil operating system allows the propellant to burn more completely inside the chamber before chamber is unlocked and the casing is extracted. 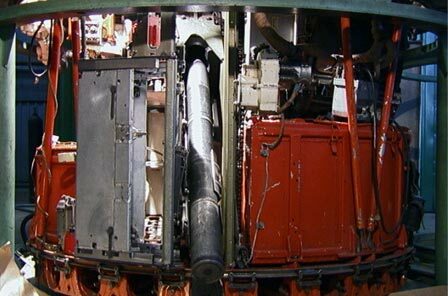 Like the 2A42 cannon that preceded it, the forward casing ejection system of the 2A72 prevents the unburnt propellant residue inside the casings from becoming an additional source of fumes inside the fighting compartment. The entire cannon has a total weight of only 84 kg, nearly half that of the Mk44 (156 kg), and even lighter than the RARDEN (113 kg), a similar long-recoil operated 30mm cannon. Considering the fact that the 2A72 is belt-fed and has selectable feeding, it is rather remarkable that the 2A72 is smaller and lighter than the clip-fed RARDEN, although it is beyond a doubt that the 2A72 sorely lacks the accuracy of its British counterpart. The barrel and bolt assembly is designed to be pushed back under recoil after the shell leaves the barrel. After travelling for 270mm only under the resistance of the recoil spring for the bolt, the barrel comes into contact with the shock absorber tube at the end of the receiver and is stopped within 60-65mm by the shock absorber spring. When the barrel stops, the bolt will be at the back of the receiver and the recoil spring will be fully compressed. The bolt is held in place by an automatic sear that is engaged at the instant that the bolt reaches the back of the receiver. The barrel is returned to battery by the strong shock absorber spring, and when it is in battery, the barrel trips the auto-sear and the bolt is released. The bolt travels forward, chambers a fresh cartridge and is locked to the barrel, ending the recoil cycle and readying the gun to fire. The barrel weighs 36 kg and measures 2416mm in length, or 80.5 calibers. The entire cannon measures 3006mm in length. The light weight and thinness of the barrel can prove to be something of an issue if firing for prolonged periods due to barrel warping and elongation, which can interfere with the ballistic properties of fired projectiles. This is somewhat offset by the guide tube affixed to the end of the 100mm cannon, but the elongation of the cannon when sufficiently heated can lead to changes in the pattern of the rifling, resulting in deviations in projectile rotation speed, which in turn results in less-than-predictable shot patterning over very long distances. Nevertheless, the cannon configuration enables it to attain a more than reasonable standard of accuracy. The barrel of the 2A72 is considerably heavier than that of the RARDEN, which had a 24.5 kg barrel of around the same length (2.44 m). The heavier barrel of the 2A72 enables it to fire multiple bursts at a sustained rate without overheating, whereas the barrel of the RARDEN limits it to semi-automatic fire, as designed. Nevertheless, the service life of the 2A72 is not high compare to foreign counterparts. According to the manufacturer, the 2A72 is rated for only 6000 shots, with the option to improve to 9000 shots when upgraded as part of a modernization programme. 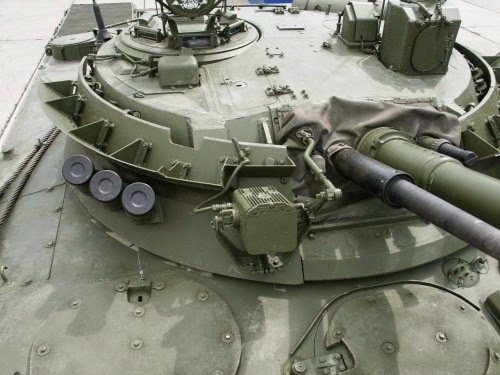 The accuracy of the 2A72 installed in the BMP-3 is significantly higher compared to an independently mounted one (such as on the BTR-82A, for example), due to a support sleeve at the muzzle end of the barrel, which is attached to the rigid barrel of the 2A70 cannon. Oversized rings on the barrel act as guides to stabilize the autocannon as it recoils within the support sleeve. Thanks to the support sleeve, barrel oscillations are kept mostly under control. This is a major contributing factor to achieving an acceptable accuracy standard despite the light weight of the barrel and the nature of the long-recoil action, which traditionally does not lend itself to good accuracy. The video below, taken from the Kurganmashzavod website, shows the cannon firing off 5-round bursts at full auto at a tank-sized target from 1220 meters away while on the move, using the AST-B target tracker. 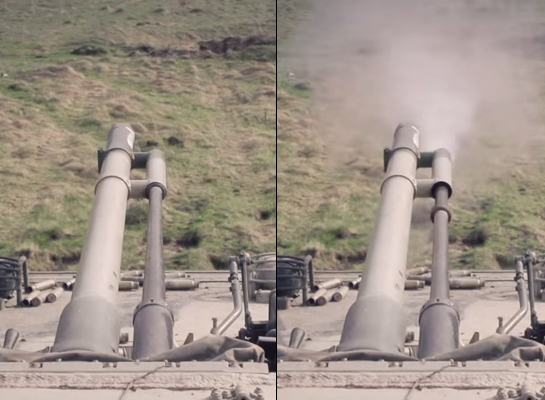 The BMP-3 in the video seems to score 4 hits out of 5 on the first volley, but only one shot met the target on the second. Not very incredible, but it has the excuse of having obsolete ammunition being a debilitating factor. The BMP-3 in the video used used old, lower velocity full caliber APBC rounds and not APDS rounds. The 2A72 features forward ejection and can be fired in either single-shot or in automatic mode. Since the gunner can use trigger discipline to fire slower at will, the 2A72 possesses a significant advantage to other slow-firing autocannons of the same caliber - If pin-point accuracy is needed, all that is necessary is to fire fewer rounds with more time in between each shot. A quick trigger finger on semi-auto guarantees workable accuracy if firing on full-auto is not appropriate for the task. Loading the first round, or clearing a misfired round from the breech of the 2A72 can be done manually or with a pyrotechnic charge in the case of a misfire. Three replaceable charges are installed in special slots in the cannon for this purpose. The ammunition storage comprises of two separate compartments, each dedicated to a specific type of shell. 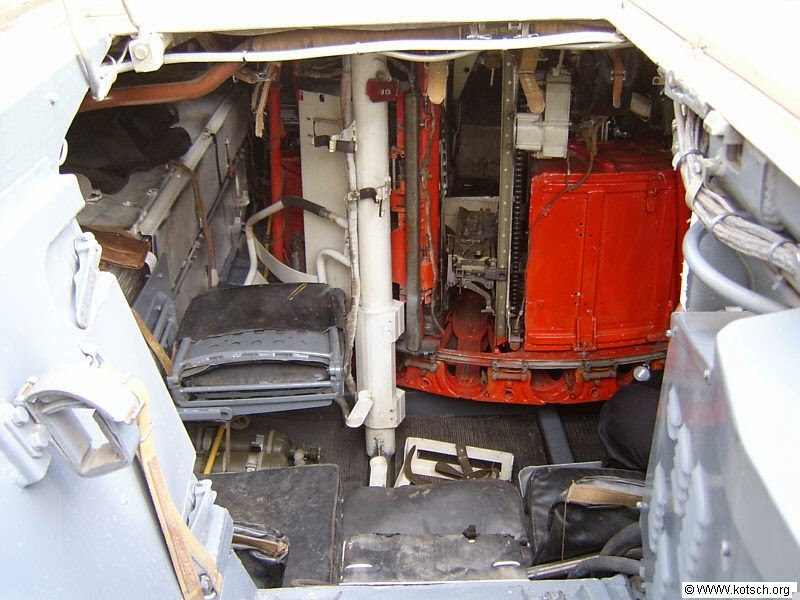 The right compartment, which is located under the commander's seat, houses AP shells, whereas the left compartment, which is located under the gunner's seat, houses HE shells. The autocannon is provided with 500 ready-to-use rounds, split between 305 HE-I and HEI-T rounds and 195 AP rounds in separate belts. It fires 3UOF8 HE-I or 3UOR6 HEI-T rounds, and 3UBR6 AP or 3UBR8 APDS. Maximum range of effective range of fire is 4000m against aerial targets, 2000m against area targets or personnel, and 1500m against light armour, but actual practicality is somewhat different, as you would expect. Besides the ratio of HE to AP, the 3UOF8 HE-I and 3UOR6 HEI-T rounds are loaded in a 4:1 ratio. Generally speaking, this is more than enough to last an IFV like the BMP-3 through a typical firefight, since it would not be operating alone, but with a platoon. BMP-3 gunners are primarily trained to engage light armour with the autocannon, and bunkers and fortifications with the 100mm cannon, and personnel in open spaces with the autocannon. In practice, aerial targets are always engaged with the autocannon. With this in mind, the roles of both weapons are quite ambiguous, as there are exercises where the gunner must engage area targets (representing groups of soldiers) and light armour with the 100mm cannon. Ultimately, which weapon and which type of munition is used against what target is determined by the commander. If certain targets are too tough to crack with the autocannon, the ever-present 100mm cannon may offer a pleasing alternate option. 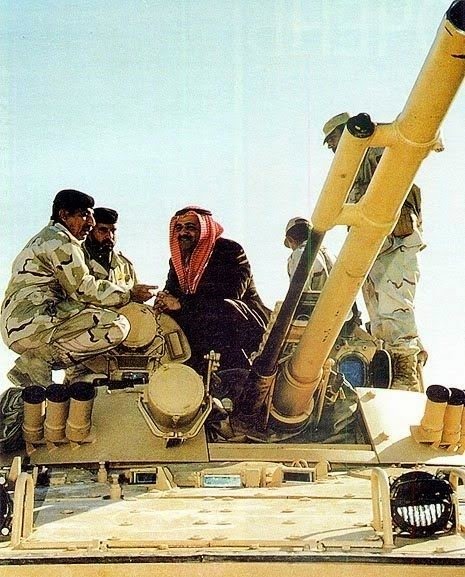 During a "free range" firing accuracy test for the UAE trials in 1991, the 2A72 autocannon (firing an unknown round, but probably AP or HE) displayed a high efficiency (or so they say). Out of 18 oil barrels acting as targets, 15 were hit. It is not known at what range these shots occurred, and how many rounds were needed per barrel, but it is assumed that it was more than a few hundred meters' distance, or else the test would be a rather unproductive one. In a consecutive test, the autocannon displayed a high degree of accuracy at a range of 2600 m, probably against area targets, on the same day. Again, the criteria for what is considered "high" should be understood first, but those details were not divulged. 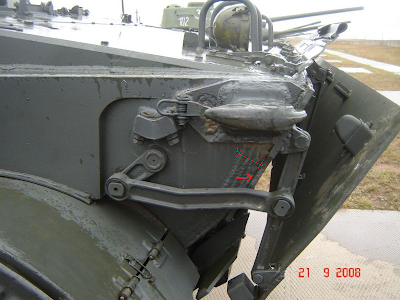 There is not much information on the firing accuracy of the 2A72 mounted on the BMP-3, but there is some data on the 2A72 as part of the "Kliver" drop-in turret for the BMP-1. The four graphs below, taken from "БМП-1 (1964-2000): Боевая машина пехоты" by Sergey Malyshev, show the effectiveness of the weapons complex of the "Kliver" system on various targets compared to the armament of an original BMP-1. The 2A72 cannon mounted on the "Kliver" turret is similar to the 2A72 on the BMP-3 in that both have supported barrels and the fire control system is functionally identical, so the accuracy should be similar if not identical, so the information on the performance of the 2A72 presented in the graphs should be directly applicable to the BMP-3 as well. 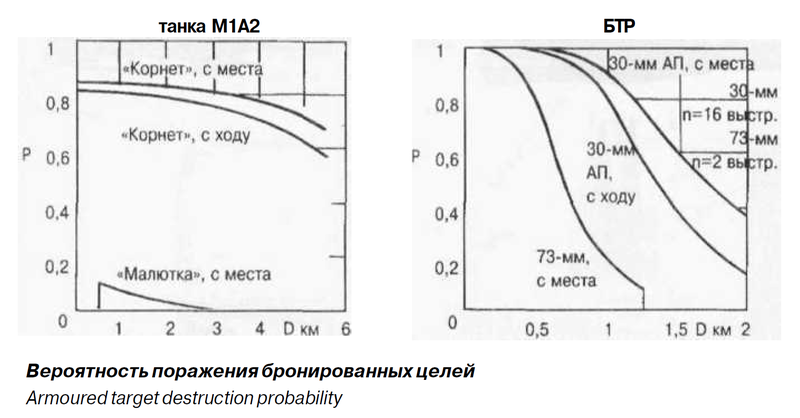 The first pair of graphs, shown below, detail the probability of destruction of an M1A2 using a "Kornet" missile compared to the old "Malyutka" missile of the BMP-1 and the probability of destruction of an APC-type target using the 2A72 cannon compared to the 73mm gun of the BMP-1. 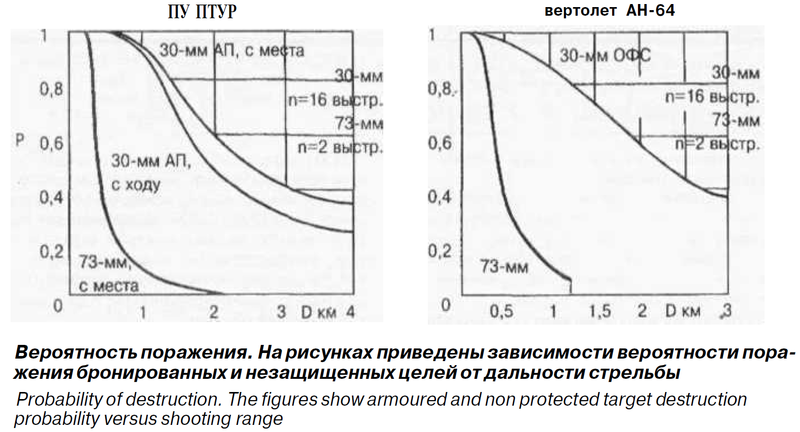 The effectiveness of the "Kornet" missile is not relevant for the BMP-3, so we will focus on the graph on the right instead. As you can see from the first line (30-мм АП, с места), the probability of destroying an APC-type target with 16 rounds of ammunition while firing from a static position is around 50% at around 1.75 km, going up to 80% at 1.2 km and 90% at 1.0 km. The probability of destruction decreases with increasing distance according to an inverted logistical S-curve, and the probability decreases more rapidly with distance when firing on the move, as shown by the line in the middle (30-мм АП, с ходу). When firing on the move, the probability of destroying an APC with 16 rounds is 80% at a distance of 1 km, but falls to only 20% at 2 km. At such distances, a very large portion of the ammunition supply would be required to guarantee a kill, so it may be more economical to expend an ATGM. The second pair of graphs is interesting as well. The graph on the right shows the probability of eliminating an ATGM team, usually defined as a team of two to three people with one portable ATGM launcher. The graph on the left shows the probability of destroying an AH-64 helicopter. From the graph on the left, we can see that the probability of eliminating an ATGM team with 16 rounds of ammunition is at least 60% from a distance of 2 km, falling to around 40% at around 3.5 km. Firing on the move against an area target like this has a small negative effect on accuracy even for a stabilized gun, resulting in a slightly reduced probability of elimination, down to 50% at 2 km. The graph on the right does not differentiate between firing in a static position and firing on the move, but overall, it seems as if the chances of shooting down an AH-64 is almost trivial. With 16 rounds, the probability of destroying an AH-64 is around 60% at 2 km, falling to 40% at 3 km. Helicopters are large targets, but they are not so easy to hit when moving around at speeds of 100-200 km/h or more, so it is quite likely that the calculations for the graph only considered a static hovering AH-64 and not a moving one. The 2A72 autocannon uses 30x165mm cartridges. The propellant charge used for all shell types is designated as the 6/7P-5BPfl, a type of high-energy stick powder. High-explosive incendiary shell intended for the destruction and neutralization of enemy combatants, helicopters, thin-skinned utility vehicles and light fortifications. In some cases, these shells may prove more potent than armour-piercing shells against heavily armoured targets since they are able to effectively able to damage and destroy sighting systems and other important components including periscopes, machine guns and fuel tanks. The destruction of these may already affirm the end of whatever mission the vehicle in question was on, without necessarily destroying the vehicle in question, although it is by no means a dependable method. 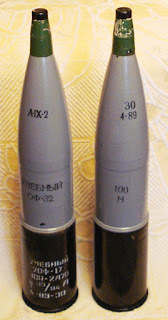 All Soviet autocannon shells manufactured after 1943 were filled with A-IX-2, but prior to that, generic explosive ammunition was filled with TNT and was split between two types: OZ (HE-I) and OF (HE-Frag). The best example is the 20mm ShVAK aircraft autocannon, which was supplied with a mix of OZ, OF and OFZ (HE-I-Frag) rounds. OZ shells were composed of a small HE filler with an incendiary pellet at the tip of the projectile, whereas OF rounds had a purely HE filler with fragmentation grooves, and OFZ was a hybrid of the two. The incendiary component was desirable for anti-aircraft purposes, whereas a higher explosive yield with fragmentation would be more optimal against ground targets. When A-IX-2 was invented in 1941, all subsequent autocannons intended for all varieties and combinations of roles (air-air, ground-air, etc) were supplied only with general purpose HE-I shells incorporating A-IX-2, which had the best of both worlds. The A-670M PD (point detonating) nose fuze is used. It will self-destruct after the shell has travelled approximately 4000 meters or so, depending on the strength of head and tail winds. For the 3OF8, the time to self destruct is 9 seconds. For the 3OR6, it is 14 seconds. 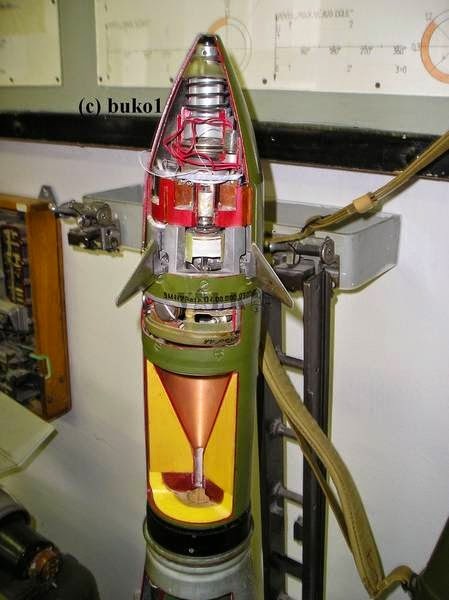 The A-670M fuze intrudes 30mm into the shell, and protrudes 39mm beyond it. The fuze weighs 49 g. The fuze is armed by centrifugal forces 20 m to 100 m away from the muzzle (no less than 20 m). The fuze is of the superquick type, with an initiation delay of 0.002 and 0.004 seconds, or 2 to 4 milliseconds. Compared to the 3UOR6, this shell is more useful when dealing with obstructions like walls and sandbag fortifications due to its much higher explosive power. It is also far more effective against personnel, thanks to the mass of the projectile and the number of splinters it produces. 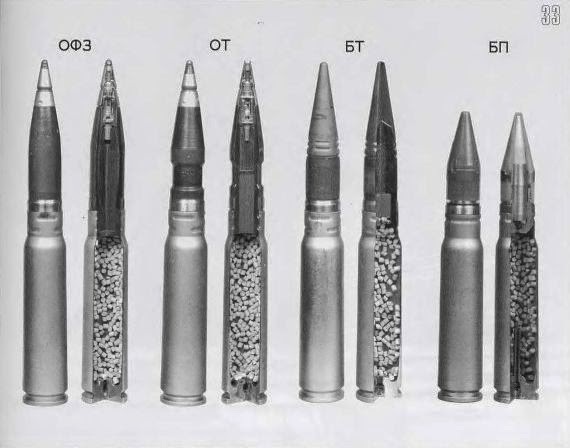 If compared to the American 25mm M792, the 3OF8 projectile weighs 2.1 times more, and it contains 1.53 times more explosives, despite a seemingly small increase of only 5mm, or 20% in diameter. 3UOF8 is in fact nominally more powerful than both the Oerlikon 30x170mm HEI-SD, which weighs in at 360g with a 40g charge of Hexal P30, and the American 30x173mm Mk266, which weighs 362g and contains about the same mass of explosive charge. Without a doubt, 3UOF8 can reliably guarantee the destruction of armoured attack helicopters thanks to its large explosive punch, and the shell has a large lethal radius on soft skin targets thanks chiefly to the spray of more than 1000 splinters and fragments of various sizes and weights that the shell produces. Speaking of the quantity of fragmentation, it needs to be mentioned that we do not actually know how many fragments 3OF8 produces and the mass distribution of these fragments. According to Jane's Ammunition Handbook, the Oerlikon 30x170mm HEI-SD produces "an average of 1133 splinters and fragments, of which less than 0.05 g is dust". It would be reasonable to assume that 3OF8 is also somewhere in that range. The shells are loaded in a 4:1 ratio of 3UOF8 to 3UOR6. Tracered high-explosive incendiary fragmentation shell intended for engaging personnel in the open and behind cover. 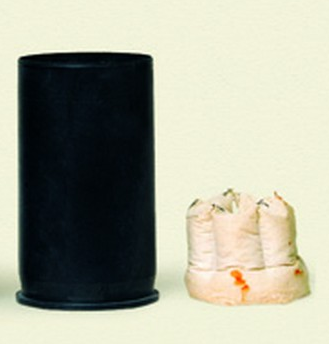 Small explosive charge makes this shell generally less suitable against the targets which the 3OF8 is used against. To compensate for the lack of explosive power, the shell relies mainly on the fragments it produces. The A-670M nose fuze is used, like the 3UOF8. It will self destruct after 14 seconds. Although this shell has a mere 23% the amount of explosives contained in the 3OF8, it is encased with the same mass of steel, which somewhat compensates for that fact. Since a sizable portion of the shell's mass is composed of the tracer element, the 3UOR6 shell tends to undershoot the constant-mass 3OF8. This is especially noticeable at longer distances. 3OR6 shells have a smaller explosive charge than 30x170mm RARDEN HE-I-T shells, which weigh 360 grams and pack 20 grams of Hexal. This is due to the need for a larger and longer burning tracer element since 3OR6 travels at a lower velocity. This shell is always loaded with the 3UOF8 in ratio of 1:4, being its tracered counterpart. Armour-piercing shell for the sole purpose of engaging armoured targets. This shell can be depended upon when engaging most IFVs and APCs, but not examples of the current generation. It is also capable of disabling some tanks when attacking from the flanks or the rear. From a technological standpoint, it is equivalent to solid shot APBC shells for anti-tank guns of WW2 vintage, but there are distinct differences that makes it more difficult to find out its armour penetration using the DeMarre equation. Peter Samsonov's convenient penetration calculator (link) provides a quick and easy online tool for this purpose. Caution needs to be exercised as the 3BR6 projectile lacks an explosive filler, has better quality than WWII era steel shells and has a unique wedge-shaped tip that is distinct from practically all other blunt-tipped armour piercing rounds. 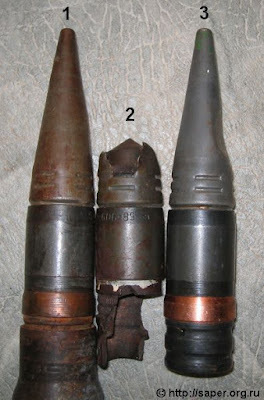 Due to the rapid shift away from blunt tipped steel shells after WWII, there are virtually no direct analogues to 3BR6. As such, the best approach is to take an average of multiple different shells, excluding those with armour piercing caps and explosive fillers. The wedge-shaped tip of the 3BR6 projectile can be seen in the photo below. According to the article "Боевая Машина Пехоты" published in the "Техника И Вооружение" magazine, April 2001 issue, the probability of hitting an APC-type target (M113A1) at a distance of 1.5 km with 3UBR6 is 0.55. The steel core in 3BR6 has an L/D ratio of 4.25. The lack of an armour piercing cap is a liability if the target plate is heavily sloped or preceded by spaced armour, despite the fact that 3BR6 uses very hard, high quality tool steel. However, the small increase in flat angle penetration from the lack of an armour piercing cap cannot be seen as a positive feature, as there are very few circumstances where the minor improvement in flat angle penetration would actually be useful. 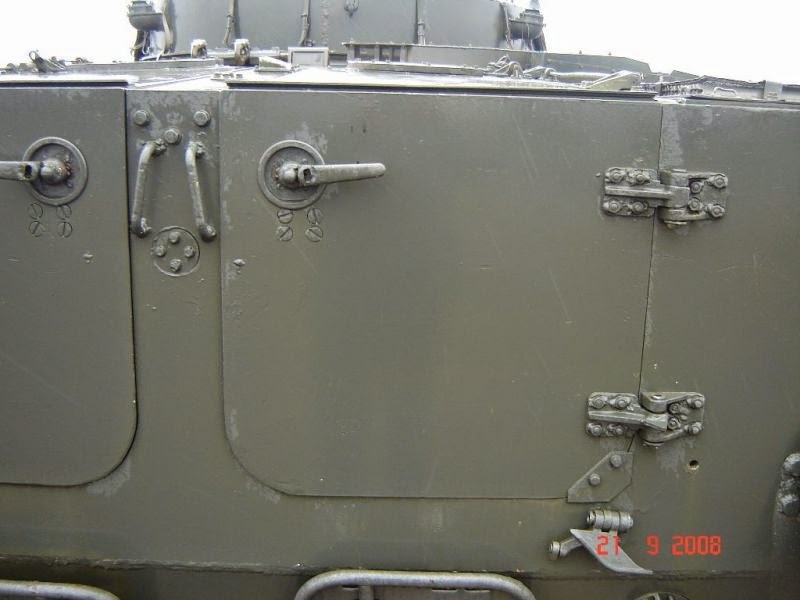 Due to its mediocre properties, its performance on light armour is rather modest, although it is certain that it is fully capable of perforating the armour of lightly armoured APCs such as the American M113, German Luchs, French VAB, or perhaps the generally light armour of scout cars and other armoured cars, while some modern vehicles like the Stryker and LAV III still prove totally vulnerable, being no better armoured than their tracked peers from the 60's and 70's. It is capable of handily defeating older IFVs like the Marder 1A2 and M2A1 Bradley from the front at ranges in excess of 1500 m, but against the latest IFVs or IFVs specifically beefed up against it like the M2A2 Bradley and Marder 1A3, the 3UBR6 shell is, for the most part, less useful than HEI shells. 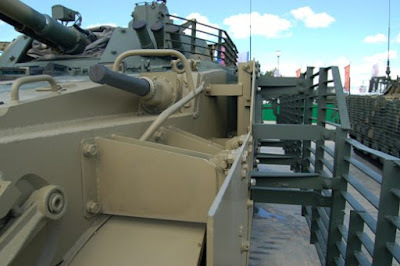 Furthermore, composite armour kits such as MEXAS can be fitted to many older vehicles, severely limiting the usefulness of 3BR6 even against outdated APCs. 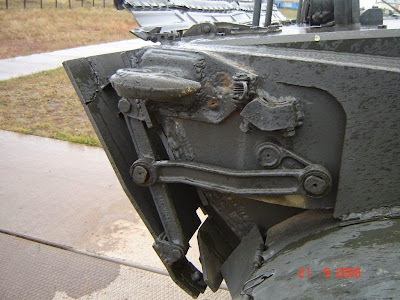 It quite interesting to note that this shell should be able to perforate the side armour of some tanks of its time, particularly at close ranges. The AMX 30, Leopard 1 and Chieftain are three such unfortunate examples. Legacy tanks like the Centurion are highly vulnerable as well. However, achieving this feat does require the BMP-2 to be set up in an ambush position with opportunities to attack the flanks of the aforementioned tanks at a perpendicular angle. There is some news that new ammunition incorporating plastic driving bands has been put into service in the Russian army. 3UBR10 matches this description, but its status remains largely unknown at the moment. The only difference between 3UBR6 and 3UBR10 is the replacement of the copper driving band with two nylon ones. You can see such driving bands here (link). Copper driving bands on a normal pressure round like 3UOF8 and 3UBR6 is equal to 1 EFC (Effective Full Charge). The 3UBR10 round is apparently 3 times less harsh on the barrel. 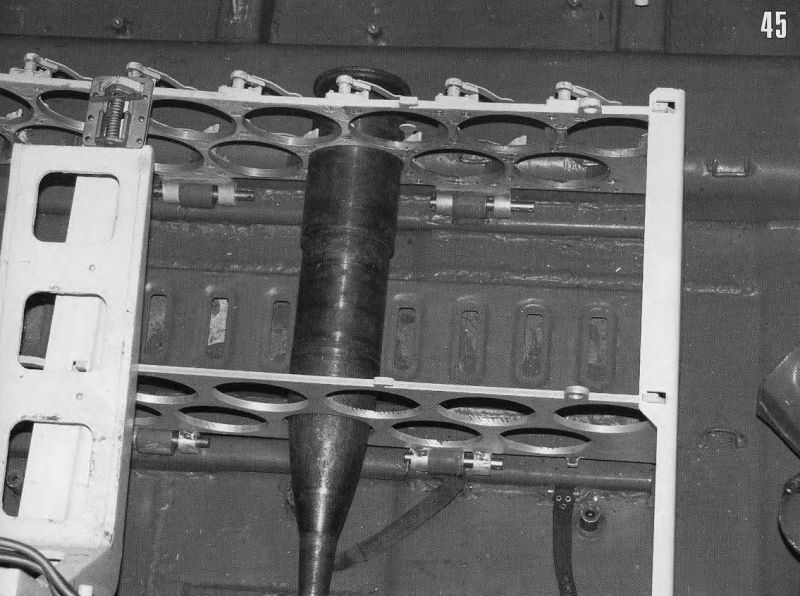 Greatly improved armour-piercing shell with a plastic discarding sabot with an aluminium plug, providing more opportunities to destroy armoured targets. Its properties are superior to the 3BR6 by a wide margin in all respects, including accuracy. A higher velocity and superior ballistic coefficient also enables the subcaliber tungsten alloy penetrator to travel with a flatter trajectory and to retain more of its energy at extended distances. According to the article "Боевая Машина Пехоты" published in the "Техника И Вооружение" magazine, April 2001 issue, the probability of hitting an APC-type target (M113A1) at a distance of 1.5 km with 3UBR8 is 0.7, which is an improvement over 3UBR6 (0.55). Although this shell travels at only 83.2% the velocity of its main counterpart, the M791, its core weighs 2.3 times more. 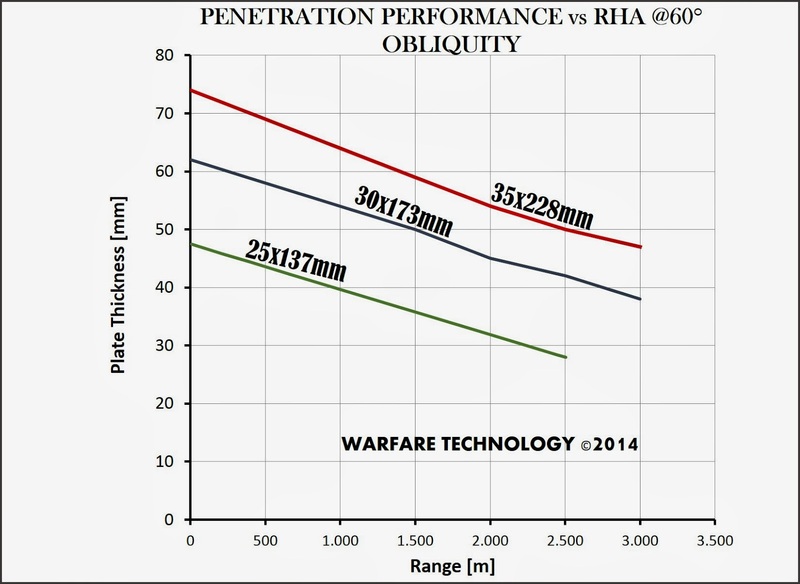 Not only does this mean that the 3BR8 penetrator has twice the amount of kinetic energy, but the 3BR8 shell has a significant advantage in that it will retain more residual mass after perforating any given thickness of armour, making for superior after-armour lethality as a greater number of heavier fragments will be sprayed on the other side of the target armour plate after it is defeated. The 3BR8 penetrator core is rather long, as you can see in the photo below. The 3UBR8 shell is capable of defeating most modern IFVs, but with varying degrees of success. IFVs like the M2A2 Bradley, Warrior, Marder 1A3, and the like are vulnerable at short ranges at various parts of their frontal arc, but the most modern contenders like the Puma are probably fully immune except on their flanks, but only at very close range. However, this does not mean that 3BR8 is redundant. 3BR6 is largely incapable of disabling an armoured IFV from mid to long range, so using 3BR8 greatly improves the chances of achieving effective hits on the target. 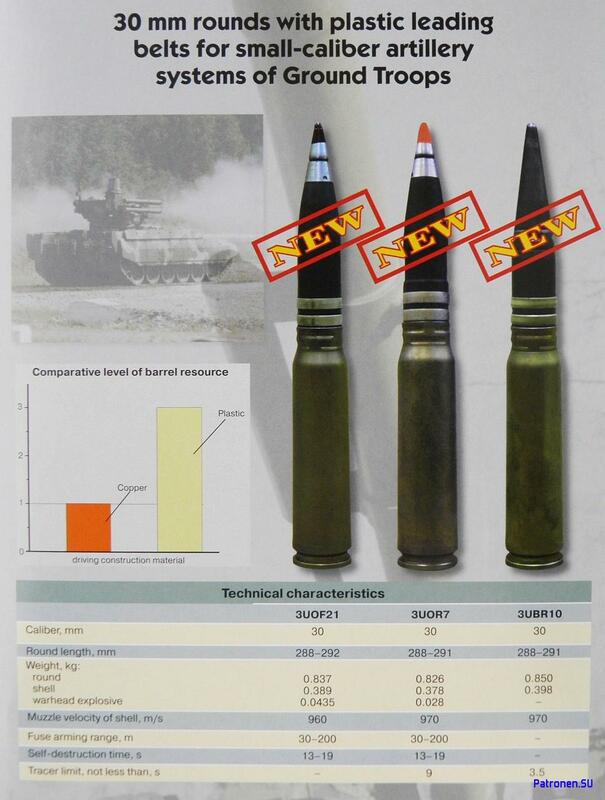 Rosoboronexport claims that the 3BR8 shell can penetrate 25mm RHA angled at 60 degrees at 1500m while ATK claims that the M791 penetrates the same thickness of armour at 1300m, while a marketing presentation claims that M791 penetrates 44mm of RHA at 0 degrees at 2000 m. Knowing that the standards for certifying armour penetration differ between the East and the West, the discrepancy between the two rivals is actually even bigger. 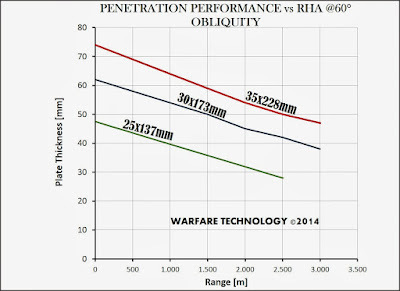 The Russians use V80 when expressing penetration values, which means that the 3BR8 shell will penetrate 25mm RHA angled at 60 degrees at 1500m in 80% of all cases given a certain range of velocities. Under this standard, perforation is where 75% of projectile mass ends up on the other side of the plate. In contrast to this, the U.S and others use V50. 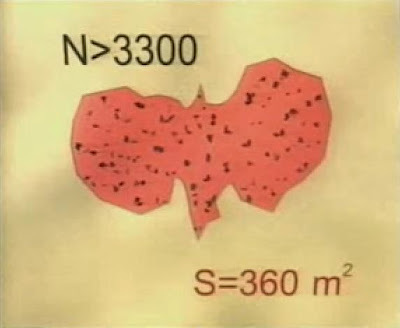 This means that only 50% of a set of shots have to perforate the target plate, and 50% of the projectile mass must end up on the other side of the plate for it to be considered a full perforation. Overall, 3BR8 is on the same technological level as the M791 APDS and 30mm RARDEN L14 APDS, but none of the three can be considered to be above the rest. All of them have an uncapped tungsten alloy (not tungsten carbide) penetrator in a plastic sabot. This means that they can be easily defeated by some form of steel spaced armour. Incidentally, this is the type of protection employed by both the Marder 1A3 and the BMP-3. The combat value of the 2A72 autocannon has come into question with the implementation of the 100mm 2A70 gun, which is able to supplant the the autocannon in literally all of its roles, though the 2A72 still proves useful in engaging helicopters and light armour. On the other hand, the FCS of the BMP-3 is advanced enough to allow the 2A70 cannon to engage helicopters and fast-moving ground vehicles as well, which has sparked a debate as to the autocannon's usefulness. The 2A72 was obviously not intended purely for anti-armour purposes, unlike the 30mm RARDEN, which, according to Jane's, was designed with an anti-armour philosophy with the emphasis on high accuracy as opposed to high rates of fire. The 2A72 is accurate enough on short bursts, but its main attraction is its light weight and high rate of fire. Therefore, it can be considered a lighter version of the 2A42, intended for light vehicles. The 2A42 is heavier, more accurate and faster firing, and is still the go-to autocannon for the Russian ground forces, as proven by its inclusion in the Bumerang, Kurganets and T-15 Armata platforms. In any case, it is probably not incorrect to assume that gunners like the added firepower anyway. The 2A70 is a low pressure rifled cannon with a caliber of 100mm. It can fire both HE-Frag shells and guided anti-tank missiles. 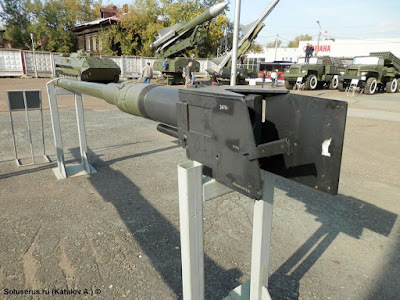 It has a vertically sliding breech block and its hydraulic recoil mechanism is wrapped around the base of the gun tube in the same configuration as the 2A28 "Grom" smoothbore cannon of the BMP-1. 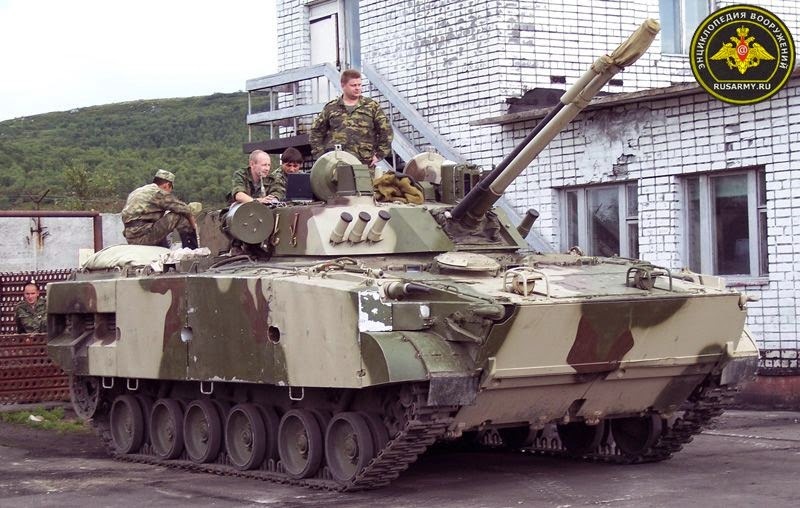 The 2A70 was a rather unusual choice of armament for an IFV due to its large caliber, but the capabilities offered by the weapon have apparently made it an attractive choice for the Russian military as well as the many foreign operators of the BMP-3. Its size and mass of 332 kg is excellent for a gun of its caliber. Unfortunately, the 2A70 does not feature a bore evacuator or any other mechanism of fume extraction. As such, the opening of the breech block after every shot will usually release a large dose of propellant fumes into the fighting compartment of the turret. 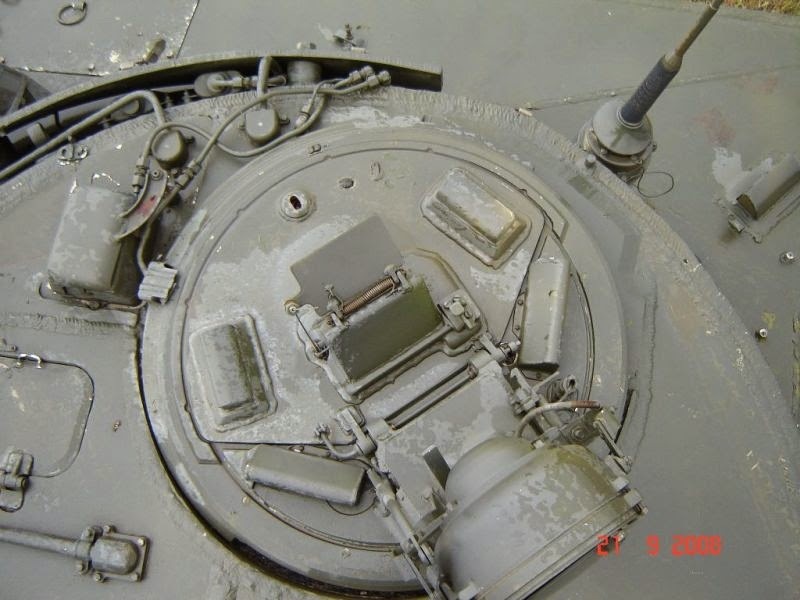 This was ameliorated to some extent by the inclusion of a casing ejection system in the BMP-3 turret as the unburnt propellant residue inside the casings would otherwise become another source of fumes. The opening of the ejection port hatch also provides an exit point for some of the fumes to be removed immediately after each shot, but only a marginal improvement is attained with this system. Either the 3UOF17 and 3UOF19 or 3UOF19-1 HE-Frag rounds can be used in the BMP-3, but they significantly differ from each other. The 3UOF17 round is heavier, and has a larger explosive filling but with a less dense fragmentation lining. This round has a maximum effective range of 4,000 m. The 3UOF19 round, on the other hand, weighs less but generates 1.7 times more fragments and is reported to have a casualty area 2.53 times larger than the 3UOF17. The newer shells have a maximum effective range of 6,500 meters to 7,000 meters. Both of these rounds use 3B35 impact fuses. The 3UOF19-1 shell is a proximity-fused variant of the 3UOF19. It is an airbursting shell, exploding at an altitude of 3 meters (give or take 1.5 meter) above ground level, producing a casualty area 1.7 times that of the impact-detonating 3UOF19. The use of a proximity fuse instead of a programmable timed fuse significantly reduces the time needed to acquire and engage a target. Since there is no need to install special fusing equipment, any standard BMP-3 may fire the 3UOF19-1 with the same firing procedure as normally fused shells. Both the improved shells also have a 25% higher accuracy when compared to the 3UOF17, due to the increased velocity (250 m/s to 355 m/s). The 3UOF19-1 shell uses the 9E154 proximity fuse. The 3UOF17 shell has a 15.6 kg warhead, and the 3UOF19 and 3UOF19-1 have 13.41 kg and 13.31 kg warheads respectively. The casualty areas (50% chance of injury or death) are 160 sq.m, 360 sq.m, and 600 sq.m for each respective shell. Depending on the angle of incidence with the ground, all three shells may either produce fragments in a butterfly pattern (in direct fire), or radially (in indirect fire). In the direct fire mode, most of the fragments are wasted because they launched into the ground and into the sky, and not into targets on ground level. Indirect fire is more efficient, because all fragments will be sprayed sideways and into targets on ground level. 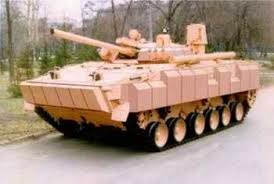 This gives the BMP-3 the ability to effectively destroy armoured personnel carriers and lightly armoured IFVs and other vehicles with a similar level of protection with a single hit, and severely damage and achieve a mission kill on even the latest and most heavily armoured APCs like the Patria or Boxer with a direct hit. The cannon is quite accurate despite the low velocity of its shells. The video below (taken from the Kurganmashzavod website) shows this. 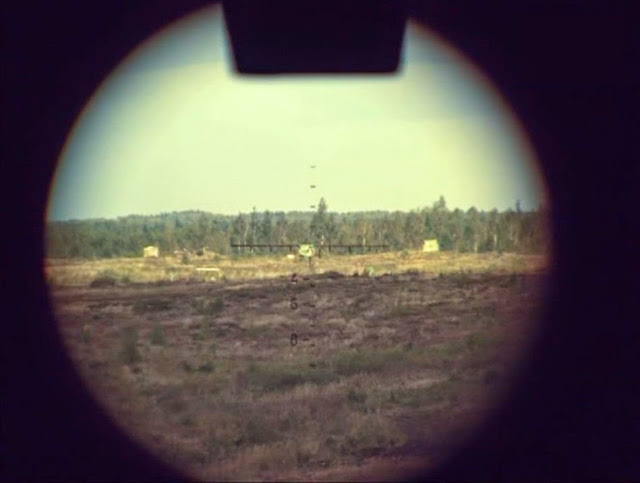 Firing on a target at a distance of 1,650 meters while on the move, using the AST-B target tracking system on the Vesna-K, the cannon scored a hit right in the middle of the target. 100mm HE-Frag shells may also be used in the anti-aircraft role, but only opportunistically. This is only possible with the proximity fused 3UOF19-1 shell. 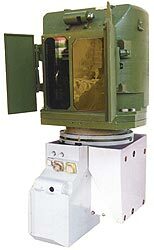 The 2A70 is loaded automatically from an AZ electromechanical autoloader, and is fed from a carousel mechanism on the turret floor which holds 22 rounds. 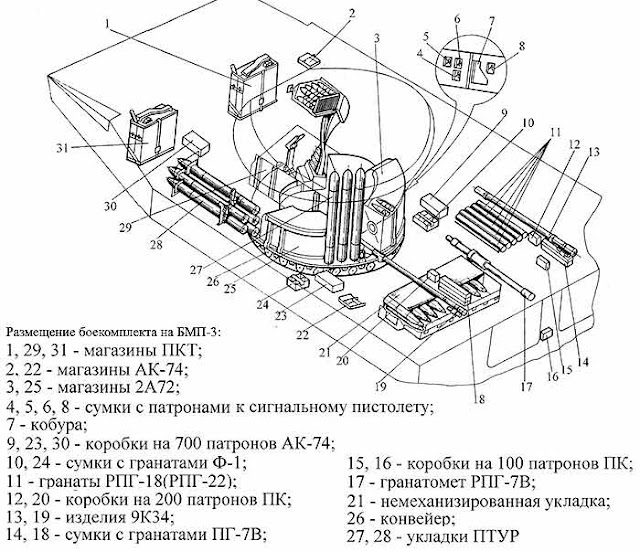 The autoloader has a similar layout to the AZ autoloader used in the T-72 series of tanks. The loading mechanism may be operated manually with the use of hand cranks in emergency situations. The drawing on the left below shows the elevator mechanism that transfers cartridges from the ammunition carousel to the loading position where it is rammed into the cannon, and the drawing on the right shows a general layout of the autoloader. 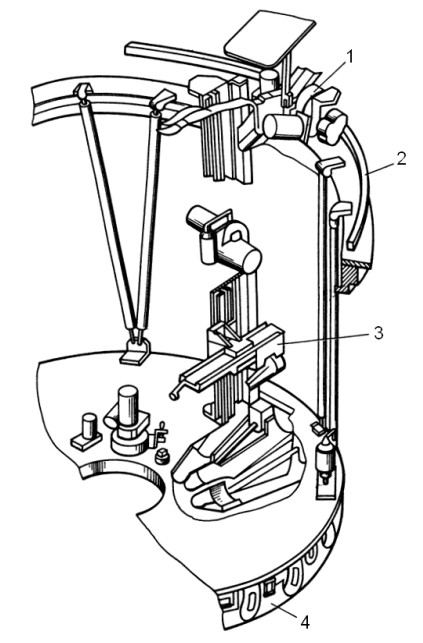 The kinematic components of the autoloader mechanism are shown in the drawing below. After a shot is fired, the cannon is brought to a pre-programmed depression angle while an ejection chute is lowered from the ceiling and the ejection port hatch is opened. When ejected, the spent shell casing is thrown into the ejection chute and its trajectory is diverted upwards and out of the ejection port. After the ejection cycle is completed, the elevator rail is raised from the autoloader carousel to the loading position behind the cannon, bringing a cartridge with it. A chain rammer then rams the cartridge into the chamber of the cannon and recedes, whereby the elevator rail is lowered and attaches itself to the next round. A normal loading cycle takes 4 to 5 seconds to complete, putting the maximum rate of fire for HE-Frag shells at 12 to 15 rounds per minute. However, the maximum combat rate of fire is around 10 rounds per minute. This figure is dependent on the limitations of the fire control system and the skill of the crew in acquiring targets. The 2A70 can fire guided missiles, but in the original BMP-3 turret, the missiles need to be loaded manually by the gunner. This is a rather clumsy procedure due to limited space in the vehicle and the sheer bulk of each missile. 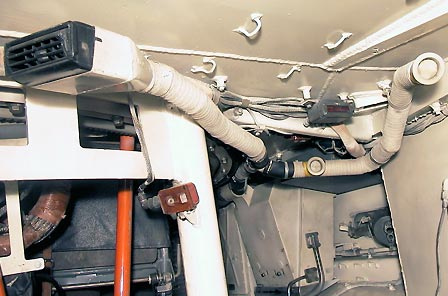 To assist the loading process and increase the rate of fire, the autoloader is set to the missile loading mode whereby the powered rammer of the autoloader is activated independently of the rest of the autoloader mechanism to ram the missile into the cannon after it is properly positioned. Only one missile may be airborne at any one time, and as such, the rate of fire largely depends on the distance to the target and the expertise of the gunner. The maximum rate of fire should not be more than 3-4 shots per minute. The practical rate of fire is 2 to 3 shots per minute. Spent shell casings are ejected through a small rectangular hatch on the rear of the turret. A casing deflector is is lowered simultaneously with the opening of the ejection port hatch to guide the ejected shell casing out through the turret roof. The propellant is quite smoky, so discarding the casing immediately after firing can reduce the volume of fumes that linger in the turret to some extent. This is because the unburnt propellant residue inside the casing is a source of fume and because the momentary opening of the ejection port helps to evacuate the fumes. 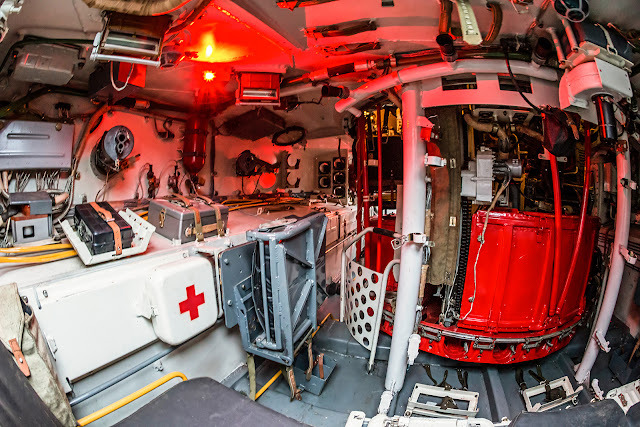 Aside from the 22 rounds held in the autoloader carousel, an additional 18 rounds are stowed in an ammunition rack behind the turret just under the 3 rearmost passenger seats, which can be folded up. To retrieve this reserve ammunition, the retaining clip resting on the base of the casing is depressed and the round is pulled straight out. 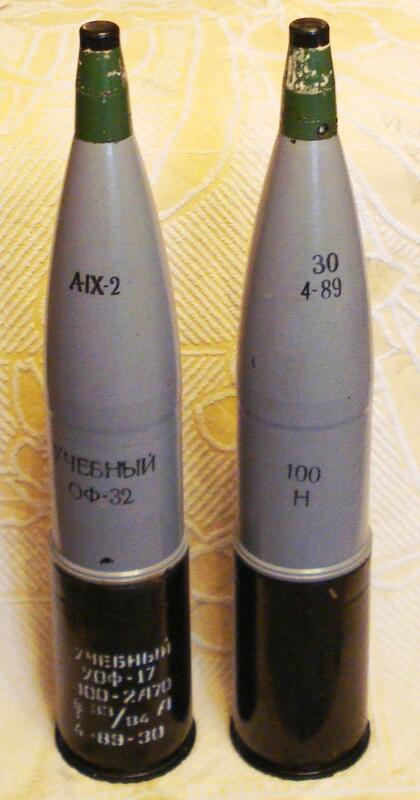 The first 100mm round available to the original BMP-3. 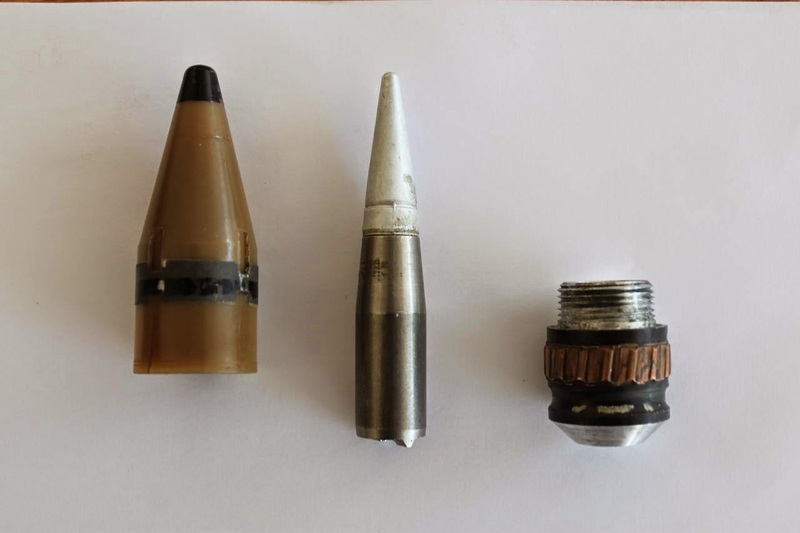 The cartridge includes a 3OF32 HE-Frag shell directly transplanted from the 100mm 3UOF11 cartridge, which was used in the D-10T cannon on the T-54 series of tanks beginning from 1970's. As such, the BMP-3 can be said to possess the firepower of a tank to some degree. This is the most effective shell "punch-wise", due to its substantial mass, making it most effective against light armour. However, the design of the shell body, especially the tail, does not produce an optimal fragmentation pattern, and the ratio of explosive charge to steel body mass (0.11) is not perfect. This is because of its heritage. As this shell was originally designed to be launched at velocities of over 800 m/s, they were probably not very worried about low velocity characteristics. This shell flies faster than its predecessor (supersonic, too) and has a greatly improved design, enabling it to produce more fragments. It is also more accurate, thanks to its higher velocity and improved tail. 3UOF19-1 replaces the conventional point-detonating fuse of the 3UOF19 with a proximity fuse. The new 9E154 fuse is designed to detonate the shell at an altitude of around 3 meters above the ground, enabling it to defeat targets located behind cover or entrenched in foxholes or reinforced trenches. Thanks to the large casualty area produced by the airbursting effect, it is particularly useful when engaging hidden problematic targets such as ATGM teams or snipers. 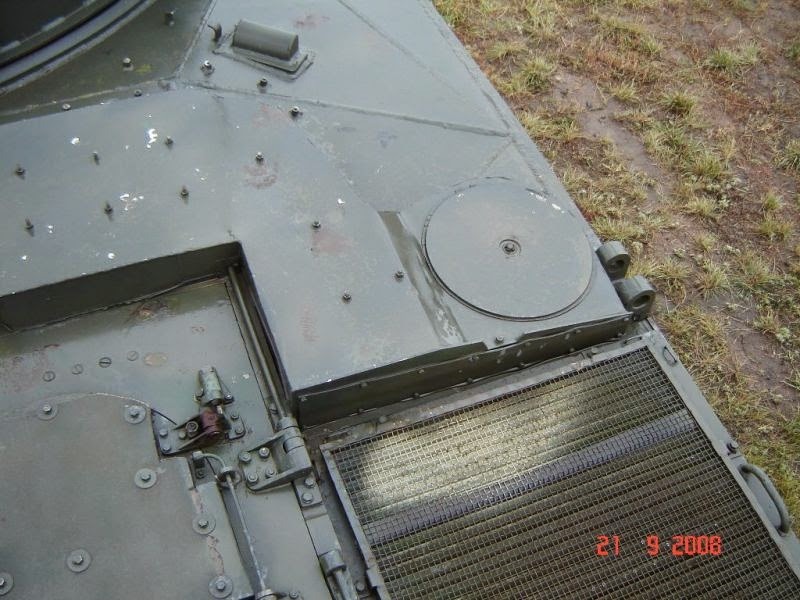 It becomes somewhat useless against IFVs, however, as the fragments are not nearly heavy enough to defeat even the thinnest roof armour, seeing as most IFVs are designed to withstand 155mm artillery air burst fragments. The proximity fuse also gives this shell the ability to engage moving aerial targets, as a direct hit is no longer necessary to achieve the desired effect. Depending on the exact angle of firing, the shell doesn't always detonate 3 meters from the ground. It depends on the angle of incidence, which changes if the target is nearby or far away. At long distances, the shell may detonate 1.5 meters above the ground, since the side-looking optical sensors cannot see the ground because of the high angle of attack. A short distances, when the shell is essentially flying parallel to the ground, it may detonate at an altitude of 4.5 meters. According to results from the BMP-3 trial in Turkmenistan for the UAE, the 3UOF17 shell has an average CEP (circular error probability) of 25m at a range of 4000m, meaning that 50% of fired shells will hit in an area with a circular diameter of 50m at that range. Therefore, 3UOF19/-1 shells should have a CEP of 22.36m at 4000m, though this is probably lower than the real values, as 3OF19 has slightly different aerodynamic characteristics and a higher velocity. For a low-velocity cannon, the 2A70 can achieve reasonably good results at long distances. Unfortunately, the low velocity nature of the 100mm shells means that they are quite susceptible to being blown off course by crosswinds or blown too far forward or too far back by head and tail winds. This invalidates any attempts to extrapolate the firing accuracy at 4 kilometers' distance to ascertain the firing accuracy at closer distances. Try it. You will find that it should be impossible for the 2A70 to hit a tank-sized target at even a few hundred meters' distance, when all of the evidence points to the opposite. Without much wind, or without prolonged exposure to wind, the accuracy of the 2A70 gun is much better than stated. An important thing to note is that although the 3UOF19/-1 shells can be shot to an absolute maximum of 8000m, the practical range will be limited to 4000m due to target identification range and ballistic computer limitations unless the newer SOZh gunner's sight (replacing the 1K13-2) and 1V539M ballistic computer is installed. Shooting at ranges more than 4000m requires switching to indirect fire mode. Unlike a true gun-mortar system like the Nona-S, the 2A70 cannon does not have access to mortar shells, making it impossible to hit targets at a high angle of attack at short distances. This is because conventional ogived shells like the 3OF32 lack the special shape and fins that enable mortar shells to consistently land always almost vertically like a shuttlecock. This means that the BMP-3 cannot attack the weaker top armour of enemy tanks and IFVs at short distances. It could do that at long range, but the low chance of scoring a hit makes this impractical. With the 2A70 gun, the BMP-3 is able to engage soft targets more effectively than its autocannon, and engage both soft targets and light armour at greater ranges than possible with a 30mm cannon. The gun may also prove useful against lightly armoured targets that the autocannon cannot destroy, such as the German Puma and uparmoured CV90 IFVs, both of which are heavily armoured and are able to reliably resist 30mm APDS shells. Additionally, the 2A70 gun is much more effective at destroying structures and earth-and-log bunkers, and is much more efficient in dealing with ATGM teams. 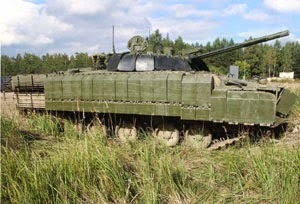 Furthermore, as a result of the 2A70's indirect fire capability, the BMP-3 has unique opportunities to engage soft targets as well as lightly armoured vehicles at a variety of ranges, and in situations where air power and artillery support is not available. For instance, a tank could easily hit a target at two kilometers using its high power and high velocity HE-Frag ammunition, but it cannot do this over a tall hill, or over tall buildings. The high velocity of tank gun ammunition and the limited elevation of tank guns means that while it is possible to land a shell on top of a target at long distances, it is not possible at shorter distances. The low velocity of the ammunition fired from the 2A70 enables it to lob payloads across villages, small towns, hills, and other natural obstacles at short ranges to provide fire support for nearby troops, as opposed to troops from the neighbouring division. This feature substantially increases a mechanized division's overall combat effectiveness, and enables the BMP-3 to perform many of the same duties as the Nona-S, but not as extensively, as the Nona-S is inherently more powerful due to its larger caliber and it has access to a much wider variety of munitions. The development of the 2S31 Vena (which uses the BMP-3 hull, no less) aims to endow the ground forces with a Nona-S-like weapon system. Another outstanding feature is the excellent gun elevation, which enables targets in high-rise buildings to be blasted with a level of effectiveness that an autocannon simply cannot match. It is evident that the popularity of large caliber autocannons in the 40mm to 57mm range is due to the need to accomplish the same tasks. All design choices have to compromise something, and in the case of the 30-100 combination, the compromise is that the anti-armour capabilities of the 30mm autocannon are very limited compared to a 57mm one. In the case of 57mm autocannons, the compromise lays in the limited explosive power of the shell compared to a 100mm solution. However, one could argue that this quandary has already been solved by the use of advanced technology. A programmable fuse can make a 40mm to 57mm HE-Frag shell highly effective against soft targets in the open and in field fortifications by employing an airburst mode, and even give it valuable bunker-busting capabilities by employing a delayed fuse. Another issue is that direct fire is more rapid and responsive than indirect fire, but the lack of indirect fire capability means that an autocannon-only IFV is perpetually at risk of return fire, usually from hidden ATGM teams. At least the BMP-3 has the option of engaging such dangerous targets at equally long range from the safety of terrain features. The 2K23 armament system includes the 9M116-3 Bastion 100mm ATGM launching system. It employs laser beam-riding guidance, which is essentially unjammable. The two ATGMs available for the BMP-3 are the 3UBK10M-3 Basnya cartridge with the 9M117-3 Basnya missile and the 3UBK23-3 Arkan cartridge with the 9M117M1 Arkan missile. 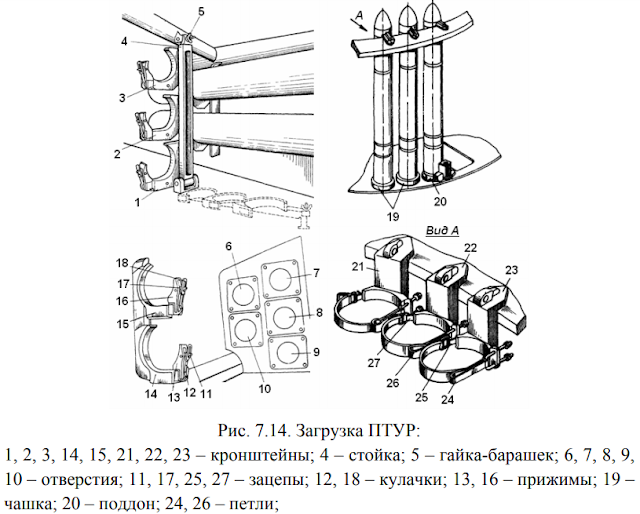 The 3UBK10M-3 is the designation for the complete Basnya missile cartridge, and it is the older of the two available missiles. It has a single warhead and a maximum range of 4000m. It was essentially outdated the moment it was introduced, as the special armour employed on NATO tanks at the time practically ensured their immunity to single shaped charge warheads of this caliber. Based on recent data on the performance of Abrams and Leopard 2 tanks in Syria, it can be surmised that Basnya would have been effective against earlier models (M1 to M1A1, and 2A0 to 2A4) of the aforementioned tanks in side engagements, but only in side engagements. Proliferation of this missile is unknown, but it has probably already been completely phased out in favour of Arkan due to its complete obsolescence. The BMP-3 can accurately fire and guide missiles while on the move at speeds of up to 25km/h. The missiles are soft-launched out of the gun barrel, whereby the rocket motor activates and sustains a transonic speed (~330 m/s) until detonation. All missiles have a claimed probability of hit of 80% at their maximum ranges. Both the "Basnya" and the "Arkan" missiles have a laser beam receiver at the rear. 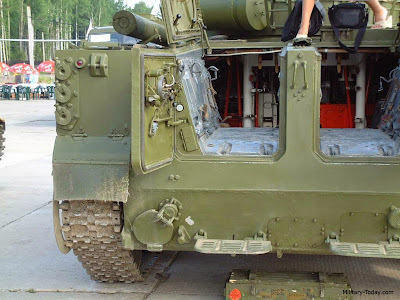 It is not completely clear if both of them have a totally interchangeable guidance system, but it is probable given that both missiles can be fired from any BMP-3 model without any prerequisites in the fire control system. 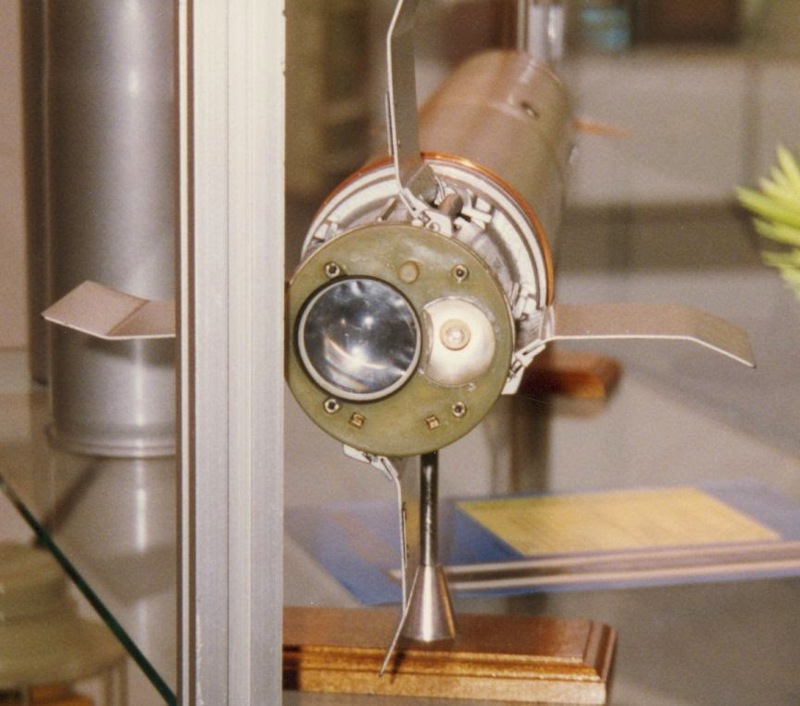 The "Basyna" missile has a single-charge warhead. It employs a hemispherical wave-shaper, which improves the integrity of the cumulative jet by focusing the main charge's explosive power more efficiently. The missile uses the 9E256 point-detonating, graze-sensitive fuse. The 9M117M1 Arkan missile has a tandem warhead and is better suited for defeating composite armour. It might be possible for Arkan to defeat the front turret armour of the M1 and the front hull armour of the M1A1 Abrams and the Leopard 2, but it is only thanks to the tandem warhead. However, despite Arkan being a relatively new missile, its potential is greatly hamstrung by its diminutive caliber. Arkan is currently useful against the side profile of modern tanks and against modern IFVs protected by ERA, such as the BUSK package for the Bradley M2A2/A3. Both Basnya and Arkan will fly at least 3.5 m over the ground, give or take 0.35 m, and descend to target level immediately before contact. This is primarily to keep the gunner's line of sight to the target clear, but it also helps minimize the possibility of the missile colliding with bushes or other terrain features, which may disturb the missile's flight or even prematurely detonate it. It also gives the BMP-3 some ability to engage targets in hull or even turret defilade, since the missile is guaranteed to fly over whatever cover the target is hiding behind. In a basic BMP-3, the missiles must be loaded by the gunner. 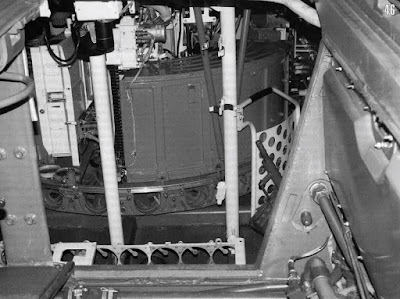 Three missiles are stored vertically in a ready rack on the rear of the turret, easily accessible to the gunner. Five more are stored in a storage rack on the port side of the vehicle hull. In practice, the turret racks are replenished from these hull racks by a passenger, although the gunner can reach them as well. Needless to say, the abundance of ammunition stowed in the open is troubling, though it is by no means unique to the BMP-3. The ready racks and reserve racks are shown in the drawings below. 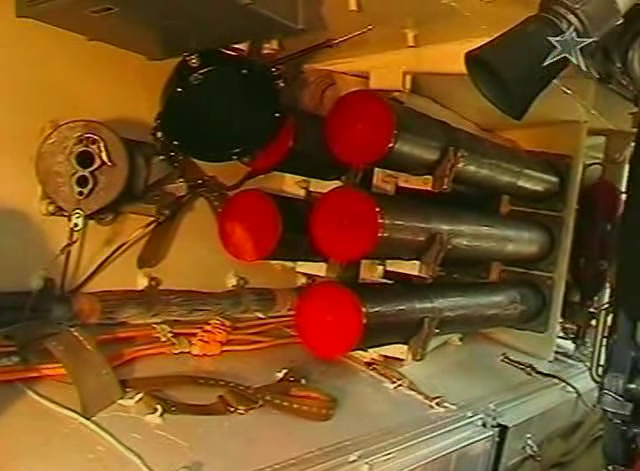 A screenshot from a video shows the five missiles in the reserve rack. 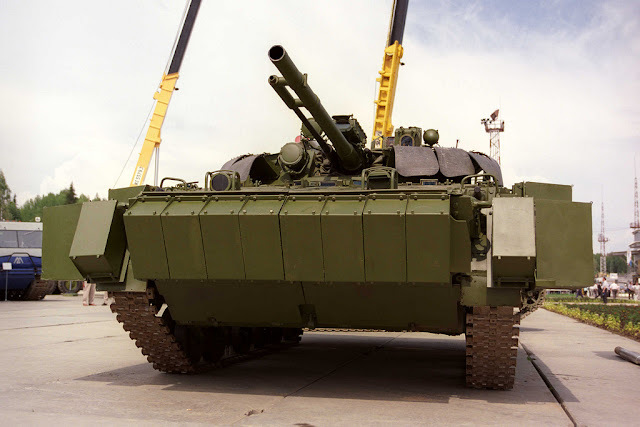 An autoloader is available to be retrofitted to the existing BMP-3 autoloader. It pulls ATGMs directly from the ready rack and rams them into the cannon, which is automatically elevated to the proper angle beforehand. Because the sight is independently stabilized, this leaves the gunner free to search for targets. Loading takes around 9 seconds, according to a demonstration video from the Kurganmashzavod website. It is possible that the rammer was deliberately slowed down for demonstration, which was also done in a separate video for the autoloader on the Bakcha-U turret. The coaxial PKTM machine gun is sighted through the gunner's sights or the commander's anti-aircraft sight. The PKTM is mainly distinguished from the earlier PKT by the smooth barrel as opposed to the fluted barrel of the PKT. Internally, the PKTM and the PKT differ in the same way that the basic PK and PKM models differ. 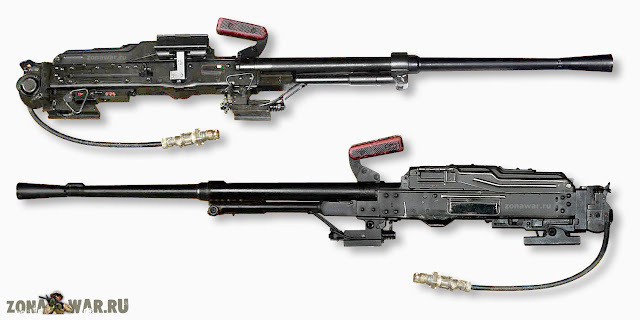 When the PKM replaced the PK on the production lines in 1969, the production of the original PKT also halted. 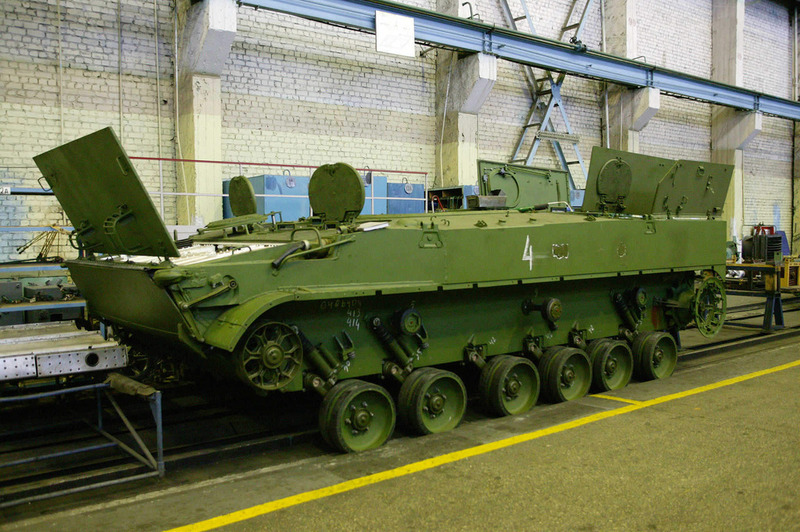 By the time the BMP-3 entered service at the end of the Cold War, the PKTM had been established as the standard model. 7BZ-3 API (armour-piercing incendiary) rounds with the B-32 bullet and 7T2 API-T (armour-piercing incendiary tracer) rounds with the T-46 bullet are linked in a 4:1 ratio. The machine gun has a cyclic rate of fire of 700 to 800 rounds per minute. A 250-round box of 7.62x54mmR ammunition is provided in a continuous belt. The co-axial machine gun can be fired either by depressing the trigger button on the gunner's handgrips, or by pressing the emergecy manual trigger button located on the trigger unit installed at the back the receiver of the machine gun. Aside from the main armament and the co-axial machine gun, the BMP-3 also mounts two PKTM bow machine guns, each with 2,000 rounds in a continuous belt. The machine guns are aimed through a single TNPZVE01-01 periscope-aiming device which has a collimator reticle projected on the viewing aperture through a fiber optic cable. The periscope itself thus becomes a gunsight, with a moving luminous reticle which moves as the PKT moves. 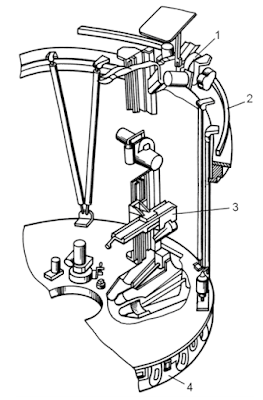 The periscope has a field of vision of 17.5 degrees in the horizontal plane and 10 degrees in the vertical plane. It has a magnification of 1x. 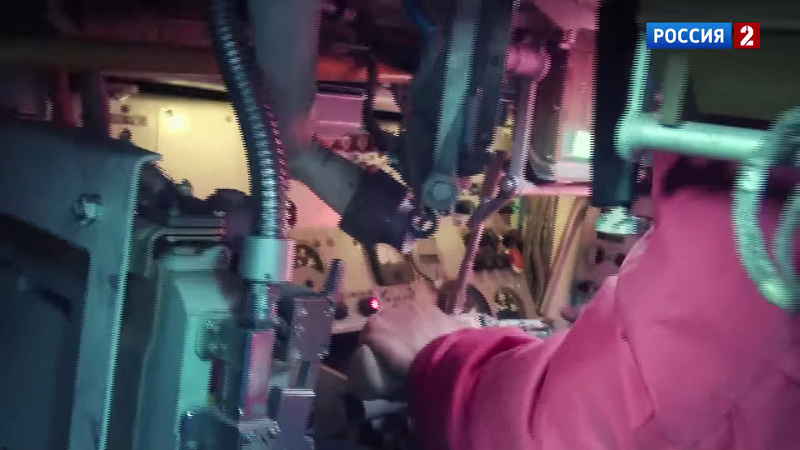 In this video still, we see the driver from the port bow machine gunner's perspective. The bow machine gun's large 2000-round ammo box is clearly visible. The machine guns are mounted in ball mounts and can be elevated by 15 degrees and depressed by 5 degrees. They can be swiveled 5 degrees inwards and 30 degrees outward, horizontally. The bow machine guns have an average maximum practical range of 600m, but much, much less if the vehicle is on the move over rough terrain. As far as bow machine guns go, this is as good as it gets. The TNPZVE01-01 periscope combines the good visibility of a periscope with the higher accuracy of an aiming device. Here, I would like to use the Sherman and T-34 as examples. 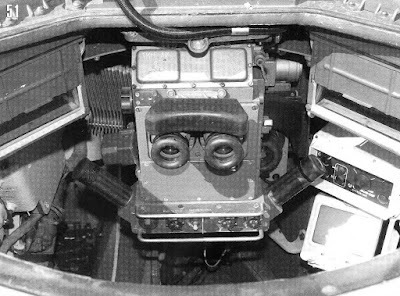 The Sherman's bow machine gunner had an adjustable periscope to see the outside world, but no way to aim his machine gun. What he must do is fire in the general direction of the enemy, and adjust according to the tracers. 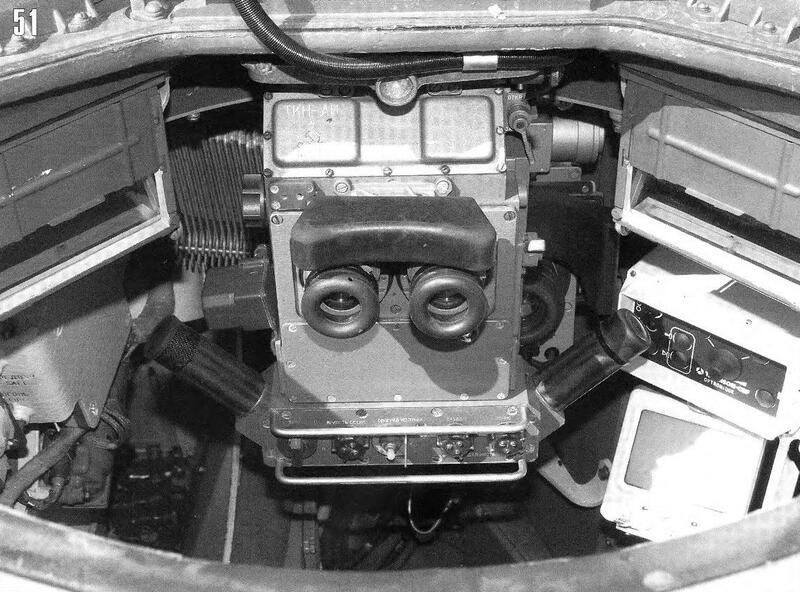 In the T-34, the bow machine gunner has no periscope, but there is a small hole in the bow machine gun turret for him to look through the sights of his DT machine gun. This meant that he had an incredibly bad case of tunnel vision, but if he could see his target, he could make his shots count. The bow machine gunner concept in the BMP-3 takes the best of both and leaves all of the negatives behind. However, this does not mean that having bow machine guns are still viable in this day and age. But if you wanted bow machine guns, this is the way to do it. Interestingly, the driver can remotely fire the two bow machine guns. He has two button-triggers in thumb's reach on the steering bar, but he cannot aim the machine guns. This feature enables the driver to suppress enemy troops in front of him without the assistance of the crew in the fighting compartment, though the bow machine guns are still of questionable value. In fact, this is probably far more practical for self-defence, rather than to have dismounts operating them. Dismounted infantry can give more protection to a vehicle when outside it, rather than inside it. It's more a case of not letting the machine guns go to waste once the bow machine gunners have vacated the vehicle. Aside from the bow machine guns, there are firing ports on either side of the vehicle - two on the port side and one on the starboard side, with a maximum 30 degrees horizontal swivel each. The ports may fit either AKs or PK machine guns, through the installation of adaptors which conform to the barrels to fit them in a universal slot in the ball turret. The occupants are provided with a TNPZVE01-01 periscope-aiming device just like the bow machine gunners. Firing port lid, opened. Notice that the recess is facing forward. There is an aft firing port as well, located on the left rear hatch. A soldier must lie down over the engine deck cover to operate his rifle for this firing port. This firing port does not use a periscope for aiming. The soldier must aim through a transparent window. The firing ports are intended to allow the passengers to suppress or neutralize threats like ATGM teams or scattered infantry while on the move, which will almost certainly be encountered if a breakthrough is achieved. 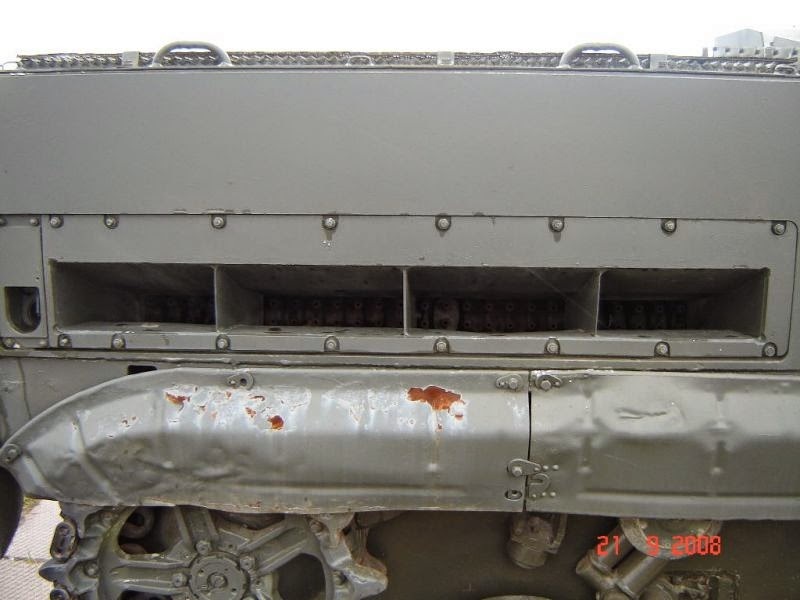 The firing ports also help maximize the BMP's combat potential if the environment outside the vehicle is simply too hazardous, which was a perfectly possible scenario taking into account the commonness of tactical nuclear artillery shells. With the firing ports, the passengers can still contribute to the fight. Regardless, the practicality of firing ports has been called into question in the modern age. Without the serious threat of nuclear war looming over us, it may seem to some that they are no longer necessary. 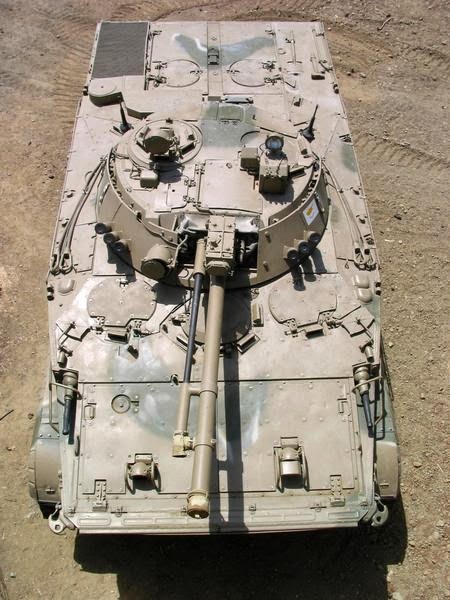 Despite being primarily rooted in offensive tactics, the implementation of the firing ports gives the BMP-3 the critical ability to defend itself from deadly rocket grenade attacks from all directions, even at the rear. This is in contrast to "modern" designs which leave the flanks and rear completely vulnerable to ambushing RPG-wielding agents, leaving the burden of mutual protection to accompanying assets. The firing ports will, without a doubt, prove useful in the hairiest of situations. But then again, the likelyhood of being in a situation where the firing ports become useful are so slim that in many cases, it's not worth compromising the protection scheme. 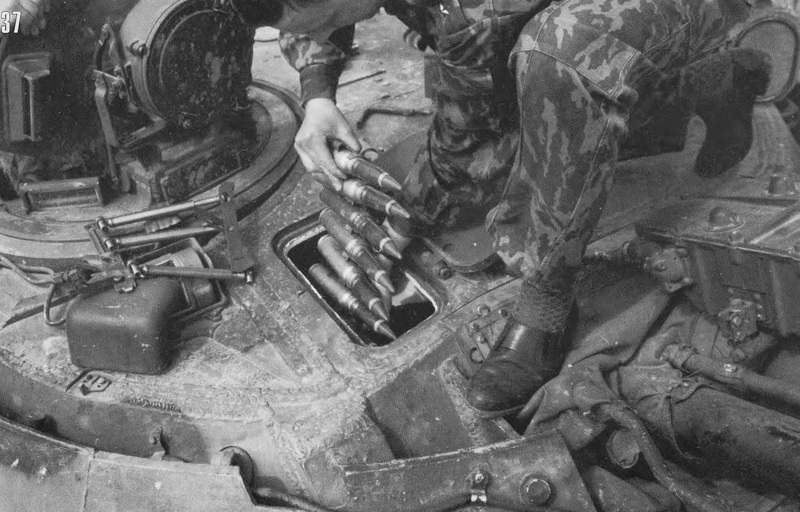 Loading all ammunition in the BMP-3, including 100mm, 30mm, and 7.62mm ammunition, takes an average of 45 minutes with the participation of only the entire 3-man crew. 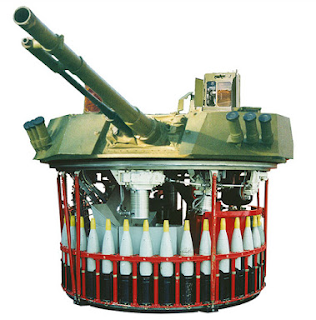 The 100mm ammunition is loaded by reversing the gun loading procedure, the 30mm ammunition is loaded by inserting belts of it into a small hatch at the front of the vehicle, the missiles are secured on storage racks manually, and the co-axial machine gun ammunition is loaded manually in the turret. In the course of the early testing phases of the BMP-3, several components were found to be particularly unreliable, among them were the main weapons. Nevertheless, these issues were solved soon (before March 1988). Of particular interest is the 2A70 gun, which had a failure rate of 1.5 malfunctions per 1000 rounds fired, which was reduced to 1.3, then to 1.12. The 2A72 gun, with a failure rate of 1 failure per 1000 rounds fired, was reduced to 0.62, then to 0.5. The issues were entirely related to the loading mechanisms. The cannons themselves were extremely reliable. During seaworthiness testing of the BMP-3 in 1985 off the coast of Sevastopol, the BMP-3 demonstrated the ability to fire accurately while afloat. With a T-55 (which was pulled out of storage) as a target, the 30mm autocannon, firing HE shells, managed to completely destroy all exterior sighting systems from a distance of 1,500m. 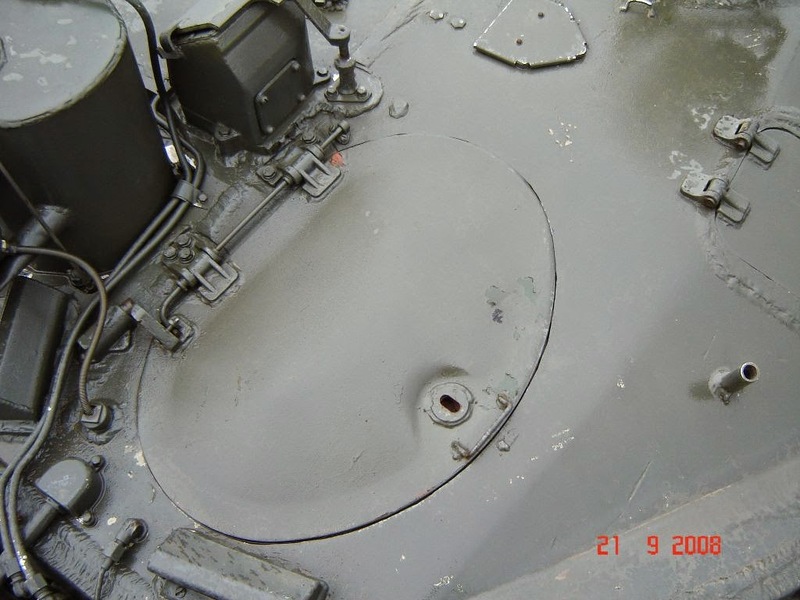 When fired at with the 100mm HE-Frag shells (unknown number of shots), close inspection revealed that the 100mm gun of the T-55 was broken in four places, and the hull front plate had visible external fractures, with cracks appearing in several places. Such a demonstration provides a good justification for the belief that a 100mm HE-Frag round would be absolutely lethal even to most of the late Cold War era IFVs, which have far less protection than a tank. KBP of Tula (the manufacturers of the 2A70 gun and its ammunition) seems to think so too. 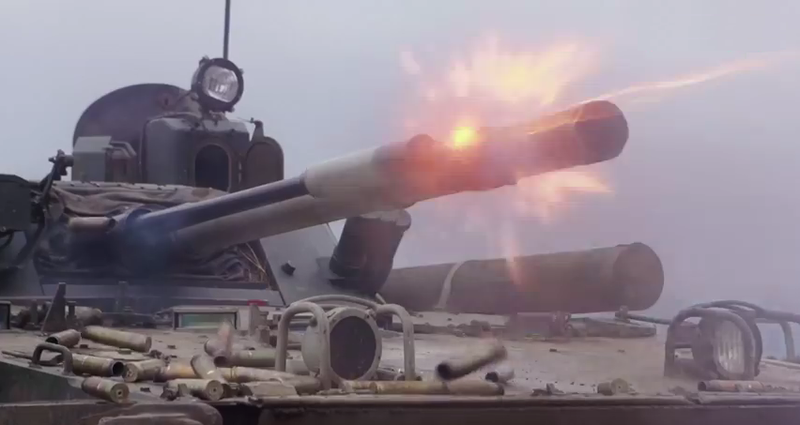 In a promo video showcasing the BMP-3M, they state that the 100mm HE-Frag shell fired from a BMP-3 could destroy a lightly armoured vehicle with great certainty with the first shot, or with an absolute guarantee on the second shot. Live-fire exercises confirmed the high precision characteristics of the BMP-3's armament system with regards to long range area targets. For instance, it was proven that 70% of shells will land in an area of 60x30 meters, simulating an imaginary enemy platoon, from a distance of 3500m. It was revealed in such exercises that the training of BMP-3 gunners did not correspond to the true potential of the armament of the BMP-3. For the full realization of the potential of the IFV during target practice, it was proposed to increase the range at which gunners had to hit targets by an additional 1800m-2500m during 2A70 gun practice, and 1500m-2000m during 2A72 autocannon practice. A new platoon firing exercise was also formulated whereby BMP-3 gunners had to fire at targets from 3000-3500m. The decision to do so was probably taken in the mid 90's. This is a good indication that the potential of the 2K23 armament system is not being ignored. 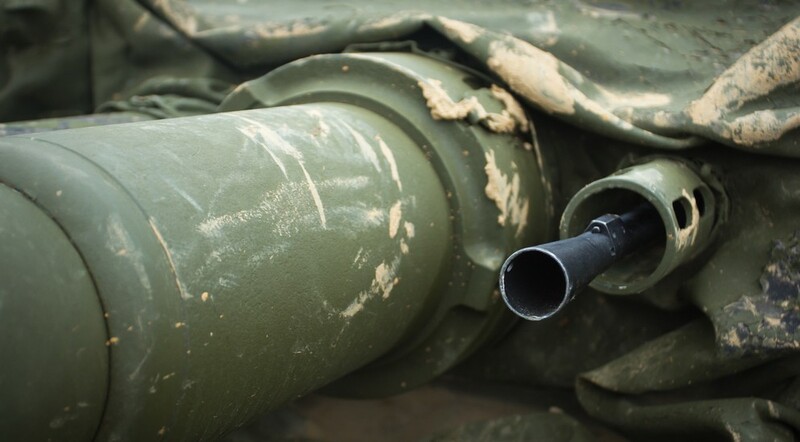 With the ammunition improvement in the form of new 100mm HE-Frag shells with increased range, it is more likely than not that BMP-3 gunners are now thoroughly trained to engage targets at very long distances. In fact, it is probably safe to say that the engagement envelope in which BMP-3 gunners are trained for is larger than that of any other IFV crew in the world. There is some confusion as to the intended purpose of the 100mm gun, as it occupies the same niche that the 30mm autocannon already does, which is the anti-personnel role. This is further evidenced by the fact that the BMP-3 still carries more 30mm HE shells than 30mm APDS shells, despite having much more effective 100mm HE-Frag shells in its inventory. However, it should not be forgotten that 30mm shells have a far higher velocity than the 100mm ones, so they are more suitable for engaging moving targets, and aerial targets. It is worthy to note that the ballistic characteristics of the 100mm shells do not prevent them from being used for anti-aircraft purposes. Its ballistics are fully accounted for by the PPB-2 and 1PZ-10 sights when engaging aerial targets. They are not used thusly in gunnery training, as far as I know, but it is possible. 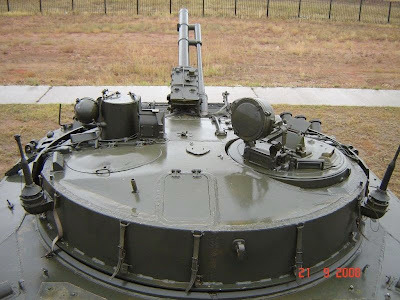 In the end, it is evident that the designers never intended the 30mm autocannon to be used as the BMP-3's primary anti-personnel weapon, as the 2A72 autocannon does not have the option for the same 550 rounds-per-minute rate of fire which the 2A42 autocannon has. The higher rate of fire of the 2A42 allows it to saturate an area target, while the 2A72 cannot do so quite as effectively, relegating that task to the heavy hitting 2A70 gun. The armour of the BMP-3 is arguably the best out of all IFVs in its weight class and perhaps even beyond it. It should be noted that during the selection process for the successor to the BMP-2, the existence of American 25mm APDS ammunition was acknowledged as a crucial factor. 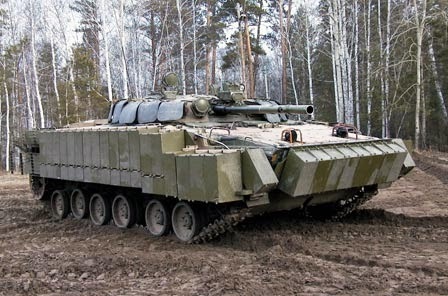 In fact, it directly led to Kurganmashzavod suggesting to base the new IFV on the light tank chassis of Obyekt 685. Overall, the argon-welded aluminium hull of the vehicle provides guaranteed protection from ground-level 155mm shell splinters and small arms fire, which is a definitive trait of nearly all vehicles of the type, but frontally, the BMP-3 is well above the rest. Early BMP-3s are often observed with a smooth hull roof. Later on, bolt-on hard high hardness steel applique armour was attached to the roof to augment protection from overhead artillery splinters and other airburst munitions. 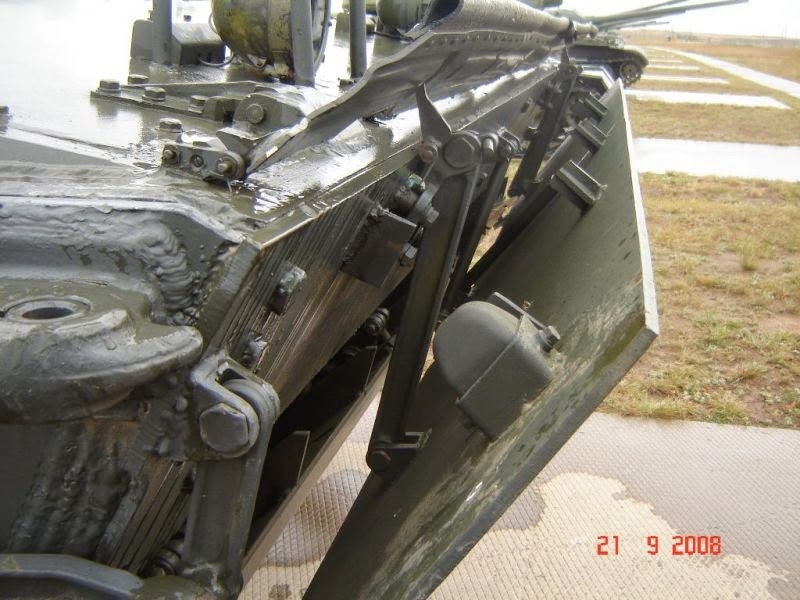 The aluminium used for the BMP-3 is ABT-102 alloy. According to several research papers written on the subject, the effectiveness of aluminium armour may reach up to 50% of steel. 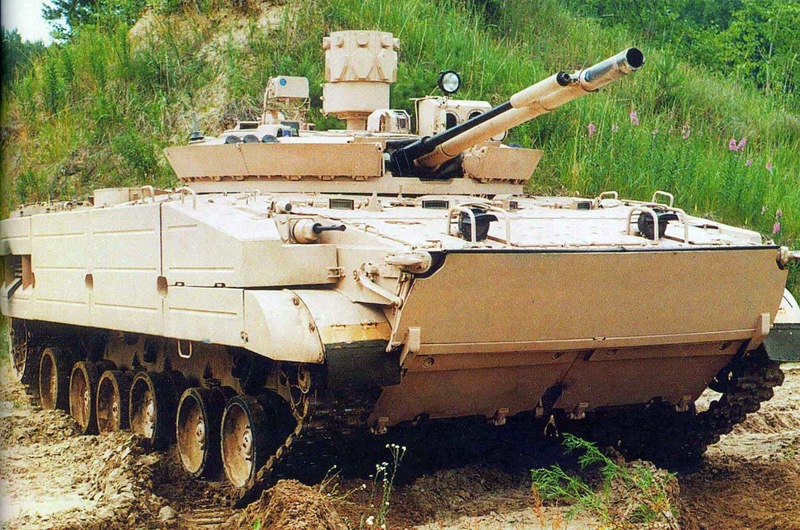 Previously, ABT-101 was used for light IFVs like the BMD-1 and BMD-2. A research paper by NII Stali has indicated that the thickness efficiency of this alloy can reach up to 45% of steel. The improved ABT-102 alloy should have a better thickness efficiency. The steel used in the spaced and applique armour over the front of the vehicle is reportedly BT-70Sh. It is a high hardness steel with a hardness of 534 BHN and a maximum strength of around 1900 to 2000 MPa. 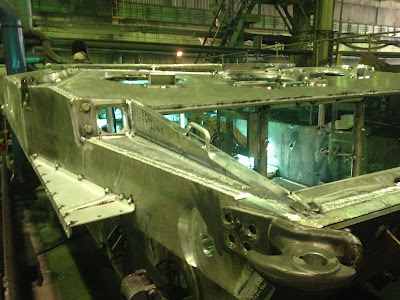 The BMP-3 employs aluminium armour in the hull, augmented with a spaced hard steel wave breaker, backed by a specially designed fuel tank which also acts as armour. The baseline BMP-3 is claimed to have sufficient armour to resist 30mm shells frontally from a distance of 200m. It is assumed that these "30mm shells" are 3UBR6 steel APBC shells, but APDS rounds can be defeated as well, as will be explained later. Overall, the aluminium construction of the BMP-3 gives it 1.7 times better weight-protection efficiency compared to the BMP-2 and BMP-1. The armour thickness values are taken from Andrei Tarasenko's site (link). The lower plate is the same 60mm of aluminium, except that now, it is sloped at a slightly steeper 43 degrees. There is no wave breaker here, but there is a dozer blade made from the same high hardness, high strength BT-70Sh steel. The dozer blade is spaced from the main armour by 70mm. The additional slope gives further protection from ballistic threats by increasing due to the higher effectiveness of sloped spaced armour. A BMP-3 belonging to the 3rd Armor Brigade of the ROK is seen in the photo below with the dozer blade deployed. The upper glacis is 18mm of aluminium, plus 3mm of bolted-on high hardness steel. It is sloped at 80 degrees, which is so steep that everything except long rod projectiles will instantly ricochet off. 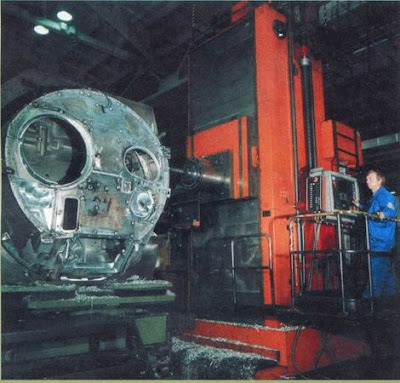 The lower hardness of aluminium compared to hard steel inhibits its ability to effectively deflect heavy metal penetrators, so to do this, it is aided by the hard steel sheets (probably BT-70Sh) bolted to it. The upper glacis should therefore offer the same or better protection as the upper and lower plates, even if it does not have the benefits of having the fuel tank behind it. The turret ring is recessed into the hull and is additionally protected by thick spaced double collars in the frontal 180 degree arc, as shown in the photo above. The first collar surrounds the base of the aluminium turret and the second collar is hidden behind the spaced steel turret shields. As such, the possibility of the turret ring being hit and subsequently being jammed is very small as the combined thickness of the steel shield, collars, and base turret armour is extremely high. The first collar completely surrounds the turret in a 360 degree circle, but the second collar does not. 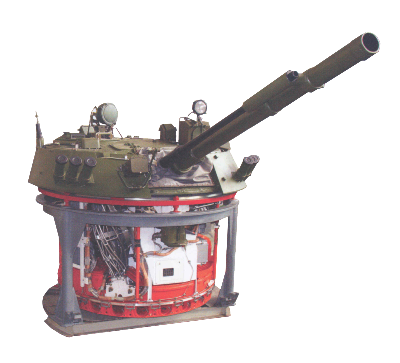 The turret is also fabricated from welded ABT-102 aluminium alloy plates. 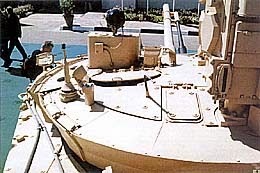 Like the BMP models preceding it, the turret of the BMP-3 is made from two different plates rolled into curved shapes with different angles of slope, and joined to form a circle. The aluminium roof is then welded onto the walls. The steel shield on the turret's frontal arc is made from BT-70Sh steel like the wave breaker, but it is thicker than the wave breaker for extra protection, which is needed due to the lack of a self-sealing fuel tank underneath the armour like on the hull. 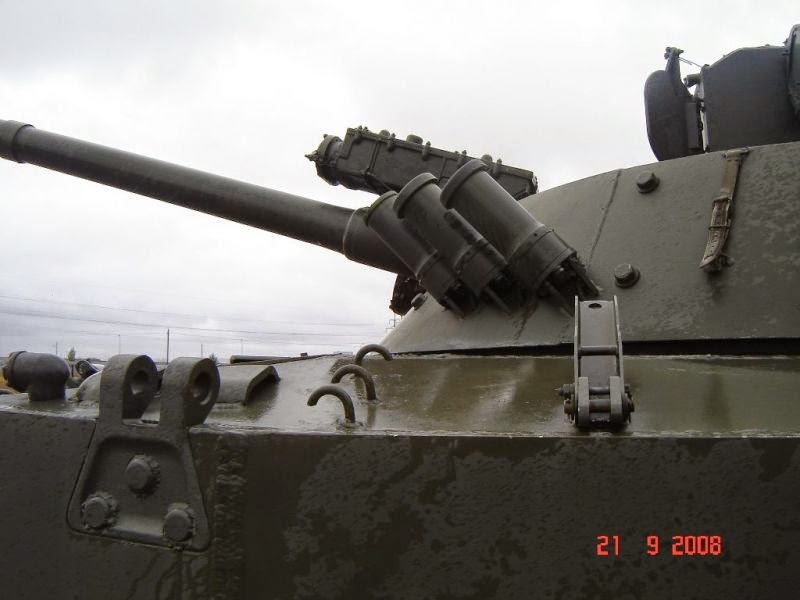 The spaced steel and aluminium combination should effectively render the turret completely invulnerable against 25mm APDS shells, which comes naturally from the spaced plate due to the lack of an armour piercing cap on the 25mm M791, making it vulnerable to fracturing and fragmenting after passing through a high hardness, high strength spaced plate. The photos above show the naked turret, without any steel shields or bolt-on steel sheets on the roof. The photo below shows the steel shields. The base turret has 50mm of aluminium across its front half, stepping down to 43mm across its rear half. The entire front is nominally sloped at 60 degrees. Altogether, the array should be totally proof against 25mm and 30mm APDS, and it should have no real difficulties resisting 25mm APFSDS from shorter distances than 2 km. Like the front hull, a 30mm cannon with APFSDS ammunition is needed to defeat it. As you can see in the photo above, the roof is not flat. The forward half is angled at 3 degrees and the rear half is canted back at 5 degrees. This is to increase room for gun depression and also to allow 100mm shell casings to be ejected rearwards. The rear doors are as thick as the side hull armour, and thicker than the rear sponson armour. The sponsons on either side of the doors hold the accumulator batteries and coolant for the engine. The rear armour for the sponsons are only 13mm thick. The side armour is a uniform 43mm across the entire length of the vehicle. The side armour is able to resist armour piercing 7.62mm machine gun fire at all distances from any angle, 12.7mm B-32 AP rounds at 100 meters or less, or .50 caliber M2 AP rounds at ranges of between 300 meters and above - a very reasonable offer. The bulletin on Tarasenko's website states that the 43mm side armour weighs the same as a 15.6mm plate of BT-70Sh high hardness steel. By weight, this would make the side armour identical to the BMP-2, but ABT-102 aluminium alloy has greater thickness efficiency than steel, so the 43mm side armour plate is actually equivalent to 21mm of BT-70Sh. This is a 25% gain in protection for no gain in weight compared to the side armour of the BMP-2. From a 20-degree side angle relative to the axis of the hull, the side armour should be capable of resisting 25mm APDS rounds owing to the high angle of the side armour and the high LOS thickness (126mm). This means that the BMP-3 does not have very much maneuvering freedom if engaged by an autocannon since only 40 degrees of its frontal arc is immune, and only at extended distances. The rear of the turret is as thick as the sides of the hull, but it gains a great deal of additional protection from its curvature. The use of very thick aluminium plates (60mm to 43mm) increases the rigidity of the hull as plates of such a high thickness are suitable for structural support, but the large weight of the turret necessitated the use of struts. These struts can be seen in the two photos below. The same is true for the belly of the hull. 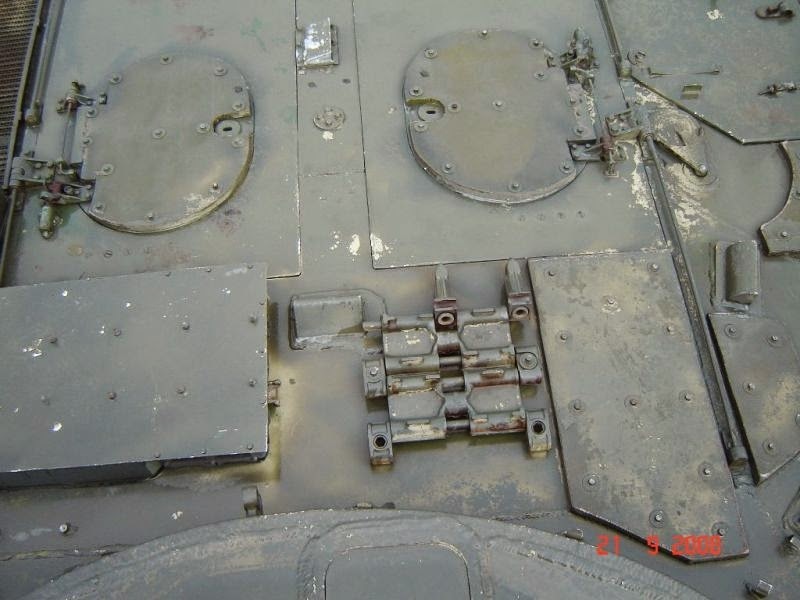 Although it is thicker than the steel belly of the BMP-1 and BMP-2, the AMG-6 aluminium plating is softer than steel, so lateral ribs had to be welded onto the belly plate to provide structural support, and the plate itself was corrugated as you can see in the photo below. You can also see the many struts welded around the turret ring to support the weight of the turret. As mentioned before, the wave breaker is made of BT-70Sh high strength steel. Exhaustive armour research has asserted that hard steel works best as applique or spaced armour with softer armour underneath. Such a configuration is known as spaced DHS (Dual Hardness Steel) armour, though in this case, the underlying layer is not a softer steel but aluminium, which is not optimal, but works acceptably. DHS armour is also present in designs such as the uparmoured turret of the Leopard 1 tank. The wave breaker and aluminium hull armour combo is more than enough to completely stop 25mm APDS. 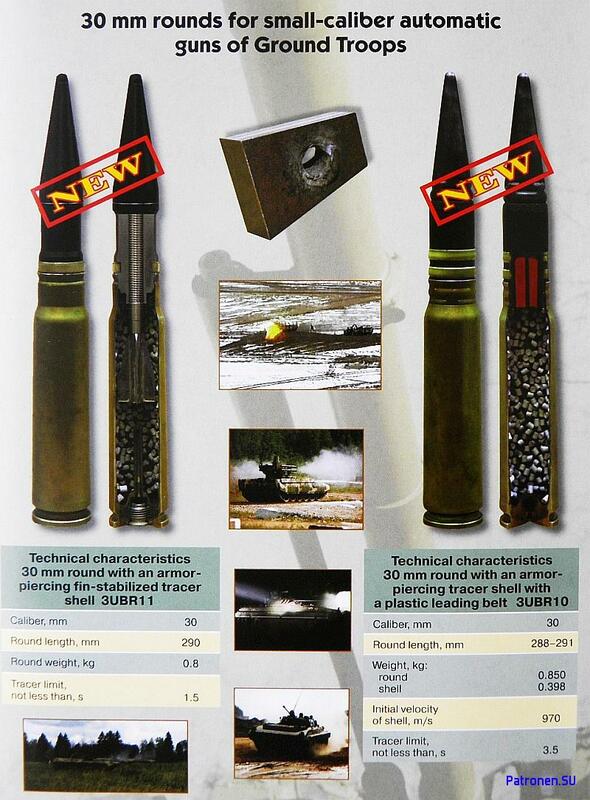 As explained before in the section on the 3BR8, M791 APDS has an uncapped tungsten alloy penetrator. Without an armour piercing cap, the penetrator will shatter against the wave breaker, leaving either large fragments or a penetrator of reduced mass and irregular (non-optimum) tip to pass through and impact the main armour, which, in this case, is a 12mm bolt-on hard steel plate. A 30mm APBR shell like the 3BR6 will probably be shattered by the wave breaker and catastrophically fail on the hard steel plate of the main armour, while the tungsten alloy penetrator of an APDS round may still create a dent. However, it won't be enough to outright stop 25mm APFSDS or similar ammunition of higher calibers - that task is deferred to the fuel tank underneath the hull armour. But what proof is there for such claims? See here for penetration capabilities of the relatively new M935A2 25mm APFSDS, developed by MECAR: Link. The tungsten alloy penetrator of the M935A2 has a V50 rating of >30mm RHA at 60 degrees at 2 km. This means that at 2 km, shells will have a 50% chance of achieving full penetration against a 30mm RHA plate sloped at 60 degrees. Long rod penetrators are more effective against sloped plate than against unsloped plate, which means that the penetrator should be able to penetrate slightly less than the LOS thickness of 30mm at 60 degrees at the same distance, if the plate were less sloped. This means that at 2 km, the V50 rating should be slightly less than <60mm RHA. The depleted uranium M919 APFSDS, standard for modern M2A2 and M2A3 Bradley IFVs, is widely stated to have a penetration of 75mm RHA at 0 degrees at 1 km, 40mm RHA at 60 degrees at 1km and about 31mm RHA at 60 degrees at 2 km. It is clear, then, that at distances of 2 km and above, a 25mm cannon is simply insufficient for the upper plate, which is why the Strykers deployed in Europe have new 30mm cannons. 25mm APFSDS still can defeat the hull armour at distances of below 2 km, but only by a small margin, and after it passes through the front armour, it must still contend with the self-sealing fuel tank. Therefore, we can assume with a great deal of confidence that the frontal hull is immune to 25mm APFSDS from out to at least 1 km. Interestingly, the front hull protection may be increased further by simply extending the wave breaker, creating even more spaced distance. The wave breaker is extended 480mm away and slightly raised when activated. The main disadvantage of leaving the wave breaker extended when not swimming is the increased overhang of the hull and the slightly reduced driver visibility. The addition of the hard steel spaced panel is most probably intended to immunize the sides against .50 caliber SLAP ammunition. .50 caliber SLAP has very high nominal penetration, but it is not very sophisticated. It is merely a tungsten carbide slug driven at high velocity. It does not have an armour piercing cap or any other buffers. This makes it very easy to defeat by spaced armour, as the strong but brittle tungsten carbide slug will shatter against the spaced plate, leaving only fragments to harmlessly impact the main armour. 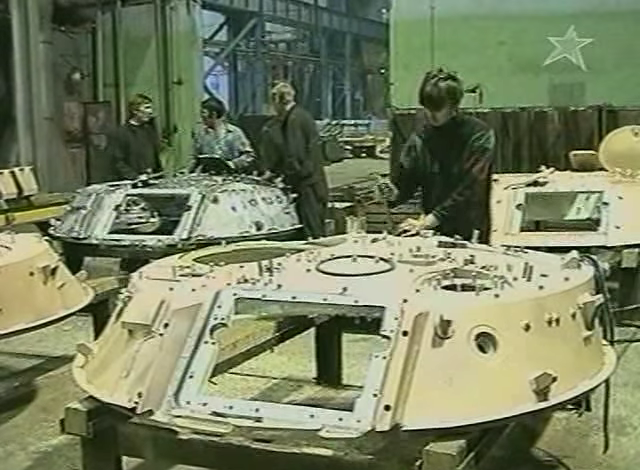 New production BMP-3s will probably have this armour installed as standard. Thanks to the high buoyancy characteristics of the BMP-3, the additional weight had only a negligible effect on its swimming abilities. It is still able to travel at around 10 km/h in the water, and the vehicle's top speed remains unchanged to boot, though the change in weight should be somewhat noticeable for the driver. All BMP-3s will be retrofitted with the new armour as part of a low-cost modernization program to maintain fighting capabilities while waiting for sufficient numbers of new generation IFVs to accumulate. It's worth noting that the slat armour and thin spaced steel panel combination isn't particularly high-tech, and that the BMP-3 could have been given them as an ad-hoc modification by technicians in the field anyway. The fuel tank located immediately behind the frontal hull armour is one of the main attractions. It gives the BMP-3 the ability to resist larger autocannon rounds even if the armour plating is perforated. Spalling from the frontal hull armour also becomes a non-issue to the crew. Most importantly, these benefits comes at no penalty to the overall weight of the vehicle, making the BMP-3 one of the best protected vehicles of its class. Thanks to the self-sealing nature of the fuel tank, fuel leakage is minimized. The picture above also shows us the hinges for the glacis, which can be swung open to expose the fuel tanks underneath it. More interesting, however, is that the picture shows us how thick the frontal plate and fuel cell is. We have an excellent view of the placement of bolt-on steel overlays. It is also interesting to see how large the fuel tank is, which is also apparent in the photo below. The fuel tank cap is at the top left corner of the glacis. The fuel tank is slightly angled from the driver's perspective. This is to allow the steering column, pedals and instrument panels to be fitted properly. The fuel tank is foam-filled and can store 700 liters of diesel, and is completely self-sealing. The placement of the fuel tanks to the front means that hydrodynamic effects due to the fuel stores will dissipate the energy of cumulative jets from shaped charge warheads as well as defeat kinetic penetrators. As such, even if the main armour is compromised, the penetrating element may not enter the interior compartments. Such configuration allows the frontal armour of the BMP-3 to far exceed that of 25-ton+ foreign counterparts while weighing only 18.7 tons itself (not including 567kg of fuel). An additional note is that the main armour has no anti-radiation liner, but the rear backing of the fuel tank does, and the backing is not partitioned from the driver. The driver would see the fuel tank if he peers behind his instrument panels. This is a good indication that the designers intended the fuel tank to be used specifically as additional armour, if further proof is required at all. Since the Soviet campaign in Afghanistan, designers have been increasingly sensitive to mine protection issues, especially in light of the poor performance of BMP-1 and BMP-2 when faced with IEDs. 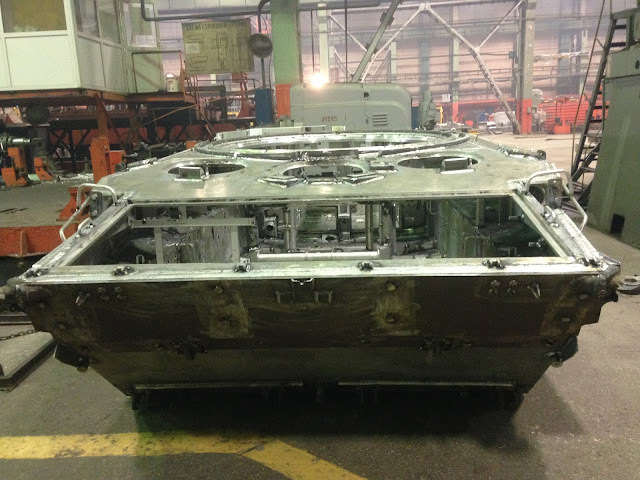 To protect the driver and the two bow machine gunners from mines, the front section of the BMP-3's hull has a double bottom. 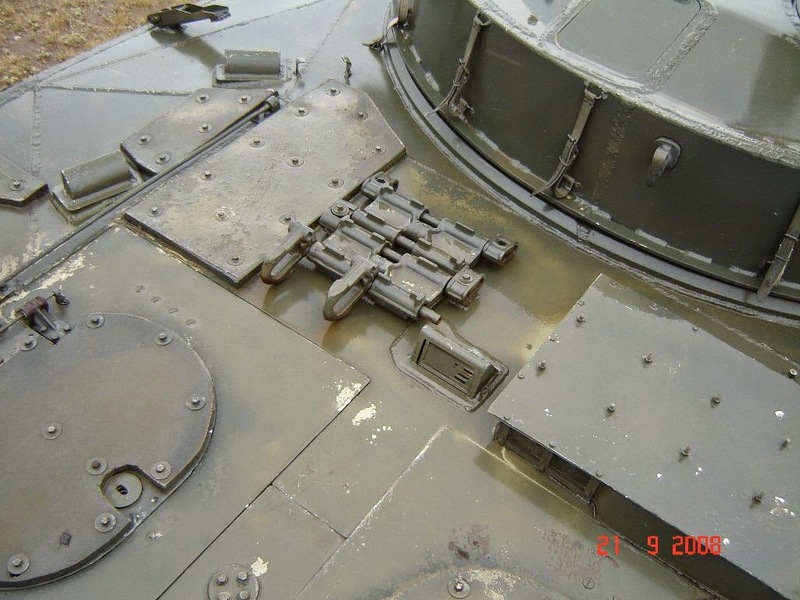 However, it is not likely that this double bottom can fully protect the driver and bow machine gunners from anti-tank mines with explosive charges exceeding a few kilograms. The rest of the hull is a single 10mm layer of AGM-6 aluminium, as noted before. This is not enough for anything more serious than a regular fragmentation grenade or an anti-personnel mine. It might survive if a light track-breaker mine detonated underneath the tracks, but not a tilt-rod mine. According to the excellent afv database website hosted by Chris Conners, the M113 has 28.6 mm of hull belly armour. The BMP-3 has better hull belly armour than this, but only in the front section. All the seats - both for the crew and passengers - are not directly attached to the floor. The seats for the crew in the turret are suspended from the turret. One notable exception is the driver's seat, which is still mounted to the floor. This is somewhat countered by the inclusion of integrated shock absorbers and layered foam padding. The passenger seats are mounted to the sides of the hull or to the engine compartment bulkhead. This was done in an effort to improve the survival rate of the occupants in the event that the vehicle runs over an anti-tank mine or an IED. However, these measures had only mild success, as experience in Chechnya showed. IEDs that were rigged to defeat the belly armour of tanks would also be heavy enough to blast through the belly armour of the BMP-3. The first combat deployment of the BMP-3 was on the 1st and 2nd of January 1995 in Grozy, on the assault for the Grozny hospital complex. On a column heading for said hospital complex and around the complex itself, a total of 11 BMP-3s were destroyed (ammo detonated) by mines, buried explosive caches and mortar fire. Those same mines also knocked out several tanks. The total figure in the first six months of fighting is quite likely in the range of 20 to 30 vehicles, on the basis of the fact that the vast majority of the 163 destroyed IFVs were undoubtedly BMP-1/2s and BMD-1/2s. Generally, most BMP-3s were destroyed either by mines or by RPG fire. Against such threats, the BMP-3 has no advantages over its predecessors. The BMP-3 did experience somewhat higher survival rates thanks to the placement of the fuel tank. 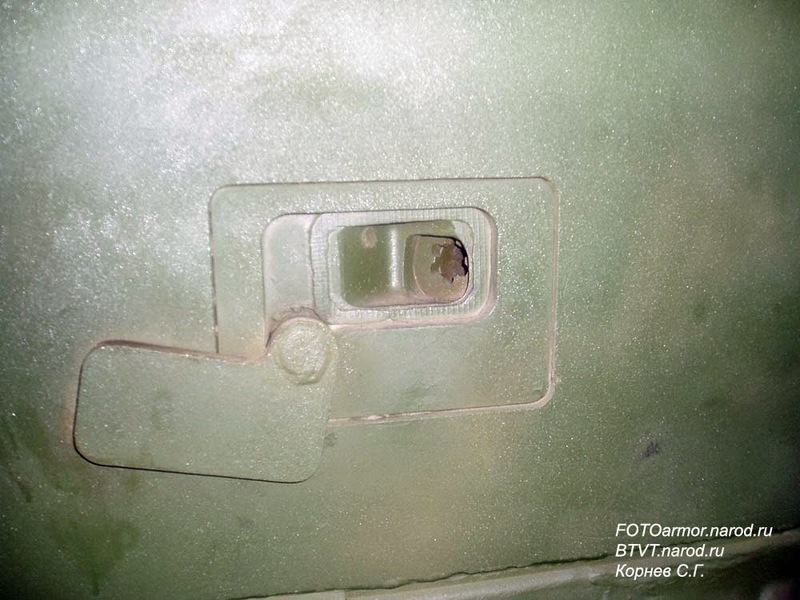 Even if the armour was perforated by an RPG, it could not set fire to the vehicle, which meant that ammunition could not be detonated without a direct hit to the ammunition, unlike the BMP-1 and BMP-2. 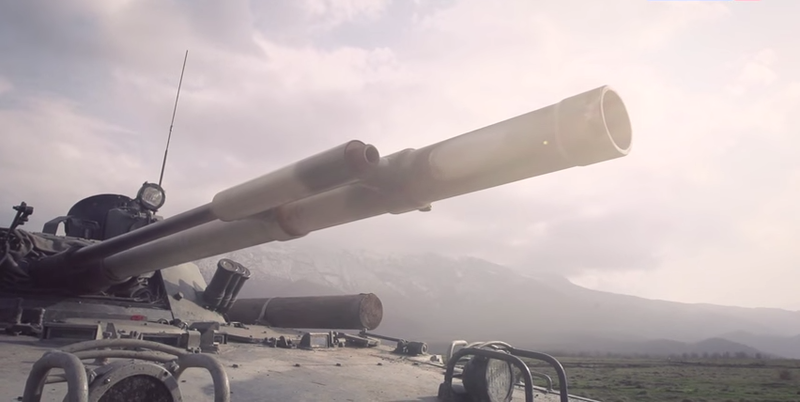 Chechnya proves that the BMP-3 is as backwards as all Soviet era equipment when it comes to asymmetrical warfare. Large mines and IEDs are the largest threat, a threat which the BMP-3 is not designed to handle. The BMP-3 was designed for a European conflict, and if such a conflict were to ignite, it would have been unbeatable, but alas, those days are over. There is a composite armour enhancement kit available for the BMP-3, which is mounted over the upper sides of the hull. The degree of protection offered by the kit is unknown, but it should boost the effectiveness of the side profile from 25mm APDS shells at closer ranges. The kit compensates for its own weight by including air pockets in the design, acting both as spacing and as floatation aids. The amphibious qualities of the vehicle are therefore completely unaffected. Notice the three holes in the armour. Those are not firing ports. Rather, they are just footholds The kit prevents the firing ports from being used. This kit has been seen in use by UAE BMP-3s, and Russian forces are fielding these in increasing numbers. 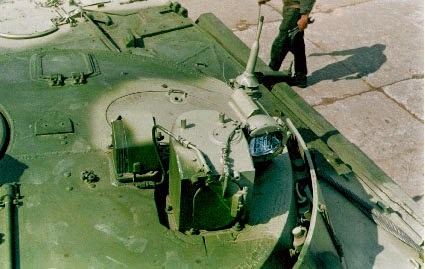 The Bakhcha-U turret was originally intended to be equipped on the BMD-3, but has become an option for the BMP-3 as well. The new turret complex includes a new vertical-storage conveyor, new autoloader, and a new sighting system. The new turret is claimed to have superior armour protection, though its exact qualities are unknown. It is composed of a thin sheet steel placed over the main aluminium armour, the thickness of which is unknown. It is at least able to reliably resist .50 Cal SLAP ammunition to the frontal arc, if not more. 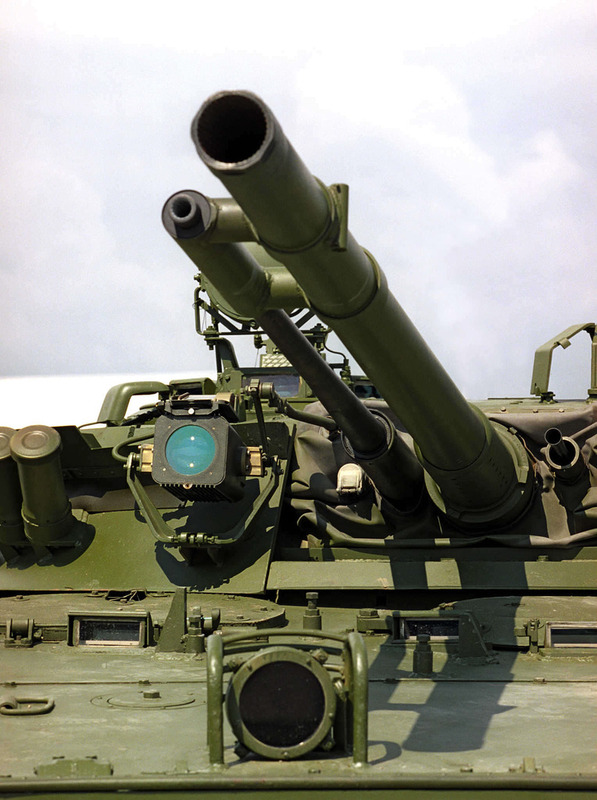 The Bakhcha-U turret also includes a new dual-channel gunner's sight and a new commander's panoramic thermal imaging device. The gunner's new FLIR sight can acquire targets at day or night at ranges of up to 4000m. The automatic target tracking system is sophisticated enough to automatically engage low-flying aircraft without gunner input save for the need for him to press the trigger. The new 2A70 autoloader carries 34 HE-Frag rounds stored vertically in a carousel. To load, the gun is automatically elevated beforehand, due to a revised ramming system whereby the round is tilted slightly and rammed upwards up a guide channel into the breech. A total of 500 rounds of autocannon ammunition is carried in steel bins, like with the original turret; 255 rounds of armour-piercing-type ammunition, including AP-T, APDS-T or APFSDS-T. 245 rounds of high-explosive ammunition is carried. The new autoloader stores 4 ATGMs in a vertical rack behind the commander. To load, a mechanical arm places a missile onto the independent ammunition carousel, which spins a short distance to line up the missile with the cannon breech, whereby it is rammed in. Like with normal HE-Frag shells, the gun must be elevated to load. The amount of time per loading cycle is not known. Although KBP released a promotional video showing the process, the autoloader was deliberately paused multiple times for the demonstration. Without the pauses, it takes just over 3 seconds to load each missile. The BMP-3 with Bakhcha-U turret passed all tests in 1999. It is not and will never be used with the BMP-3. 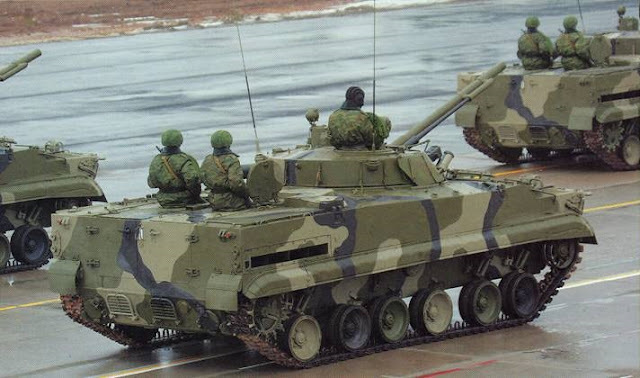 There are at least two known ERA kits available for the BMP-3, which were developed as a direct response to the vehicle's vulnerability to RPGs in Chechnya. This is one of three ERA configurations developed for the BMP-3. It was first displayed in early 2001 in Omsk. It employs ERA boxes utilizing 4S20 explosive elements, which are able to protect the host vehicle from rocket strikes of the single-charge warhead variety. 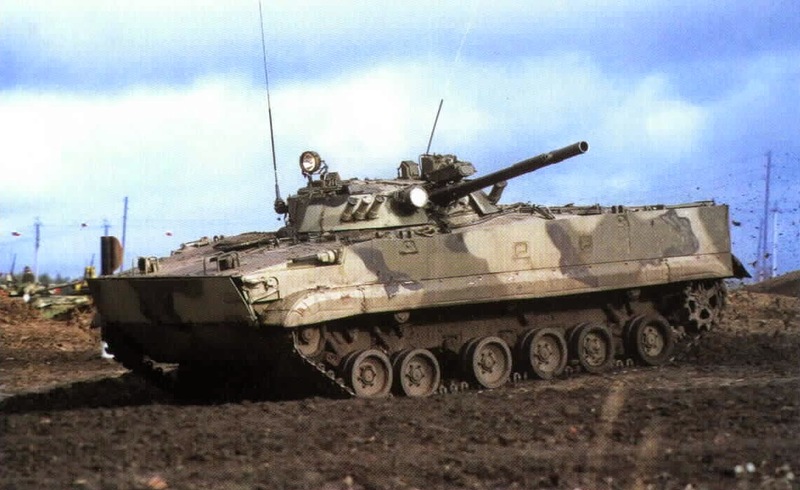 This ERA-protected BMP-3 was developed during the First Chechen conflict where the vehicle proved vulnerable to not only HEAT warhead but also to heavy-caliber machine gun fire to the sides. This ERA package ensures greatly increased protection from single-charge warheads on all sides except the immediate rear, although it cannot by any means provide absolute protection from these shaped-charges. Interestingly, the ERA-equipped BMP-3 formed the basis for later upgrades. For instance, the bolt-on armour overlays were in fact first introduced as part of the "improved protection kit" which included the ERA package. 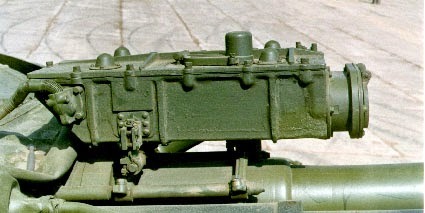 The overlays then crossed over and became a standard feature of all BMP-3s. Other features were never implemented, however, such as the beefed-up road wheels (necessary for supporting the increased weight) and applique steel side armour screens, which were necessary for supporting the ERA blocks and consisted of seven sections on each side of the hull. The boxes are completely resistant to both armour piercing and incendiary of the 7.62mm and 12.7 calibres and are also unaffected by burning napalm. The steel side screens also acted as applique armour and granted the side aspect complete immunity from 12.7mm AP and SLAP fire. They will be completely destroyed if struck and activated by a shaped charge warhead. 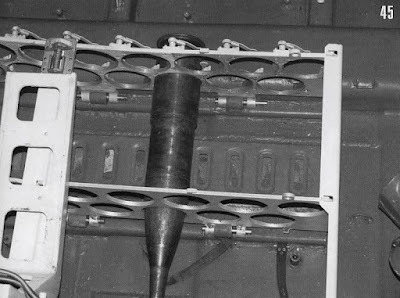 In this photo, you can see the turret armour ERA boxes' vulcanized rubber flaps lifted up. The rubber flaps are intended to detonate warheads ahead of the ERA, further increasing their potency. 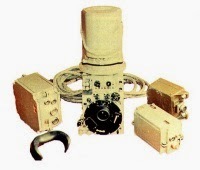 50 sets of these ERA box-sets were procured by the UAE for testing and evaluation. No details on further acquisition have been reported. Recent videos of UAE operations in Yemen with BMP-3s show that they are not outfitted with ERA. Each box weighs just 1.37kg, and the explosive charges contained within weigh a total of 0.28kg. There have been concerns that the thin walls of the boxes and the relatively large explosive charge will cause collateral damage to nearby personnel. The concussive effects (more than double of that of an RGD-5 grenade) can cause blast-related injuries to not only dismounted infantry, but also to soldiers within the vehicle. But then again, if an RPG is detonated outside the vehicle, this hardly matters anyway. The introduction of the newer 4S24 package have made the 4S20 package completely obsolete. It is not supplied to any Russian army units. The new ERA kit is very much similar to the earlier 4S20 kit, but is vastly superior in all areas. The only way the 4S22 kit distinguishes itself is by the bevel on the top edge of the side boxes. The boxes are completely resistant to armour piercing and incendiary bullets of the 7.62mm, 12.7mm and 14.5mm calibers, and are also immune to a napalm attack, like its predecessor. More specifically, the boxes can resist 14.5mm B-32 armour-piercing bullets from a distance of 50m, and resist all armour piercing bullets of calibres smaller than that, from any distance. Kaktus can reliable protect (at least 0.95 reliability rate) the vehicle from RPG attacks with PG-7V, PG-7VL, PG-9V and PG-9S warheads, and Kaktus is also anti-tandem warhead. Video evidence has shown that it is capable of defeating the PG-29V warhead from an RPG-29. The boxes also provide double purpose protection against autocannon shells. The boxes can absolutely protect the underlying armour from 23mm APDS shells from a distance of 550m, and 30mm AP shells at an angle of 60 degrees (from the perpendicular) from point-blank range. Each box weighs 1.36kg, and the explosive charges contained within weigh only 0.14kg - much smaller than its predecessor's. This is indicative of its new approach on defeating shaped charges, which seems to involve more advanced materials, arranged in a new, more efficient configuration. The total mass of the package is 4150kg. Despite the gain in weight, the BMP-3 is still completely amphibious. This is thanks to the large air spaces within the ERA boxes, which become flotation aids and balance out their own weight. There is not much information about the distribution of ERA kits for the BMP-3, but it is assumed that at least a small number is available for Army groups in more dangerous regions. The Southern military district, for example. There is another ERA kit variant with an unknown designation and unknown composition. It does not seem to be listed in NII Stali's catalogues, which gives some plausibility to the theory that the kit was developed by the UAE. Note that the kit does not cover up the passengers' firing ports. 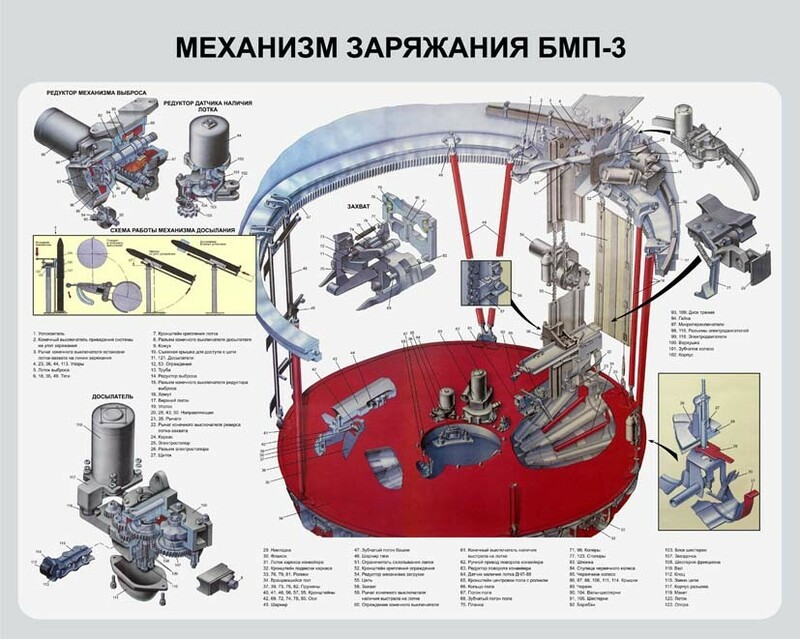 The Arena-E hard-kill defence system may be installed on the BMP-3. There are no reports of any BMP-3s in service in this configuration. The most likely reason is that the Arena can cost up to one-third of the BMP-3's price. Arena can intercept anything in a collision course with its host vehicle that is traveling at anywhere between 70m/s to 700m/s. Its reaction time is no more than 0.05 seconds and no less than 0.03 seconds. Its integrated computer can differentiate between rocket grenades with trajectories that will result in an imminent miss with actual threats. Tracking begins as the target flies within 50m of the vehicle. 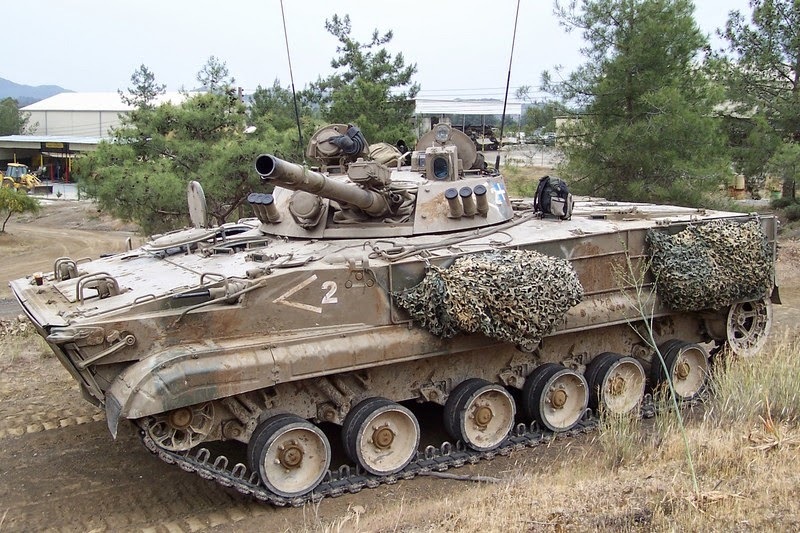 Arena only protects the vehicle from grenades and missiles coming from within 15 degrees of elevation and 5 degrees of depression relative to the vehicle, so Arena cannot protect the BMP-3 from diving top-attack weapons nor rocket attacks from above. It can, however, protect from non-diving top attack weapons like the TOW 2B or the BILL-2. Arena only protects within a frontal arc of 110 degrees relative to the orientation of the turret, so it cannot protect the vehicle from the rear. The radar mast has 6 individual arrays that can function independently, but coordinate and share data to provide a seamless picture for the ballistic computer. One of the more obvious drawbacks is the highly exposed multi-faceted radar mast. Although it is modestly protected from fragmentation and shell splinters, it is very vulnerable to machine gun fire and large caliber snipers. Disabling this radar will prove costly for the operator, while the BMP-3 itself then becomes as vulnerable as before. Statistically speaking, mounting Arena may be very costly in the long run. The entire Arena complex weighs 900kg. We should note that armour is not the only protective element of an armoured fighting vehicle, and that concealment plays a critical role. The BMP-3 is also provided with six 81mm 3D17 "Tucha" smoke launchers armed exclusively with 3D, the smoke from which can conceal the vehicle in the visual and IR ranges. The grenades are fired ahead of the vehicle, where ever the turret is pointing. The bloom time for these grenades is 3 seconds, with an average lingering time of 20 seconds, but it may be shorter or longer, depending on environmental conditions such as heat, wind, humidity, altitude, and the like. These launchers may be integrated into the Shtora-1 protection system, which links the launchers to laser detectors. When the vehicle is painted with a laser, smoke grenades will be launched immediately. Bank of three smoke grenades, three on each side of the turret. 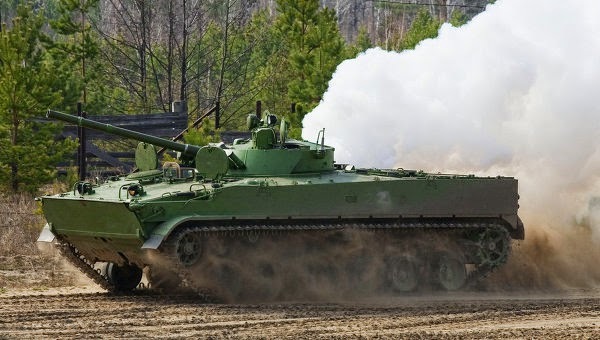 Alternatively, the BMP-3 can produce its own smokescreen, just like most of the Soviet armoured vehicles preceding it. This is done by injecting a fine mist of diesel fuel into the exhaust manifold, or make use of its smoke grenade mortars. 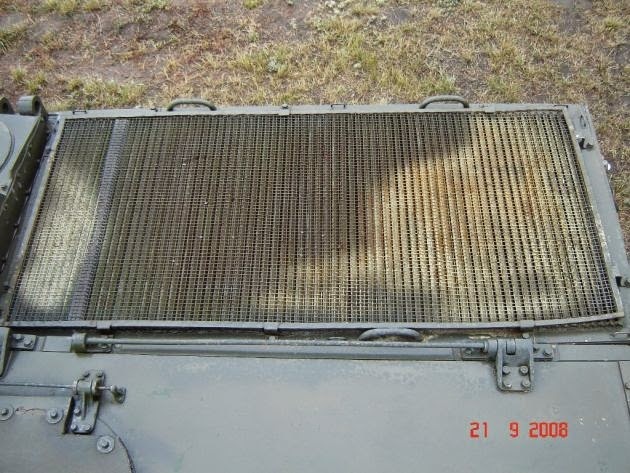 The former option is an an ingenious, inexpensive, extremely useful and near-inexhaustible source of anti-IR smoke cover - A little-known fact is that the smoke generated from this method is at the same temperature as the exhaust, thereby completely masking the tank's thermal signature. The only shortcoming of this system is the time taken to envelop the tank. A large number of battlefield maneuvers revolve around the use of this method of smoke generation for concealment. The BMP-3 has an NBC protection suite, which hermetically seals the entire vehicle, and supplies clean air to the occupants. All interior surfaces are lined with borated polyethylene, whose function is to absorb neutrons and gamma radiation. It also works quite well as a spall liner. The nuclear protection system incorporates the GO-27 radiation sensor, which detects harmful particles and immediately seals the vehicle to prevent the ingress of contaminants or radioactive particles, but certain ports must be closed manually. For example - the bow machine gun seals. The NBC system generates a slight overpressure. The occupants are supplied with fresh air, which may be heated by the system. The ventilation system is fully filtered and includes an intake blower with a simple metal grid in the first stage, the SFT-200 cassette-type pre-filter for the second stage, and the FTS-200K filter-absorber for the third stage, ensuring that air distribution is constant and radioactive-dust-free. 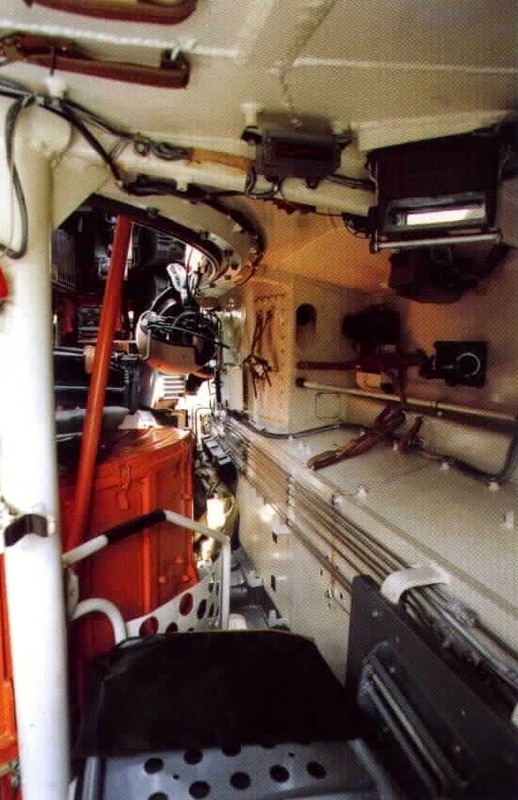 The BMP-3 uses the advanced Iney automated fire detection and extinguishing system with coverage in the engine compartment and the crew compartment. The engine compartment detection system is composed of four TD-1 temperature sensors, the relay/control box KR 40-2S, and two 1-liter fire extinguishers employing 114B-2 halocarbon extinguishing agents. Manual activation by the driver or the passengers is possible. 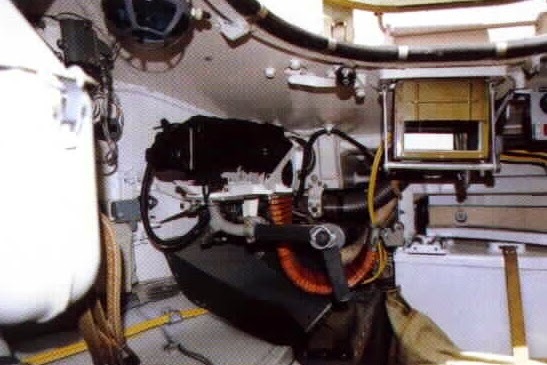 The crew compartment system is composed of eight IR optical sensors and two 2-liter fire extinguishers, which have integrated pressure sensors and nozzles that limit the speed of spraying to not more than 150m/s (for safety reasons). The activating force for these extinguishers are provided by single-use pyrotechnic charges. The sensors will react to a flame of 0.45m x 0.45m in size at 1.5m distance. This system is automatic with manual activation provided, and is activated instantly when someone steps into the vehicle (via pressure sensors on rocker panels integrated into the hull floor). 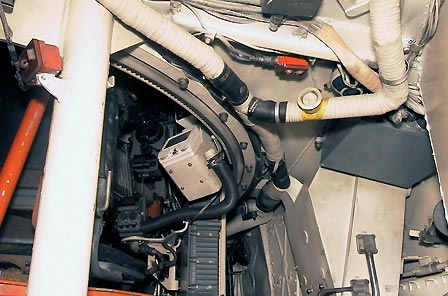 Two OU-2 hand-held fire extinguishers are located in the front left section for easy access by the bow gunners and driver, and two OP-2A fire extinguishers are located in the starboard side of the passenger's section. 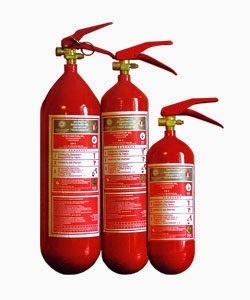 The OP-2A fire extinguishers are intended for retarding various substances, including napalm. The smaller one is OU-2. The ergonomic qualities of the BMP-3 are far superior to its predecessors, and even quite favourable to some foreign designs in seating comfort and cargo capacity. 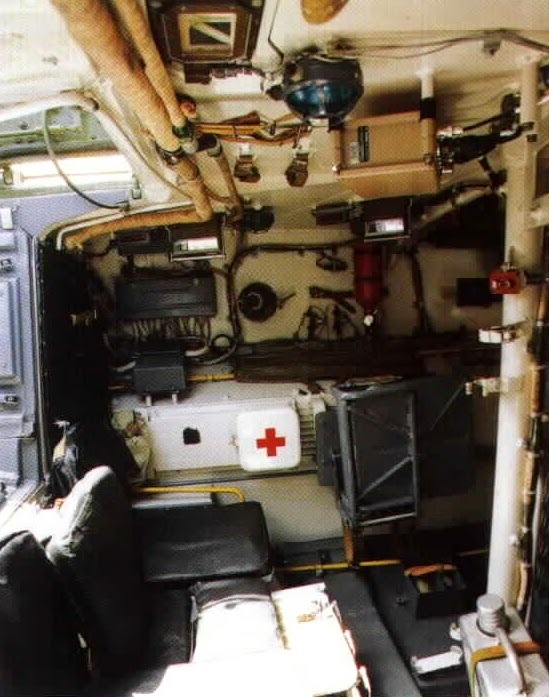 The seating arrangement is similar to the BMD-1, but greatly expanded and far more spacious. The unusual layout of the vehicle is extremely efficient in its use of space, allowing up to 7 seated dismounts and an additional 2 passengers if the dismounts are not wearing much gear. In the diagram below, you can see the seating configuration. There are five seats in a row just in front of the engine compartment, facing forward, and two seats beside the turret, facing forward as well. Normally, however, three dismounts sit at the row of five seats. The other two are usually folded down and used as a step when exiting through the rear. 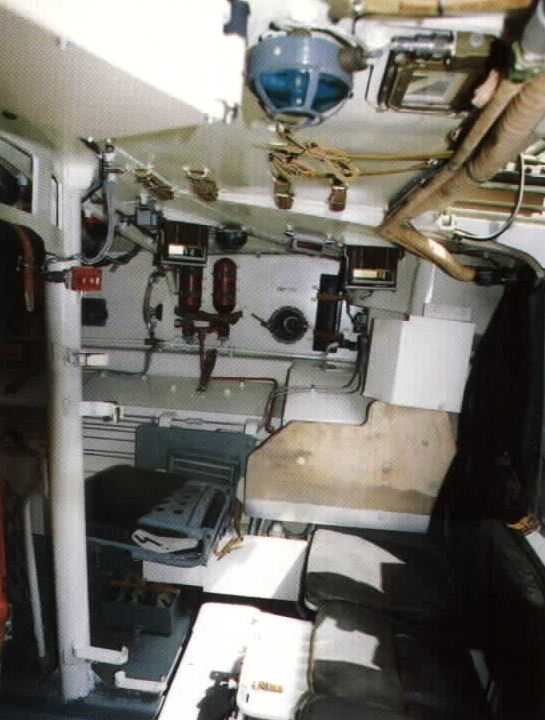 The internal space for each dismount is 1 square meter in this configuration - double that of the BMP-2, which was infamously cramped. The two bow machine gunners are considered passengers as well. The normal capacity of 7 passengers is the size of a normal motorized infantry squad. 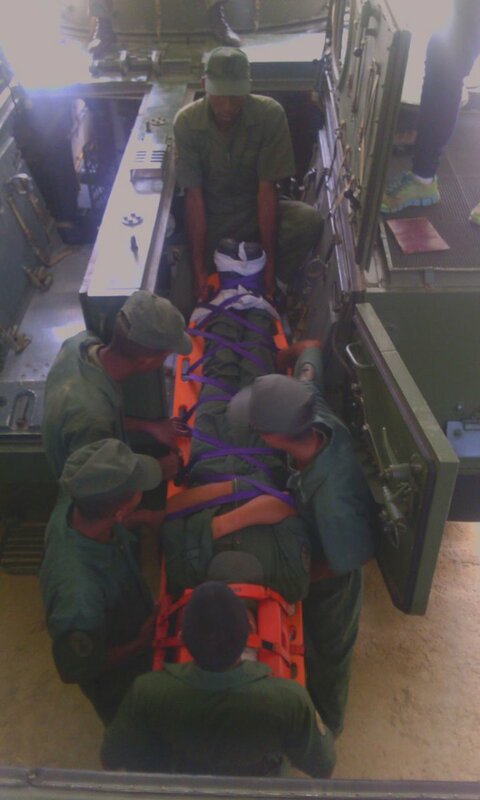 Despite the unorthodox layout hampering the traditional method of transporting wounded infantry on stretchers, the BMP-3 can still do so. 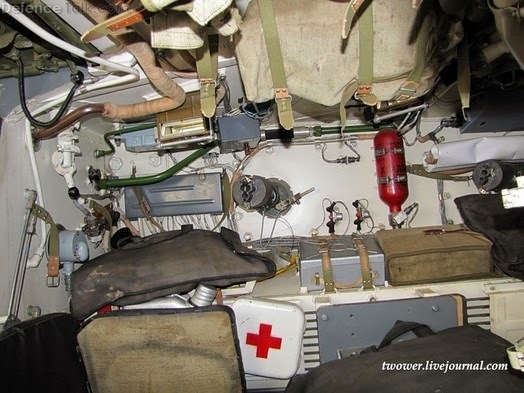 Instead of lying in the middle of the passenger compartment like with the Bradley or CV90 or any other conventional IFV, a stretcher-bound person would instead lie down over the engine deck. If the passenger compartment is in use, then one stretcher can be accommodated this way, as the stretcher would prevent passengers from dismounting. Otherwise, it is possible to transport two people on stretchers. If the vehicle is being used to transport injured soldiers from the frontline to an established checkpoint behind friendly lines, then there is no issue with transporting a full load of passengers in the passenger compartment plus two stretchers on the engine deck. Needless to say, the engine deck was not the most comfortable place to be, but this meant that a lot of people could be ferried per run. When exiting the vehicle, the two extra seats are folded to allow dismounts to step over them and onto the engine deck. The roof hatches over the engine deck are tall enough to provide protection for the dismounts if they keep their heads down as they exit. 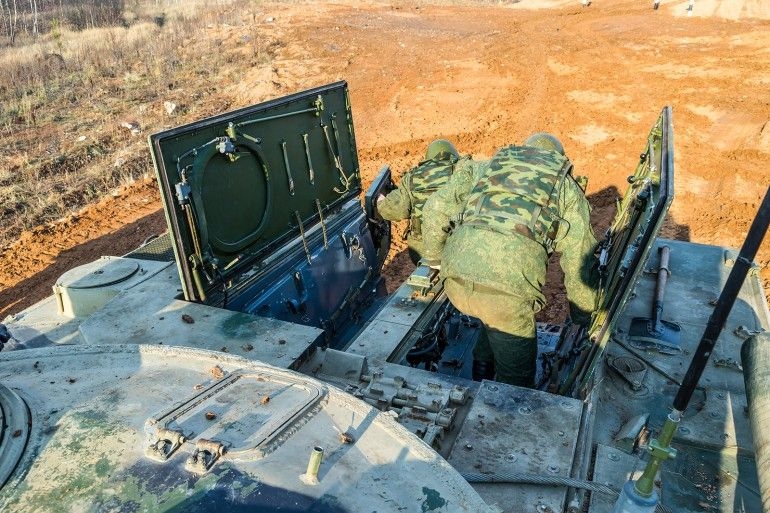 With the turret providing frontal protection and the roof hatches providing side protection, the dismounts in a BMP-3 are not more exposed to incoming fire compared to armoured personnel carriers with a rear hatch or ramp. Due to the height of the engine deck, dismounting soldiers are at a risk of ankle injury if they jump off while the vehicle is in motion. To solve this problem, fold-out steps are placed just beneath the rear hatches. There are two more man-sized elliptical personnel hatches on top of the rectangular roof hatches. These are spring-loaded with torsion bars and have the same thickness as the roof hatches. 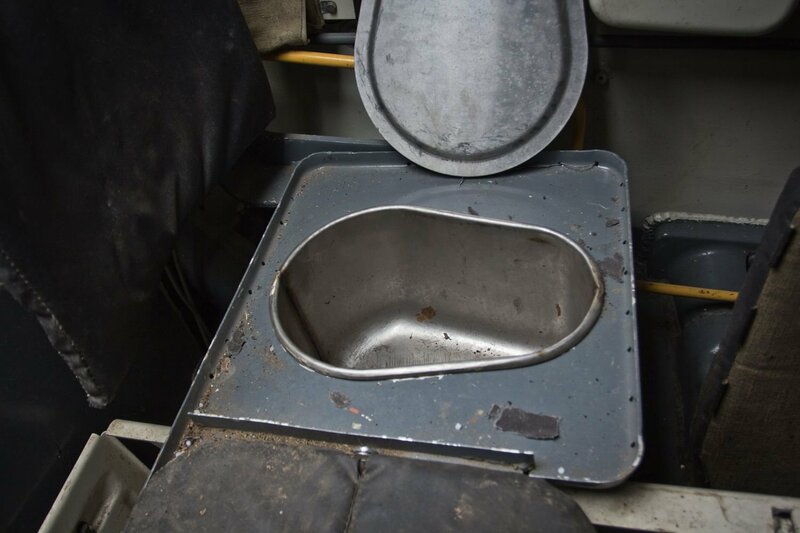 The personnel hatches are designed to fulfill the same purpose as the roof hatches on conventional armoured personnel carriers - to allow a soldier to pop out and fire heavy weapons such as an anti-tank grenade launcher or a MANPADS launcher. 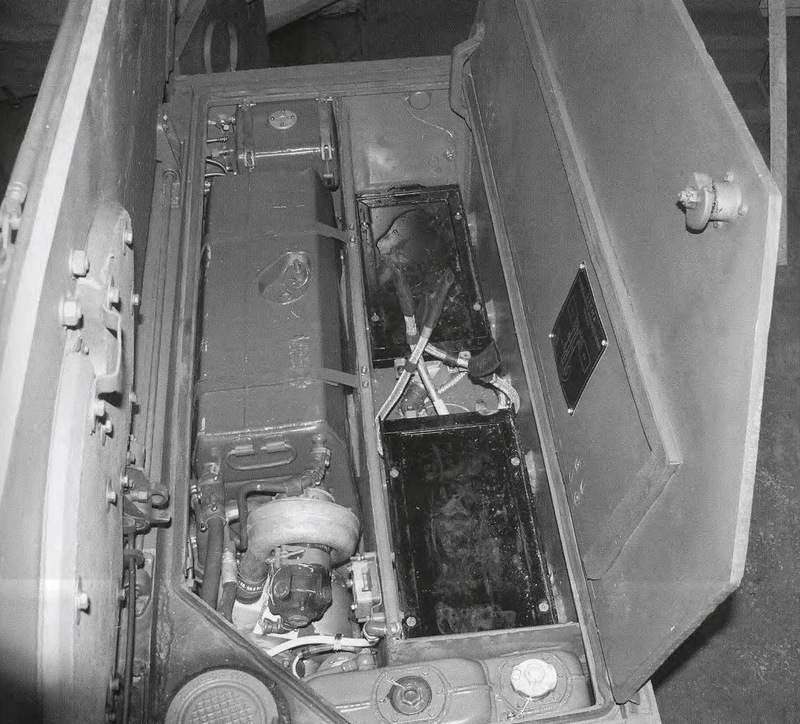 In a BMP-3, two passengers can crawl onto the engine deck, open the hatches, and stick themselves out to use these weapons. 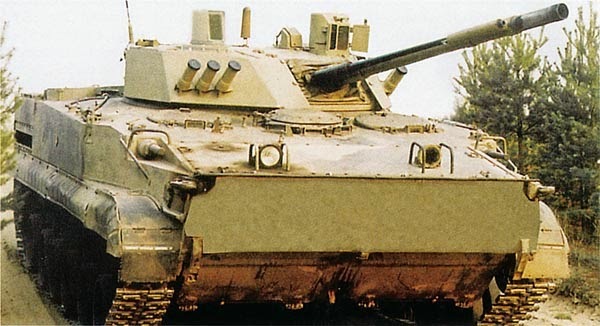 This gives the BMP-3 the same fire-on-the-move air defence capability as its predecessors, which would otherwise not be possible due to the unusual layout of the BMP-3. The personnel hatches can also be used as emergency exit points if the need arises, but they are inconvenient for quick ingress and egress as they are not directly over the passenger compartment. 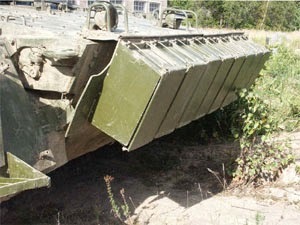 The BMP-3 provides far more space for personal storage when compared to its predecessors. 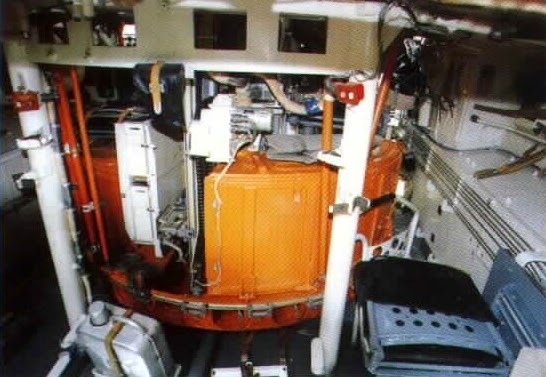 The layout provides ample space for passengers to place their kits and if needed, their belongings may also be lashed onto the side of the hull, as shown below. Riding in the BMP-3 is very comfortable. This is in part due to the good suspension, but also due to the superb weight distribution of the vehicle. Placing the engine and transmission at the rear, all of the fuel in the front to counterbalance it, and all the passengers and crew in the middle along with the turret ensures that the weight is optimally distributed, and this in turn results in a very smooth ride and very quick recuperation from dips and dives with minimal oscillations. Besides seating space, the BMP-3 can carry an enormous quantity of supplies and ammunition for its dismounts. See the diagram below. There are spaces for a plurality of AK-74 and AKM magazines, "spam cans" of ammo and wooden crates of grenades (hand grenades and underbarrel grenades) to be stowed, as well as dedicated racks for two MANPADS launchers, and a variety of disposable rocket launchers. At least five RPG-7 rocket grenades can be stowed, but there is space for much more. There is plenty of space on the sponson shelves for any additional supplies, which may be secured by straps attached to the walls. A standard 56-H-574 26mm flare gun with twenty flare cartridges is also stowed for emergencies and signalling purposes. This storage is not inclusive of whatever weapons and gear the dismounts carry personally, or any supplies which may be added. The 2,000-round boxes for the bow machine guns are better used by the dismounts, so one might consider that an additional source of ammunition. Seating arrangements, looking from the interior starboard side. All seats except the far side side seat are unfolded. You can also see a folded periscope on the ceiling. The dismounts using the side firing ports may aim their rifles through the TNP3VE01-01 periscopes provided for them. They have moving reticles, pre-sighted for 600m for PKM machine guns, and are connected to the ball turrets by a fiber optic cable. The ball turrets are greatly recessed inward, to the point where the muzzle of a firing port weapon will not protrude from the hull side. There is a lid which closes on the exterior of the firing port, which is to seal the vehicle from radioactive and chemical contaminants. 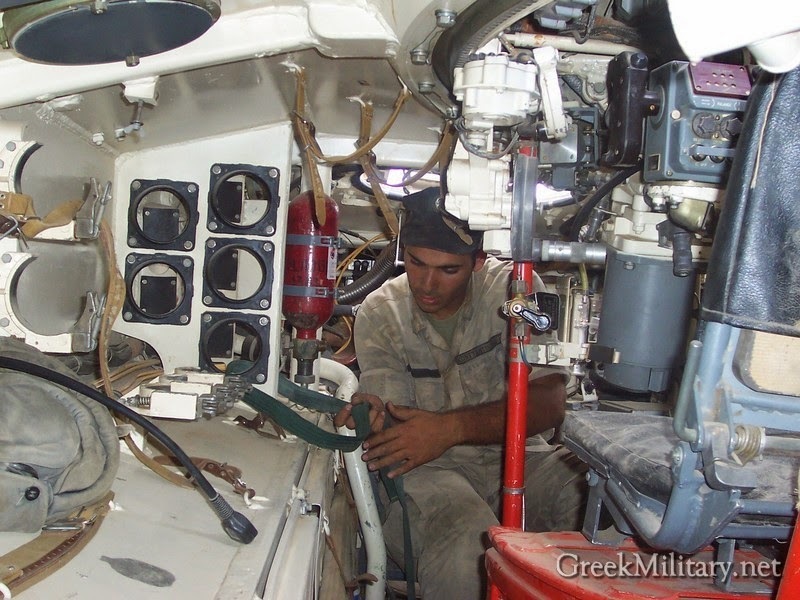 In this photo, you can see an OU-2 manual fire extinguisher, the racks for storing ATGMs, the gunner's station, and a Greek man. Notice the fact that the space between the fighting compartment (turret) and the hull side has enough space for soldiers to shimmy through. This allows the bow machine gunners and driver to escape through the rear in an emergency. The three OU-2 manual fire extinguishers placed around the hull interior may be remotely activated by one of three buttons. One available to the driver, one for the commander and one for passengers in the passengers' section. You can see the firing port extensions, which are now half open (split-hinged). It is quite obvious from this picture that there is no other way to aim his rifle in the firing port except through the TNP3VE01-01 periscope-aiming device provided. In the photo below, you can see the autoloader elevator, which picks up rounds from the conveyor on the turret floor. You can also see that the middle seat in the row of three is folded. 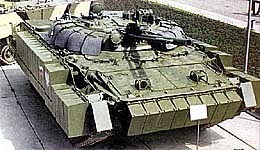 If unfolded, the BMP-3 can seat up to a true maximum of 7 passengers, although they will have to squeeze very uncomfortably if they are fully geared. Provisions include a compressed air canister for starting the engine if the starter fails, compressed oxygen canisters for passengers in case the vehicle sinks, medical kits, and various other odds and ends. On the topic of troops' opinion on it, it is true that the unusual method of exiting the vehicle is a source of regular bemoanings. The effort required to exit the vehicle is much more than that required for IFVs with large, powered rear hatches such as the M2 Bradley, Marder IFV, Warrior, etc. This video shows that very clearly. 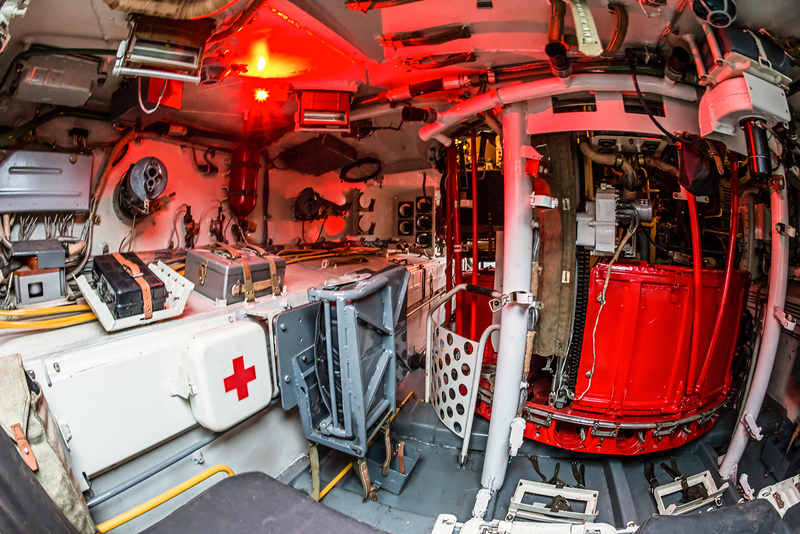 The dismounts must heave the top hatches open, then swing the rear hatches open before finally jumping out, and that is in addition to the fact that stepping onto the engine deck from the passenger compartment is not an easy task already for fully geared troops. However, this issue is not serious enough to warrant a completely negative assessment from troops, although inconveniences in the heat of combat does give a trooper grievances and poor impressions on the vehicle. Fortunately, the lack of comfort when exiting the vehicle seems to be the only negative comment on the BMP-3 by the troops. There have been no other complaints mentioned so far, and the BMP-3 is definitely not regarded as a poor design overall. To improve crew comfort, a KBM-3M2 air conditioning system may be installed, with or without a TBE auxiliary power unit. The time of continuous operation is not less than 8 hours. The air conditioner operates at 7 kW without the APU, or 8 kW with the APU. The air conditioner maintains a comfortable temperature of 25 to 29 degrees Celsius (adjustable), and can operate in ambient temperatures of up to 50 degrees Celsius, and with 45% relative humidity (to interior humidity). Cool air outlets are located at head level of each and every occupant in the vehicle, blowing cool, refreshing air in their faces. Ahhh. The air conditioner occupies the empty dorsal space along the engine deck. It scarcely affects the ease of dismounting, and is more of a nuisance to anybody on a stretcher lying beside it more than anything. The TBE auxiliary power unit is a miniature diesel engine, with an output of 2.5 kW. The driver is provided with a motorcycle-style steering bar. 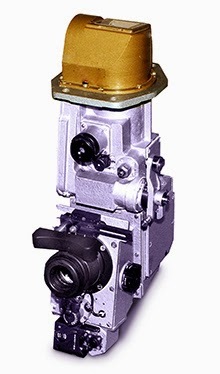 The steering gear is of a differential type, with hydrostatic drives, providing good driving comfort. 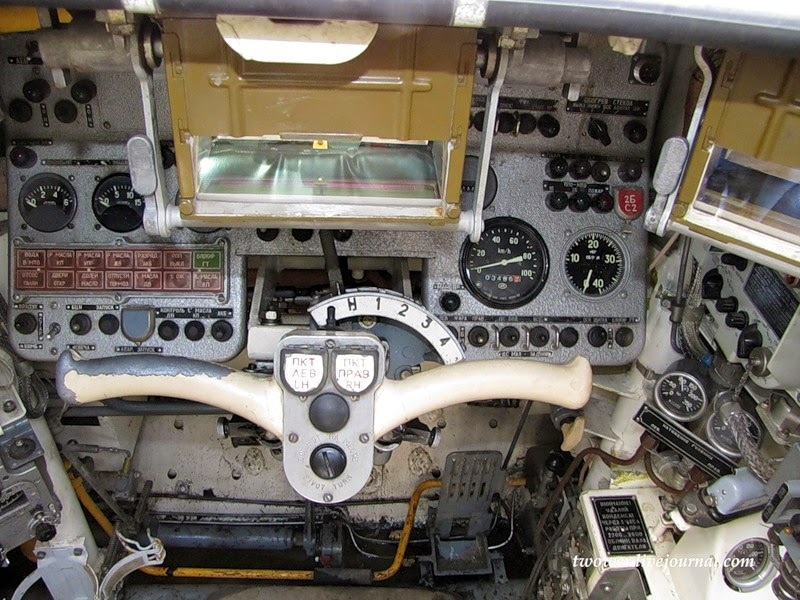 (Old driver's instrument panel) On the steering bar , you can see two white buttons to control firing of the two bow machine guns. Left button for left gun and right button for right gun. The circular middle button is a horn. Driver's hatch, with four periscopes. The front-facing periscope is replaceable with a night-vision one. The driver has a healthy number of controls in front of him. He can control track tension, all water-travelling related controls, driving lights, firefighting equipment, the smokescreen generator, the NBC protection suite and the bow machine guns, among the usual driving-related indicators and gauges. 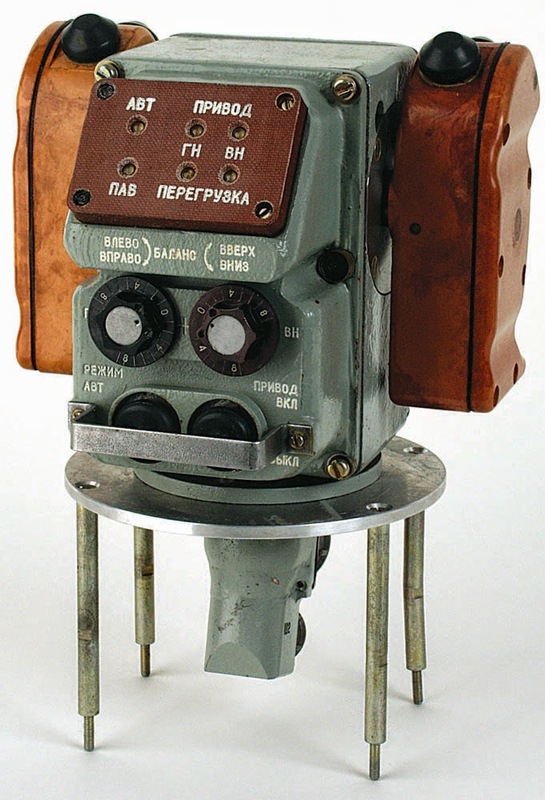 He is provided with a GPK-59 gyrocompass (pictured) for rudimentary directional navigation. The gyrocompass is useful when driving at night and for normal orienteering. Driving visibility is provided by four TNPO-170A periscopes, three located right in front of him for forward viewing, and another one pointing left. 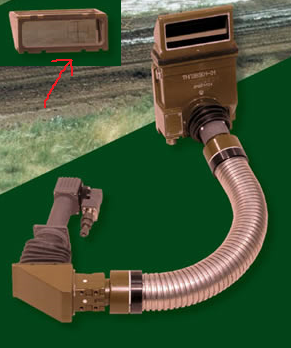 For night driving, the forward periscope can be replaced with TNPE-1B night vision periscope. The TVNE-1B nightvision viewer may be installed in lieu of the standard ones for nighttime driving. 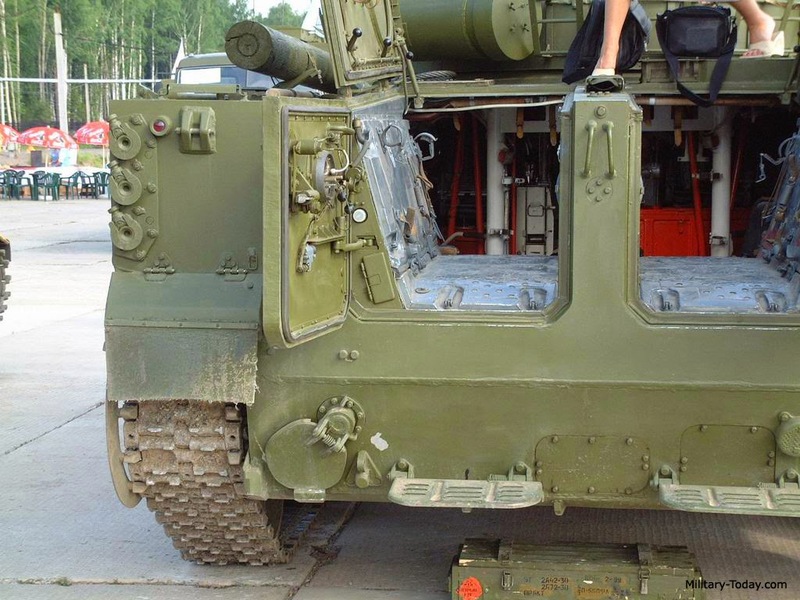 The driver's seat is adjustable for height, but taller drivers must still stoop slightly to peer into the driving periscopes - a universal peculiarity of all Russian AFVs, which is why Russian AFV drivers universally prefer to drive with the hatch open and the seat adjusted to maximum height in non-combat situations. The new TSE-1 universal day-night driving periscope increases the viewing range of the driver at night. Plus, it does not use IR lamps, so that there are no longer any unmasking factors. Installation of the TSE-1 requires the newer driver's panel to be installed beforehand. It is a binocular passive sight with a 42x9 degrees field of view, and a 250m vision range during nighttime. An IUSSH-688 "Larisa" electronic chassis control system may be installed. "Larisa" serves to observe chassis conditions and inform the driver of abnormalities through displays and voice messages. It is unknown if this system has been implemented on any BMP-3s in service, although apparently it is a component of the BMP-3M. It is highly unlikely that "Larisa" is present in significant numbers in currently serving BMP-3s of the Russian armed forces. 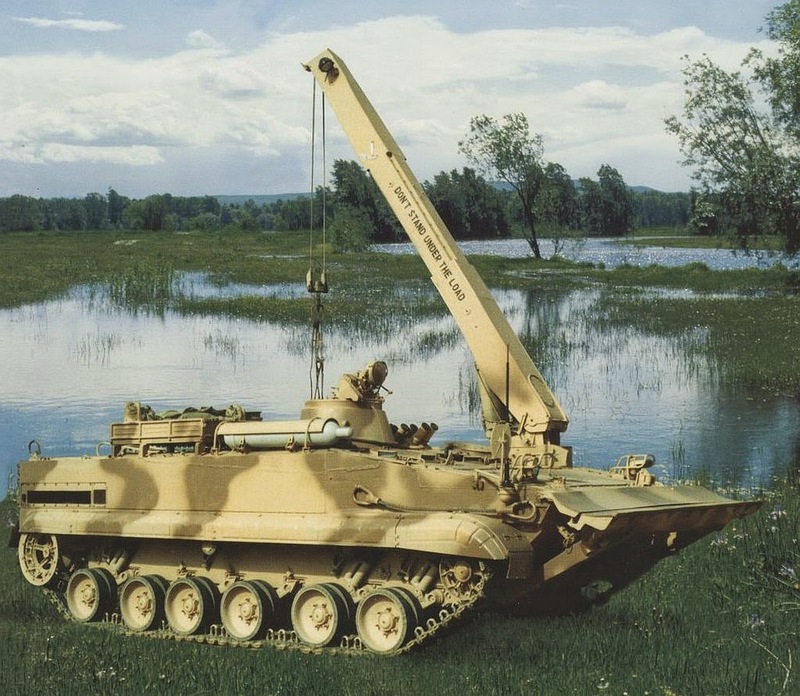 The BMP-3 is powered by a compact UTD-29M liquid-cooled diesel engine with an output of 500hp, generating a power-to-weight ratio of 25hp/ton. The engine is placed in the rear. The transmission is a four-speed, hydromechanical planetary type, with one reverse gear. The engine can operate up to no more than 3000 m altitude (high mountainous peaks). Above that, the air would be too thin for operation. There are 6 rubberized aluminium roadwheels with independent torsion bar suspension and 3 rubberized return rollers on either of the two tracks. The first two frontmost roadwheels and the rearmost roadwheel each have a telescopic hydraulic double-action shock absorber to improve ride smoothness. 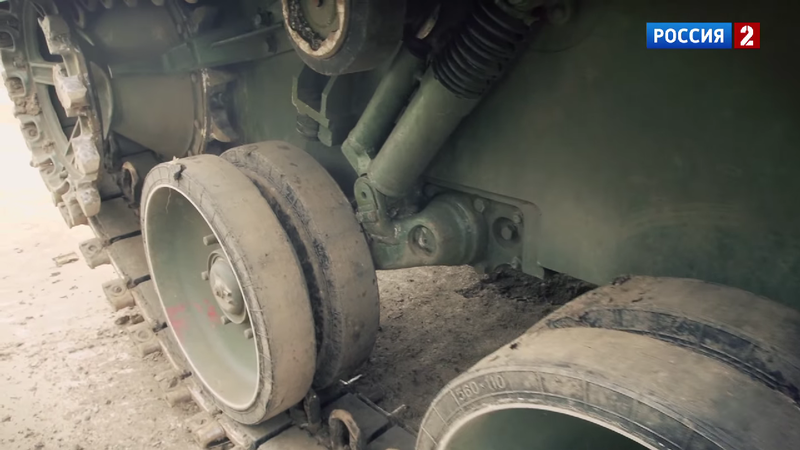 Ground clearance is 0.51 m. This is a huge improvement over the BMP-2, which had a ground clearance of 0.42 m, and an even bigger improvement over the BMP-1, which had just 0.39 m of ground clearance. 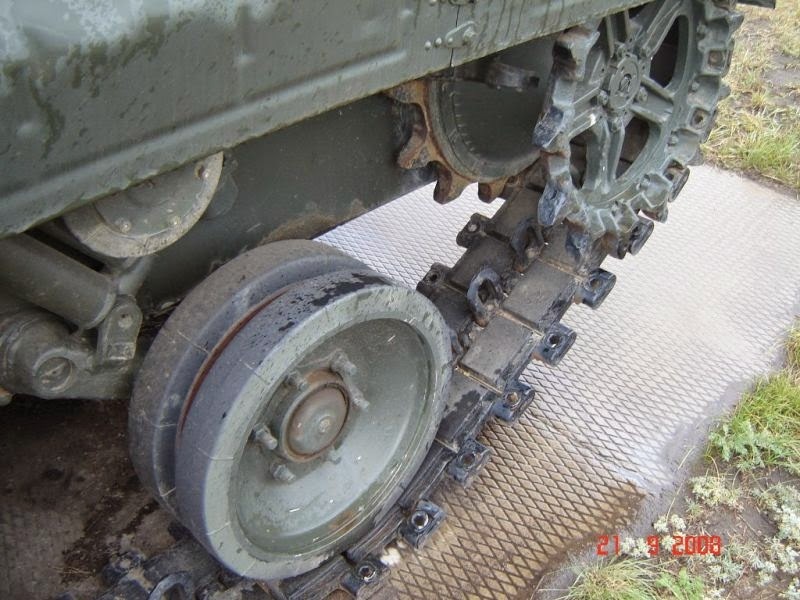 Ground pressure with standard tracks is 0.61kg/sq.cm, which is lower than the BMP-2's 0.63kg/sq.cm despite the huge gain in weight. The 380 mm-wide tracks are of a dual-pin type, with rubberized insoles and the option for asphalt-friendly rubber pads available. The rubberized insoles reduce wear and tear and also reduce noise and vibrations, giving a more comfortable driving experience. The BMP-3 weighs 18.7 tons empty (non-combat configuration), and nearly 20 tons fully loaded. 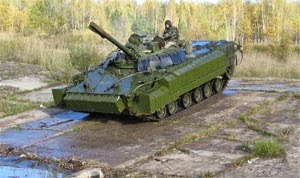 With the UTD-29M engine, the BMP-3 can reach a top speed of 70km/h (43.4 mph) on paved roads, and travel at an average speed of 45km/h (28 mph) cross country. Reverse speed is 20 km/h on paved roads. 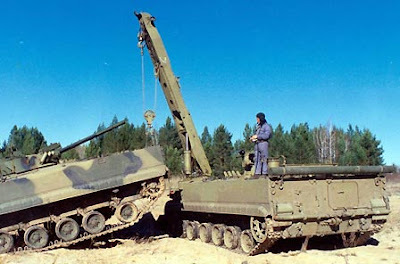 The BMP-3 can climb a 0.8 m-high vertical wall, and cross a trench 2.5 m wide, or even wider if the driver decides to jump it, which isn't very difficult given how quick the BMP-3 is. The power-to-weight ratio with this engine is 26.7 hp/ton empty, or around 22.5 hp/ton when fully combat laden, which is superior to most modern contemporaries. With 700 liters of fuel carried in the frontal internal fuel tank, the BMP-3 has an autonomous range of 600 km on paved roads, or about half that if travelling cross country. The BMP-3 can climb slopes of 60% gradient, and drive along a 30 degree side slope. Good traction allows the vehicle to stop halfway up a dry dirt slope of an aforementioned gradient and remain still without slipping. 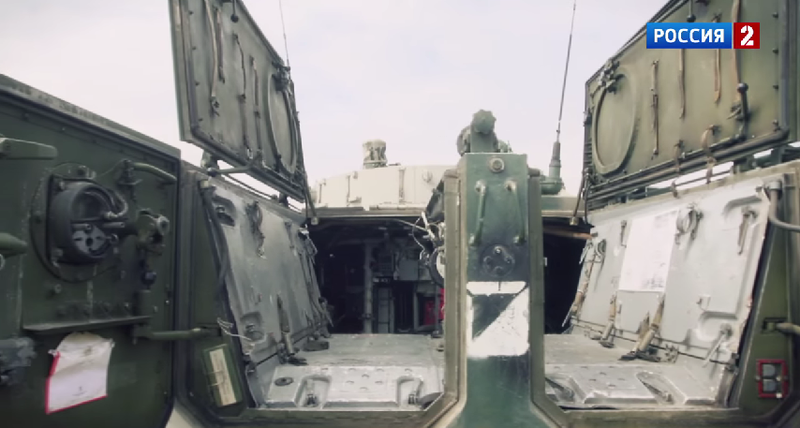 This video of Greek military exercises perfectly illustrates the great agility of the BMP-3. Also, the driver is putting the smokescreen-generator to good use in this particular clip. 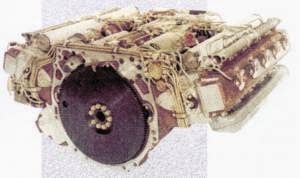 It is interesting to note that the original UTD-29 engine was only installed on the very first batch of BMP-3s, then in testing. As of 1986, all serial BMP-3s have the slightly improved UTD-29M installed. Alternatively, the BMP-3 may instead have a UTD-32 installed, which has an output of 660 hp. The latest BMP-3 modification might also include the installation of a newer UTD-32T diesel engine, slightly improved over the UTD-32 from 1999. Specific improvements are not known. Both the exhaust and radiator are located on the starboard side of the vehicle, one on top of the other. Exhaust gases are probably cooled by introducing air from the radiator before being expelled from the exhaust exit manifold. Both have internal louvers that must be closed before entering swimming. Exhaust exit manifold, which is perforated. The engine is prone to overheating in extremely hot weather, as noted during the UAE trials. The cooling system is only adequate for its purposes in the hottest heat spells in a European climate, little else. A more efficient cooling system has existed since the trials' conclusion, and is currently installed on the BMP-3s operated by the UAE. In this photo, you can see the rearmost roadwheel with its hydraulic shock absorber, the drive sprocket and its mud scraper. 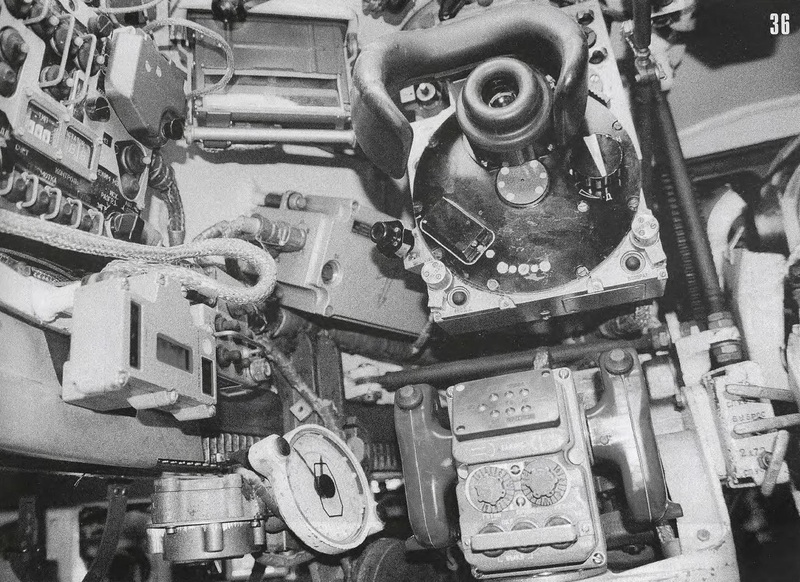 In the photo above, you can see the exposed engine with the engine deck panels and side panels removed. 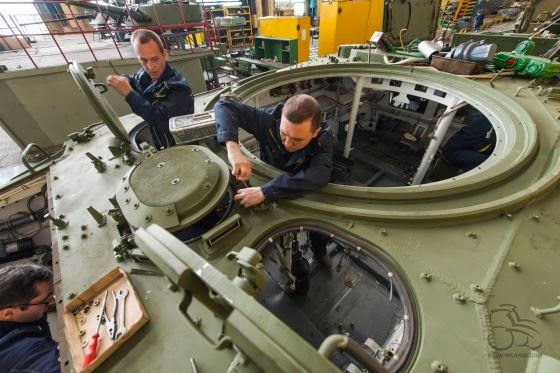 Servicing the engine is incredibly simple on the BMP-3 chiefly because of how easy it is to remove the engine deck panels. Removal of the engine is also a very relaxed affair. It is only necessary to remove the frame from the spine running down the engine deck, and that isn't very difficult since there's nothing there. Coolant is stored to the right-hand side, in the plum-coloured tank as seen in the photo above. Two 12ST-85R1 accumulators are located behind it. To the left-hand side is the exhaust and radiator. The exhaust outlet is at the starboard side of the hull while the radiator grille is on top. The vehicle is amphibious, more so than its predecessors. In the water, it is propelled by two waterjets which are powered by the engine in lieu of the tracks. Maximum speed in the water is 10 km/h. 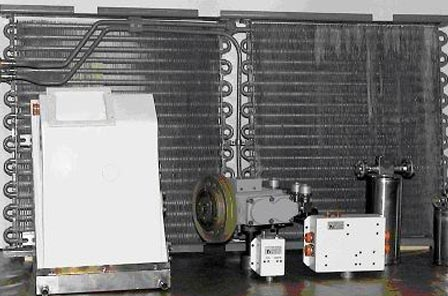 The waterjets are a single-stage, axial, auger type with guide vanes. Changing direction in the water is achieved by powered closing of either of the two flaps on the waterjet nozzles; closing the port side flap causes the vehicle to turn to the left, and closing the starboard side flap causes the vehicle to turn to the right. The minimum turning radius is 6 to 7 meters. The waterjets may be reversed, propelling the vehicle at a maximum of 2.5km/h. Turning is still possible in reverse. If the water jets malfunction while in the water, the vehicle may still propel itself using its tracks. The average speed in the water will reduced to a measly 4 km/h. 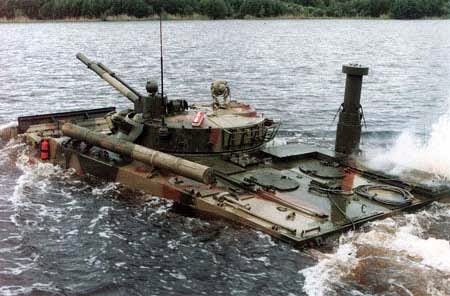 An especially seaworthy variant of the BMP-3, the BMP-3F, is pictured below. 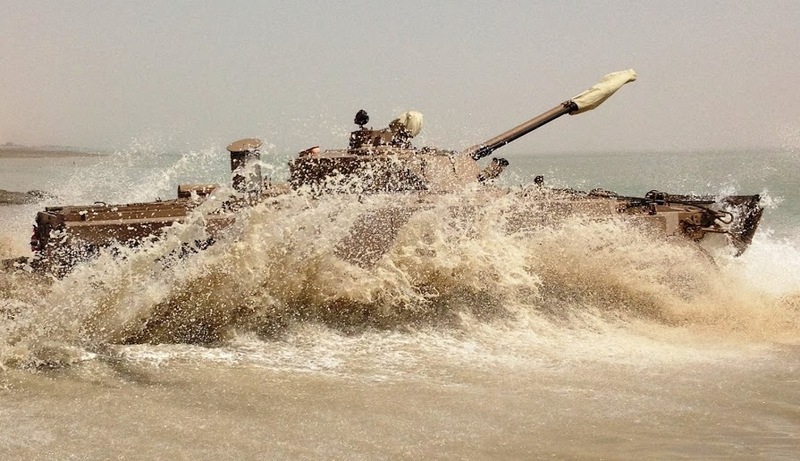 The BMP-3 sails very well in the water. It can endure conditions up to sea state 3, and fire accurately in sea state 2 - an admirable achievement. 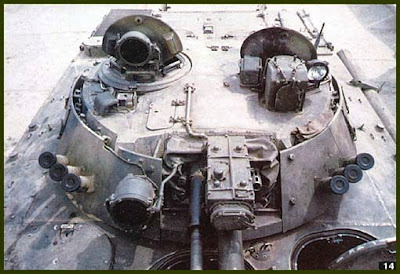 It is worth noting that unlike the previous BMPs, the BMP-3 driver does not need to swap his periscope for a special extendable one, which would be used to peek over the trim vane. With the BMP-3, the wave breaker works on a different principle, never extending above the glacis. Needless to say, this is entirely beneficial to the driver, and he does not need to rely on the commander to navigate while swimming. An electric bilge pump is installed. Standard procedure calls for the driver to activate it before the vehicle enters water. This is insurance against accidental flooding of the hull, or flooding due to the hull being compromised from enemy fire. 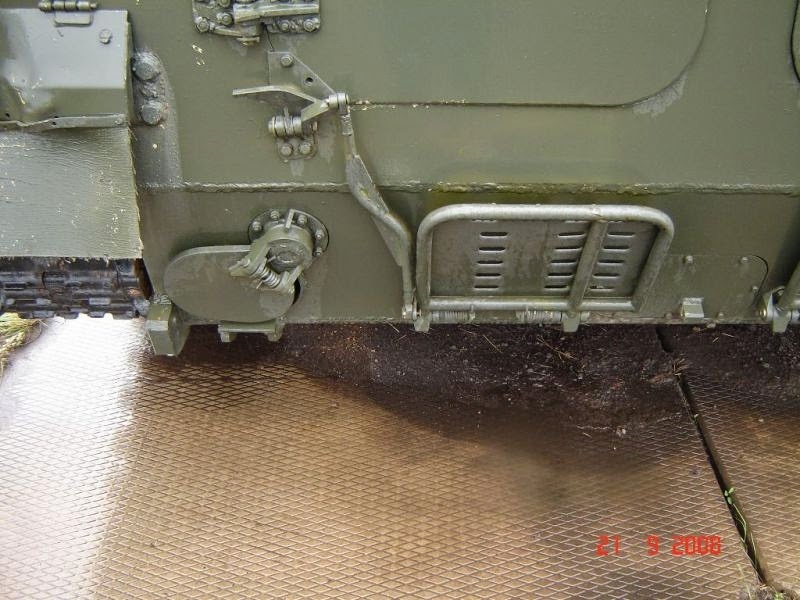 The bilge pump allows the BMP-3 to return to dry land safely without sinking, and at least give the occupants a fighting chance to survive catastrophic hull damage while in the water (hit by tank shell, for example). Before entering the water, the vehicle must first erect a telescopic ventilation tube, which serves supply air to the engine. Since the tube opens up a new airway, it has its own air filter, substituting the ones on the hull top. The tube rises about 400mm above water level. The circular lid is the ventilation tube, which would protrude upon the driver's command. 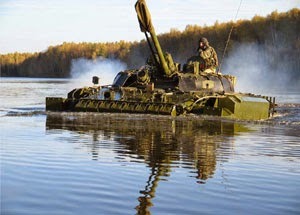 Swimming BMP-3. The ventilation tube is raised. A more seaworthy minor variant of the BMP-3 designated the BMP-3F is available for Naval forces. Notice the much taller ventilation tube, as compared to a basic BMP-3's. This variant is touted as being capable of staying afloat for greatly extended period of time. 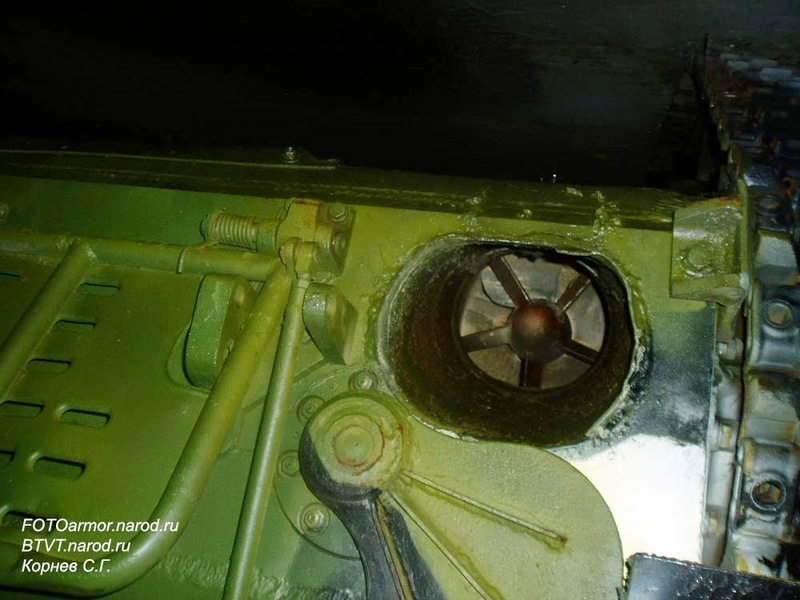 The only exclusive difference between the BMP-3F and the BMP-3 is the ventilation tube, which is extended on the BMP-3F. 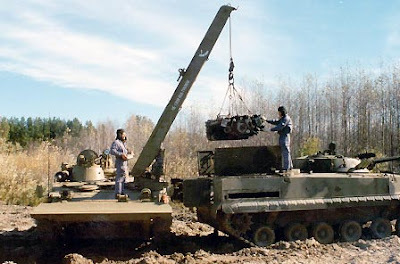 Due to the BMP-3's significantly increased weight compared to the earlier BMPs, it could not be evacuated from awkward positions by a BREM-2 Armoured Recovery Vehicle. As a result, the BREM-L was developed. Because the BMP-3 uses aluminium alloy armour in addition to steel contrary to the purely steel construction of its predecessors, argon arc welding equipment is needed, which is carried on the BREM-L, among other things. It is crewed by 3 persons, with additional space for 2 auxiliary personnel. The BREM-L's crane is of a hydromechanical type with a maximum load capacity of 5 tons, or 11 tons if a double pulley block is used. It also has a hydraulic rescue winch with a pulling force of 140 to 160 kN. The winch cable is 150m long. The BREM-L has a single PKTM in a rotating cupola for self defence, for which 1,000 rounds are provided in a single belt. Mobility characteristics are identical to that of the parent BMP-3, and also weighs about the same at 18.7 tons dry, or 19 tons fully loaded. Surprisingly, the BREM-L is also amphibious, which is very neat, because it means that it will be able to follow the BMP-3 anywhere it goes. It uses its built-in engineering dozer blade as a trim vane. There are some allegations that the BMP-3 is unreliable and disliked by troops due to its unreliability, but those allegations are completely untrue. It is true that the BMP-3 had teething problems - a common issue for many AFVs. Mechanical failures were present in relatively high rates. The average number of failures per 1000km travelled was as follows: 17.1 in 1986, 3.6 in 1988, 2.8 in 1990, and in 1992, less than 1 per 1000km. 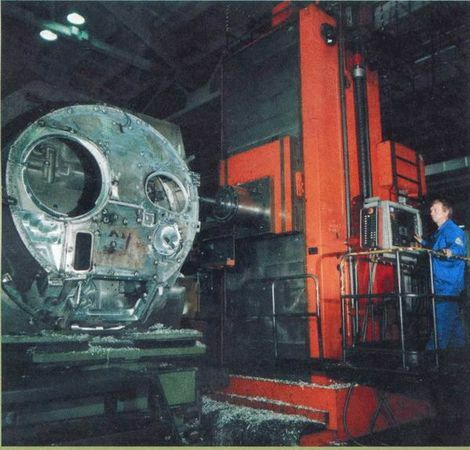 The problems were mostly related to parts quality, which resulted in Kurganmashzavod slightly modifying some components or improving the manufacturing process. The lack of experienced mechanics, tooling and equipment played their role as well; a lack of argon welders, for example. Also, the rear placement of the engine meant that the replacement of the engine with the three crew members only and under combat condition was a staggering 20 hours. However, teething problems are common and all of them are now completely rectified, although so far there have been no resolutions for simplifying the removal of the engine. Remember that the BMP-3 was not officially adopted into the Russian Army until 1990, and that the equipping of brigades with this vehicle beforehand was purely for trialing purposes. 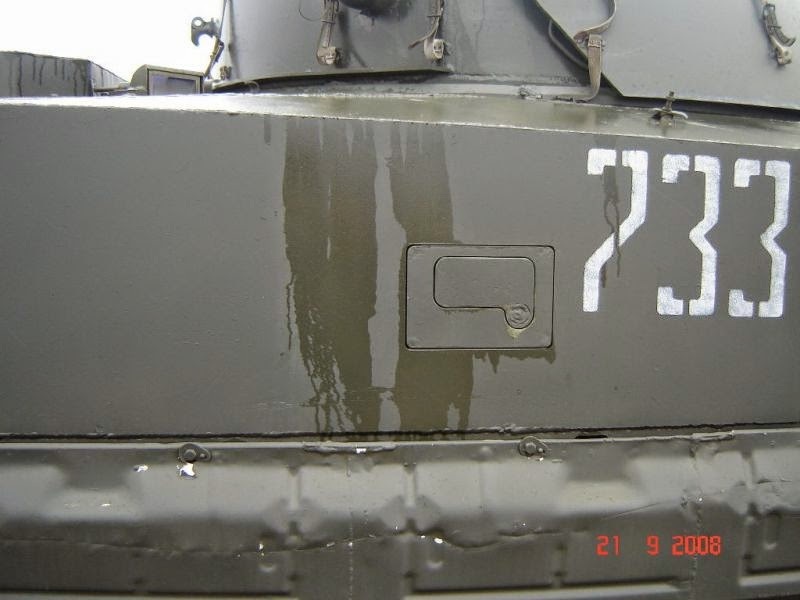 BMP-3 failures and malfunctions have never been mentioned as an issue by any armoured units in active service for more than two decades and counting. 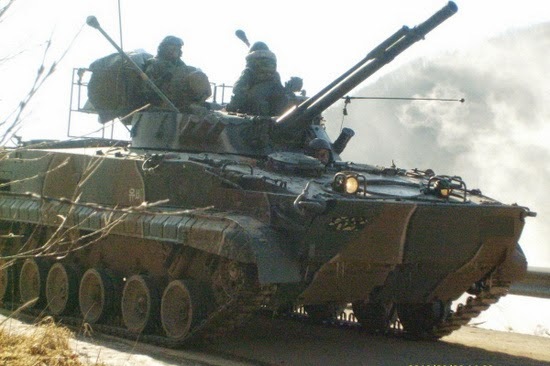 It is an undeniable fact that the BMP-3 saw combat in Grozny, while the possibility that they were used in the second campaign and in Georgia during the South Ossetian war remains debated. 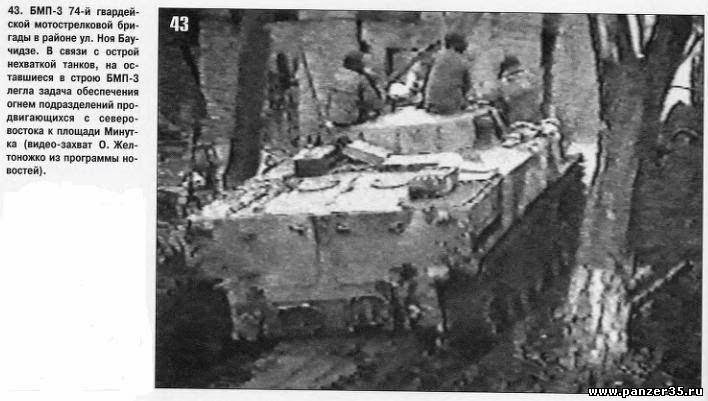 The text states that the BMP-3 in the picture provided fire support due to the lack of tanks. The three people are not sitting on the vehicle. Rather, they are sticking out of their hatches. There is photographic evidence of a BMP-3 destroyed in Grozny. A BMP-3 turret husk being dragged. It had been blown off due to the detonation of interior munitions. There are no other significant photographic accounts of the BMP-3 being involved in any other conflicts other than the two mentioned above. It appears that only a small number was destroyed, which, in my opinion, is indicative of poor tactics more than poor engineering. According to a Kurganmashzavod spokesperson, "more than 1500" BMP-3s have been produced as of 2015. 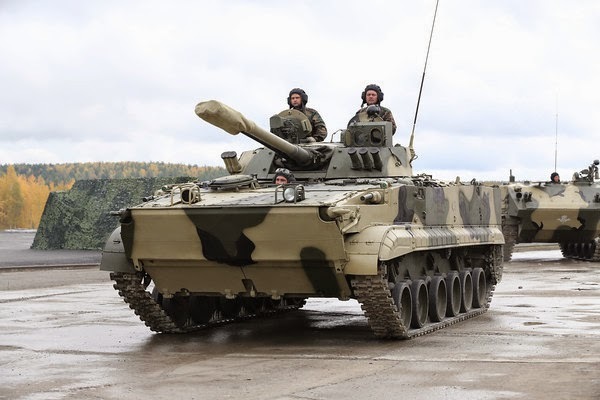 On May 12, Russian news agency TASS reported that the Russian Ministry of Defence has signed a contract for the delivery of "hundreds" of additional BMP-3s to the Russian Army. As of 2011, BMP-3s are organized into companies. 10 BMP-3s are part of one company. Three companies are part of a battalion. A regular infantry brigade consists of Three battalions. Therefore, a total of 90 BMP-3s equip a brigade. TOTAL in the Russian Armed Forces 529 The data may not be accurate. In our opinion - overrated. The Russian Army is only modestly stocked with BMP-3s, with none in storage. The total number of figures could range from 400 to 600 as of 2014, and quite frankly speaking, the very notion of replacing the BMP-1 and BMP-2 with the BMP-3 is pure fantasy at this point. 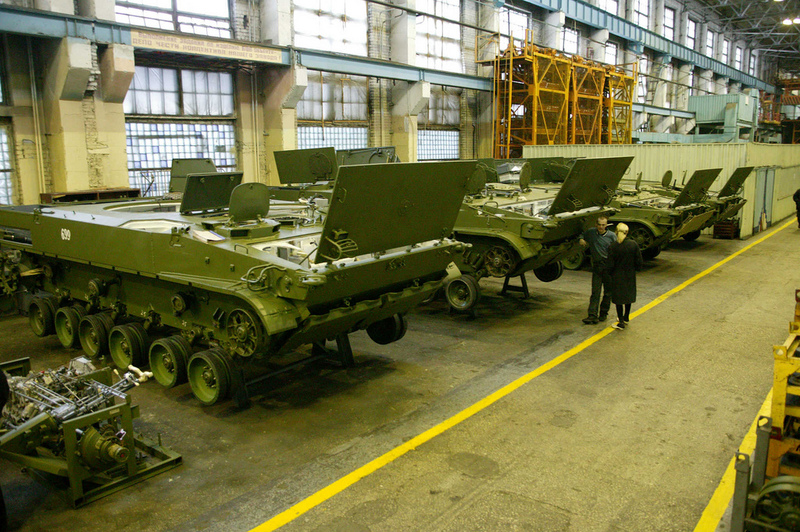 In the April of 2007, the order to supply and overhaul BMP-3s in the Russian Army to BMP-3M standard was signed. Thus, we can be sure that the vast majority of Russian BMP-3s have SOZH sights and are capable of firing the latest ammunition. Various other improvements may manifest in various degrees. The BMP-3 is a successful export item. A famous example was the UAE open IFV tender, in which the BMP-3 soundly defeated the British MCV80 and American M2A1 Bradley and went on to sell in large quantities. 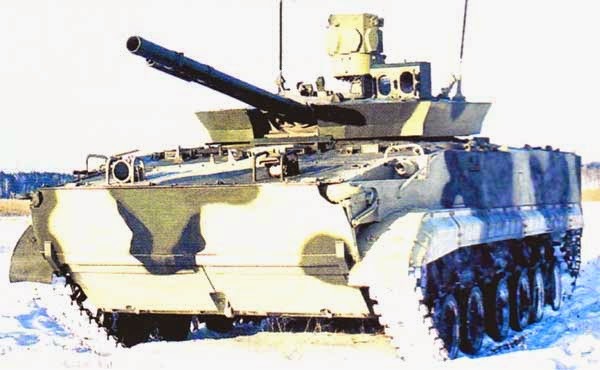 However, it should be noted that the BMP-3s participating in this tender had Namut FLIR sights installed, due to the lack of suitable indigenous ones of such type available for the BMP-3 at the time (1993). Up until sometime around 2005, the UAE has been operating with 1K13-2 sights, which have now been replaced with SOZH sights. The BMP-3s that the UAE uses were superior to Russian BMP-3s at the time, and still are, in some ways, due to them having FLIR, allowing them a significant advantage in night fighting. And the BMP-3Ms that were more recently delivered (2005) are clearly superior to the current standard of Russian ones chiefly due to the presence of thermal sights. Unfortunately, there have been reports of malfunctions related to desert operation during the BMP-3's testing phase for the UAE. Apparently, the cooling system for the engine was not effective enough, causing the engine to overheat too quickly. The particulate filtration system was not good enough to provide clean air during sandstorms and could not filter finely enough, which caused the engines to clog up after a long drive. Tracks falling off due to excessive sand was a problem as well. These problems were promptly resolved by modifying the filter and installing additional exterior rings around the drive sprocket and idler wheel. 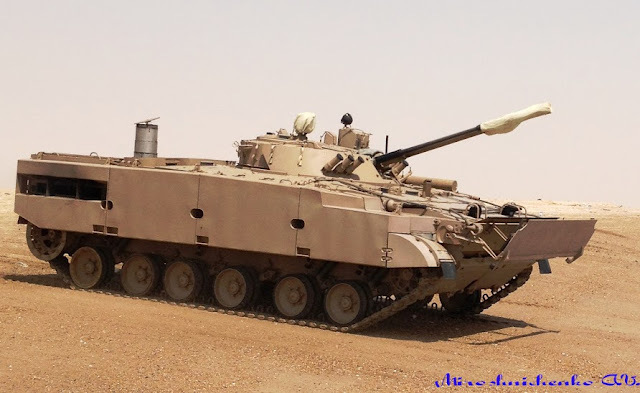 All UAE BMP-3s are modified thusly. The UAE has a total of 652 BMP-3s, and is the operator of the largest fleet of them. In the Asian arena, the South Korean marines evidently value the BMP-3 (along with T-80Us) for their amphibious qualities. In 2005, they updated their BMP-3s to the standard of the Russian Army's. That is, they refitted their BMP-3s with SOZH sighting systems. Previously, the examples in their ownership had the 1K13-2 sight, which was the standard at the time when Russia traded 33 BMP-3s along with other military equipment as part of a debt reduction deal. 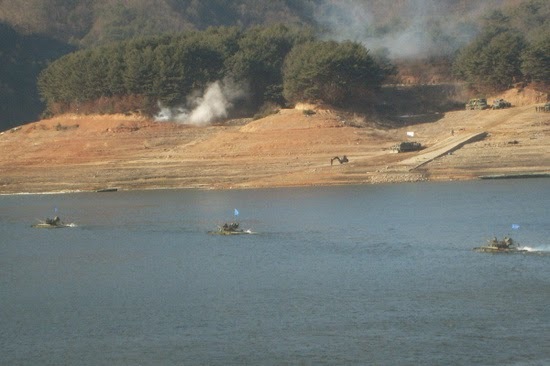 Previously, South Korea had been unable to recreate the waterborne abilities of the BMP-3 their in their K21 IFVs (two of them sank, killing one crew member), thus securing the place of the BMP-3 in their supply chains. 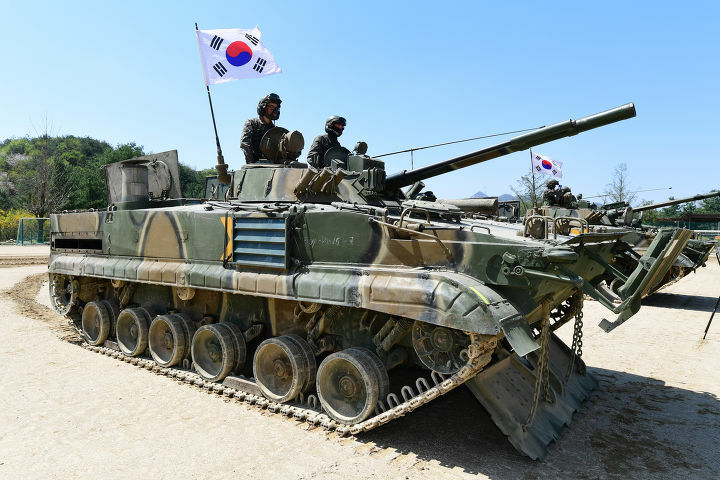 Contrary to what some believe, South Korea does employ the BMP-3 in active service, and not in the OPFOR (Opposing Force) role, which would be illogical anyway since North Korea doesn't have any BMP-3s. South Korea has a total of 70 BMP-3s, 33 of them were supplied under the debt reduction agreement and 37 with Vesna-K sighting systems of them were purchased under their own initiative . All South Korean BMP-3s are NATO-compliant. 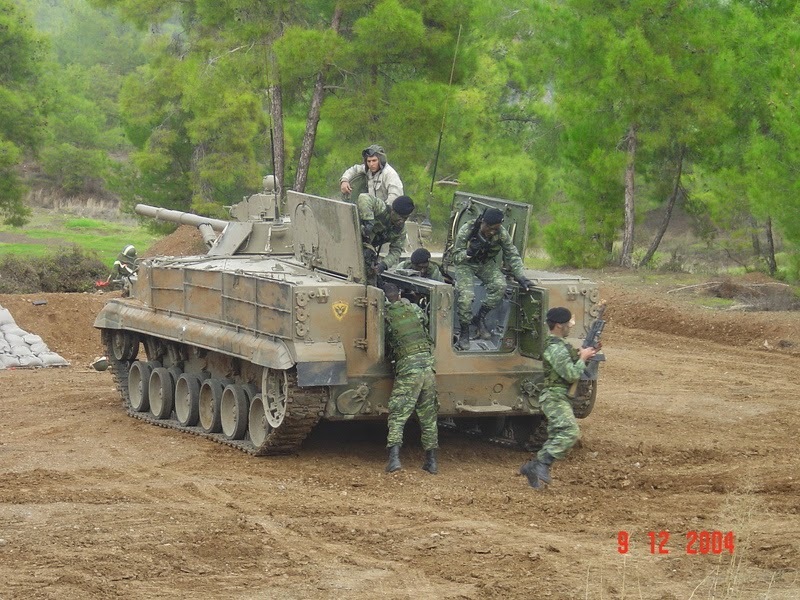 The Indonesians possess 37 BMP-3Fs, and are in active service. The Indonesian Marines were reportedly extremely pleased with them. During an exercise shortly after the completion of the delivery, all participating BMP-3Fs hit all targets with its entire armament after landing on a coast. Indonesian BMP-3F, with Russian ambassador in plain clothes. The price for an individual BMP-3 is stated to be $800,000 to $950,000 during the late 90's. The price in the present day is not known, though there's no reason to believe that it exceeds $2,500,000 per unit. 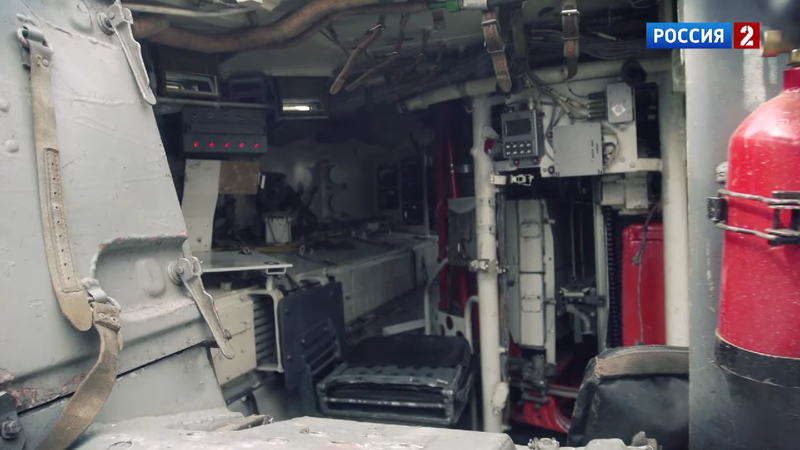 Possibly the most in depth look at the BMP-3 that I have ever seen. I'm building a scale model of this IFV and it answered every question I had and provided plenty of good reference pictures. You have no idea how awesome this is! All of this information is wonderful, I will be following you in your quest to quell this misinformation. I wonder what the Russians have in mind as its replacement if it is good enough to warrant replacing the BMP-3M. I am cautious but am eagerly waiting to see what they are truly like. What they have for its armament is something I am especially eager to see. Does the main gun barrel recoil? If so how far? The 100mm cannon has a recoil "stroke" of 0.4m upon firing. Interesting, although I was hoping to see references to the more "exotic" variants, like the Derivatsiya and the radicaly reconfigured Dragoon. I only write about the variants that are currently in service, or planned to be in service in the near future. I will not write about future projects, as I will only be repeating what other sites with actual journalists and insider sources are reporting. "The accuracy of stabilization while the vehicle is on the move at a speed of 30 km/h is 3 mrad, which translates to 0.4863 mils, which means that the sight has a maximum deviation of 0.49 m at a distance of 1000 m"
3 mRad is 3 meters at 1000 meters distance. Just tought that you might want to reconsider the "maximum deviation of 0.49 m at a distance of 1000 m"
maybe you'd like to review the information in the article again? 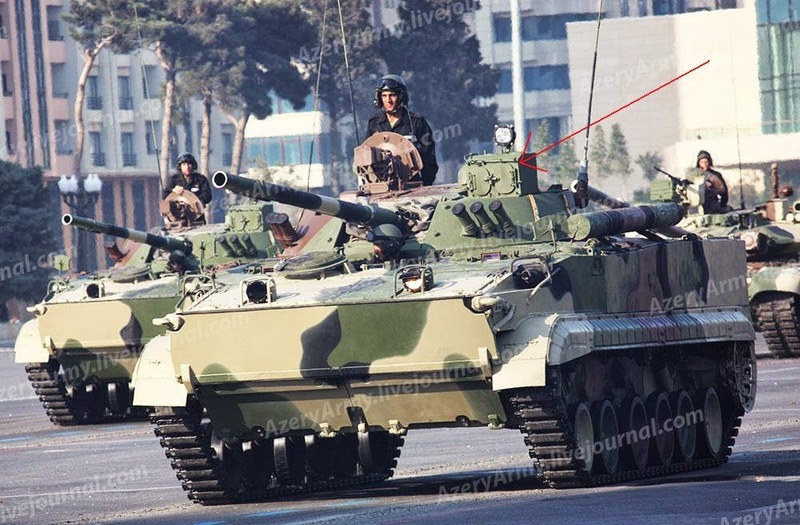 there's been a few new developments for the BMP-3 with one of the version having the engine moved to the front from the rear and Bakcha-U turret system mounted as well as removal of the 2 PKT machinegun on the front hull extremities.